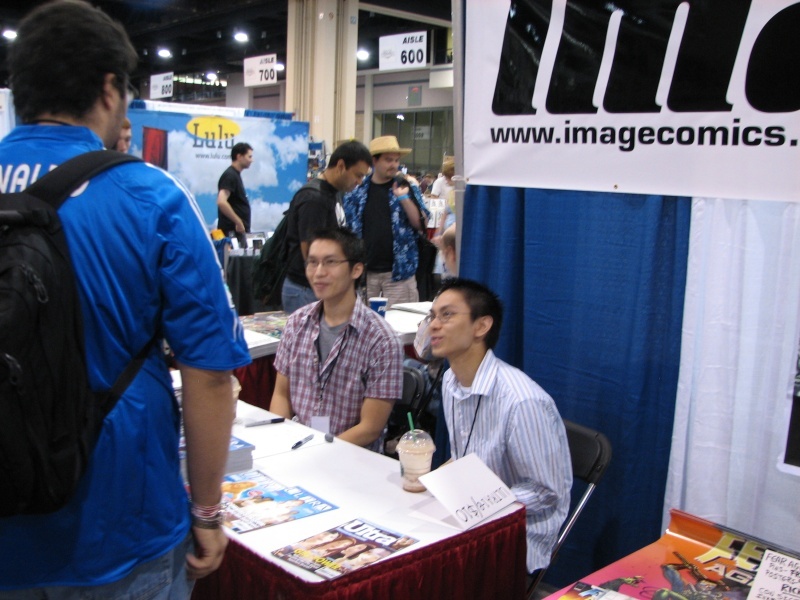 All photos are copyright 2006 by Patrick Sun. 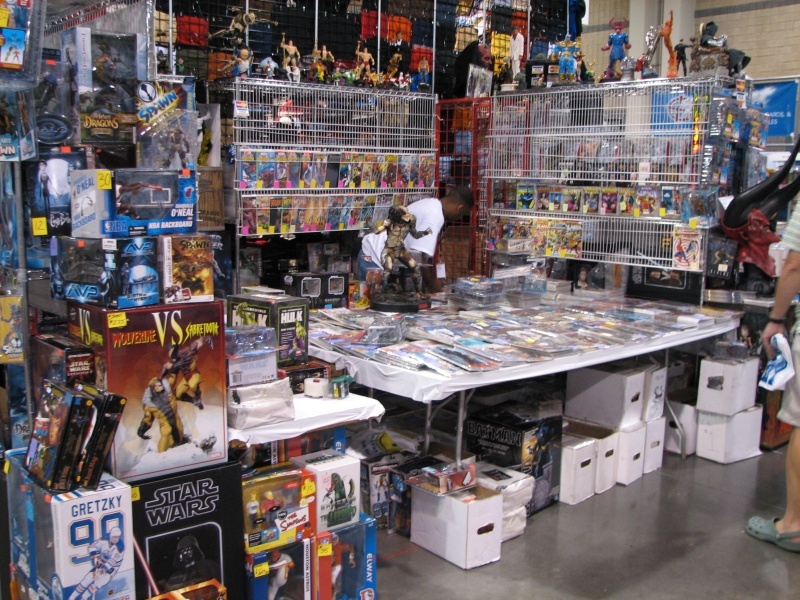 Unauthorized use without written consent is prohibited. 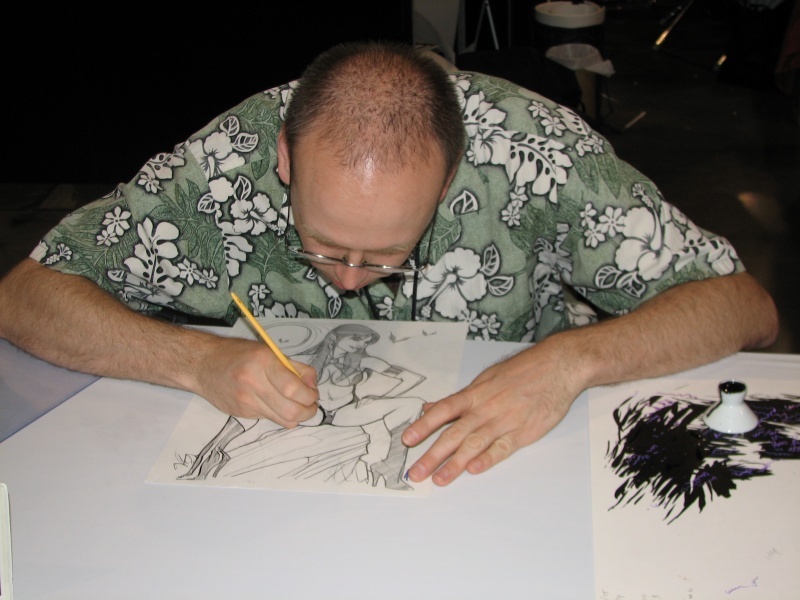 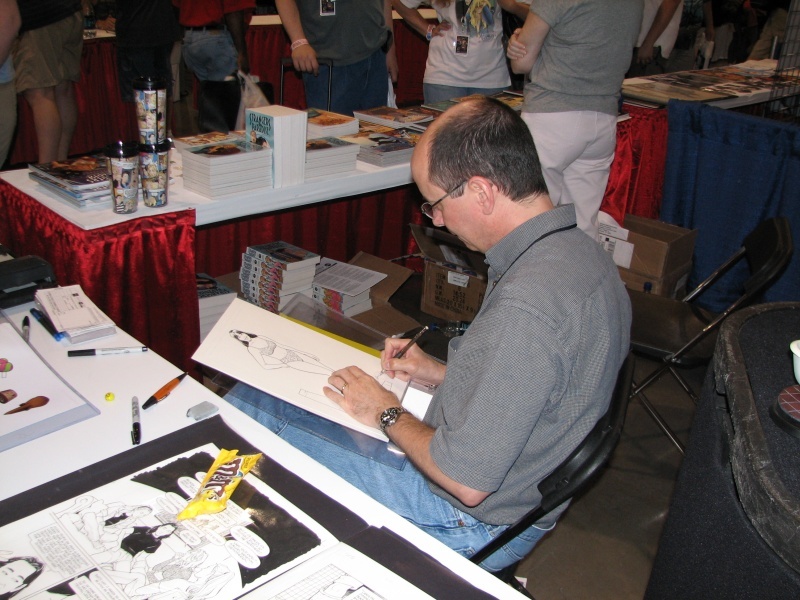 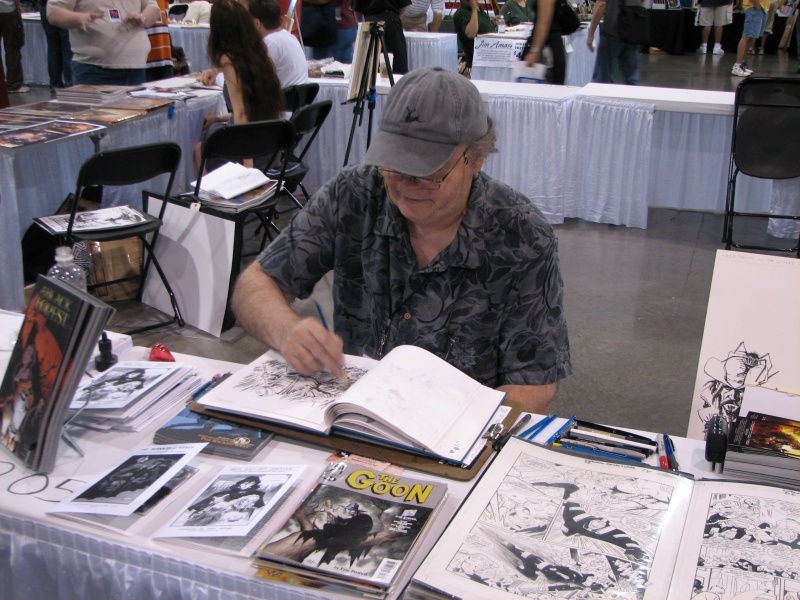 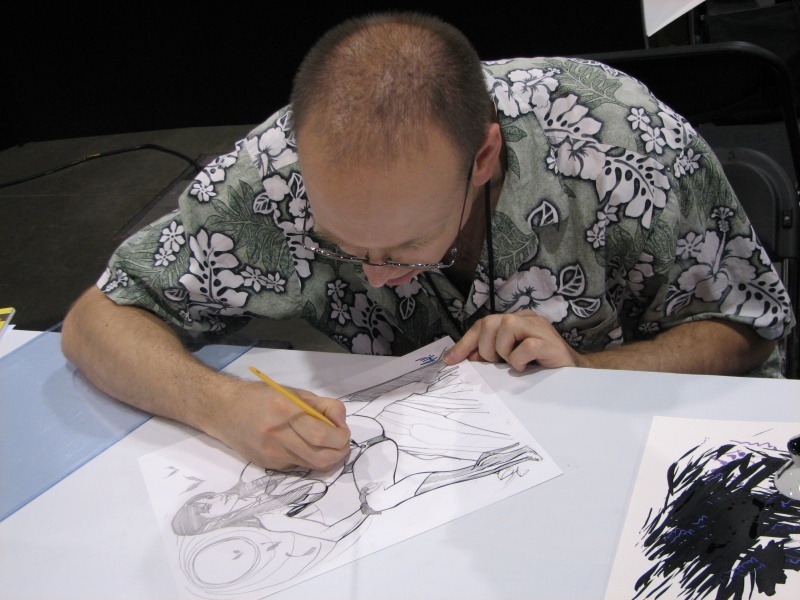 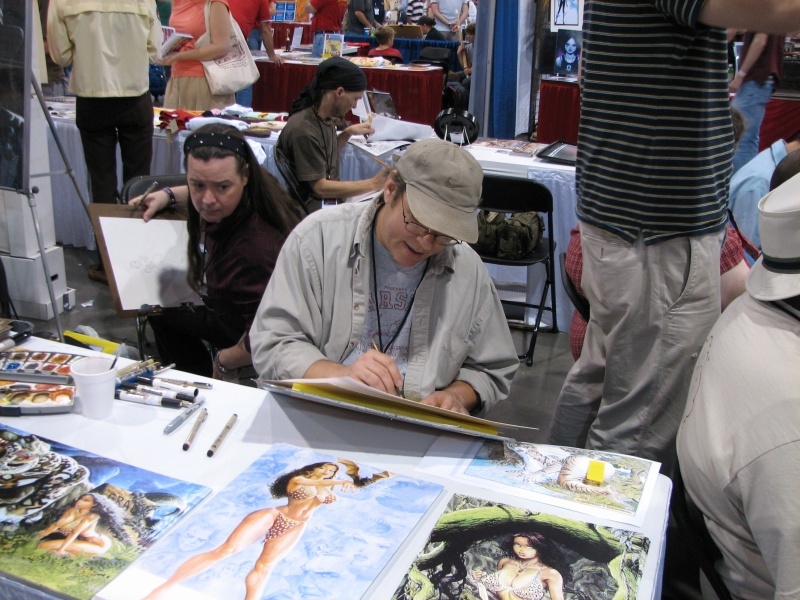 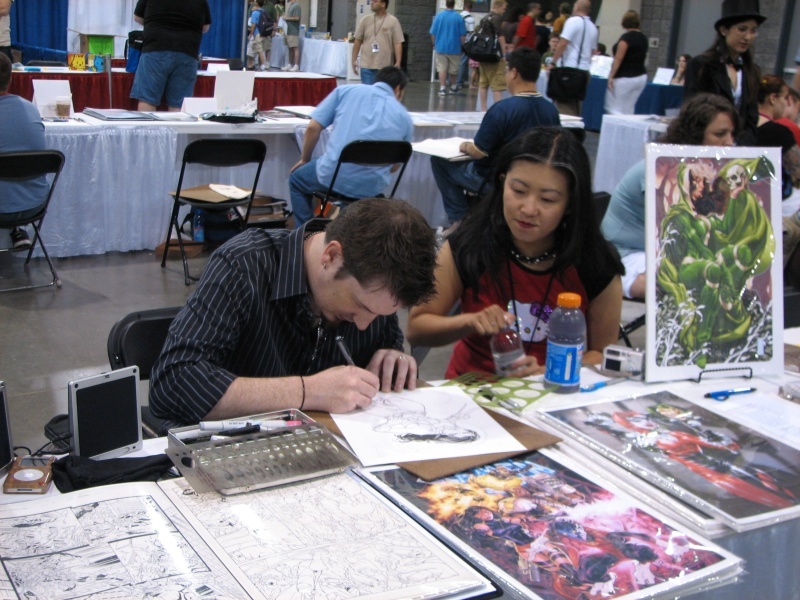 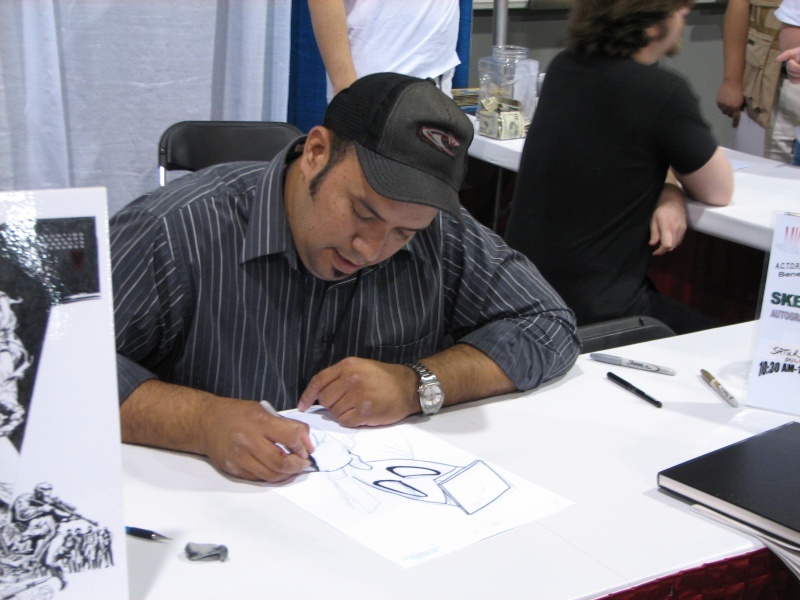 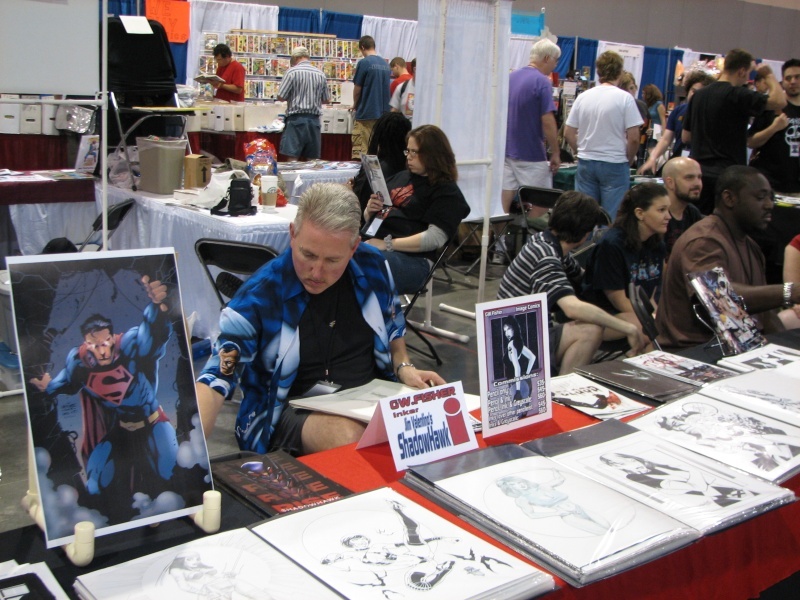 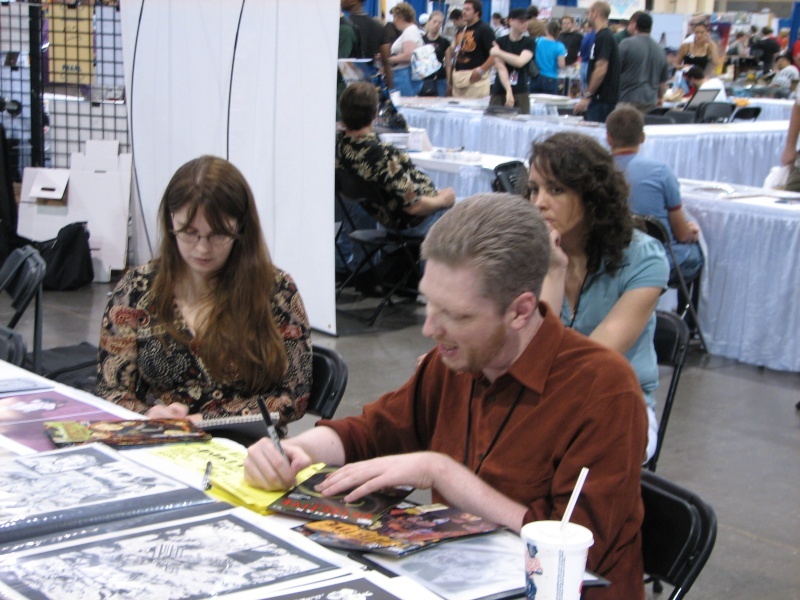 Inker-extraordinaire Karl Story puts the finishing touches on an Adam Hughes sketch of Vampirella. 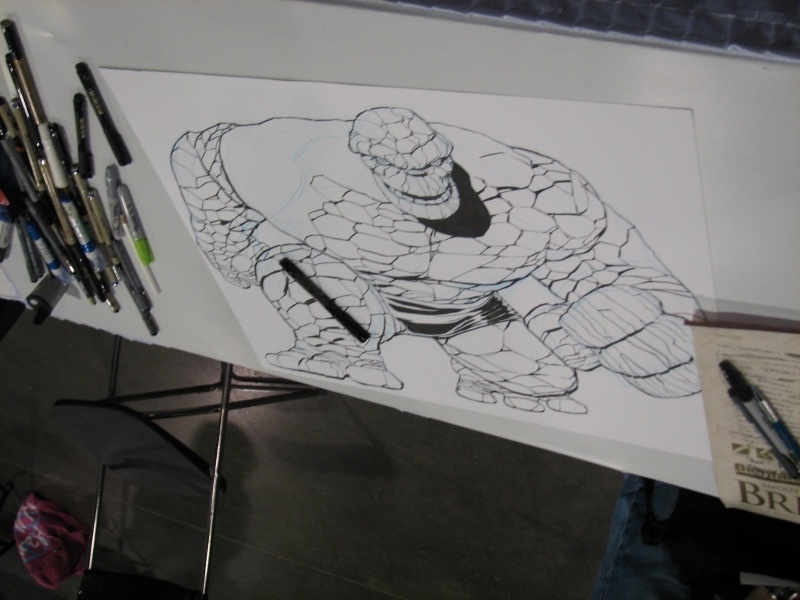 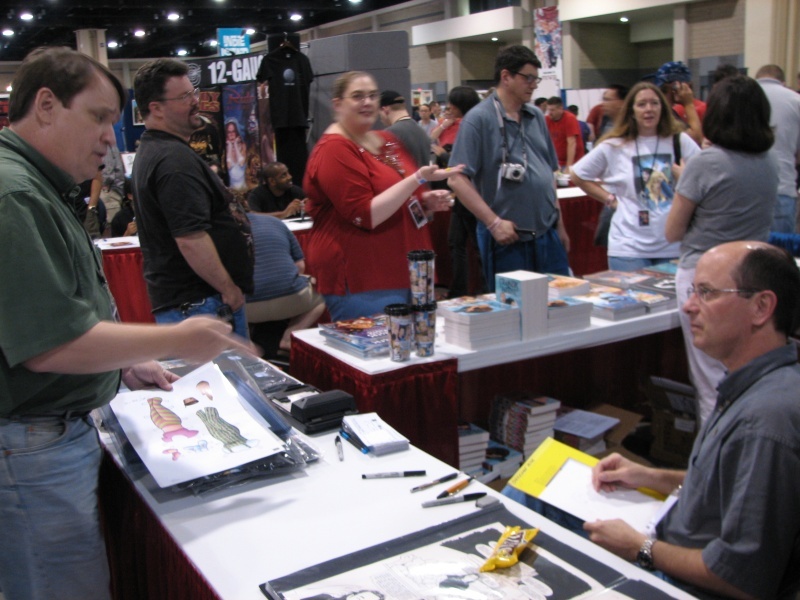 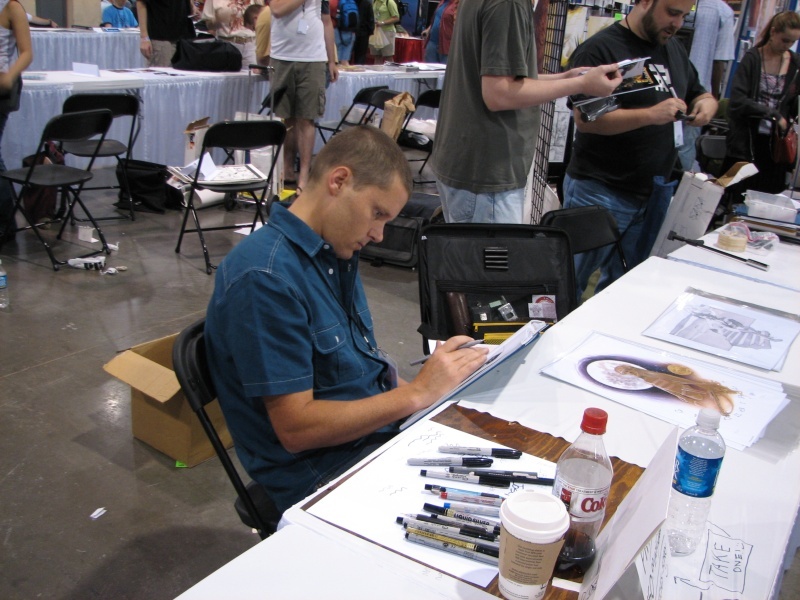 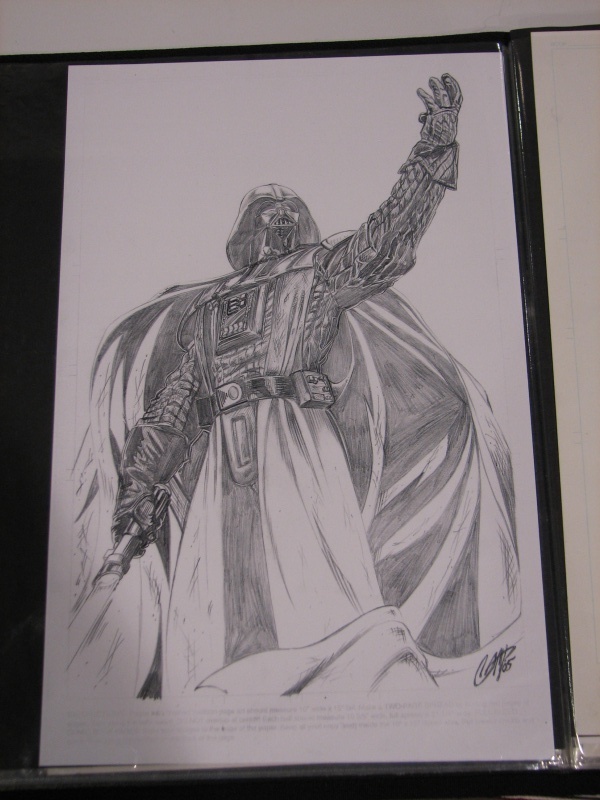 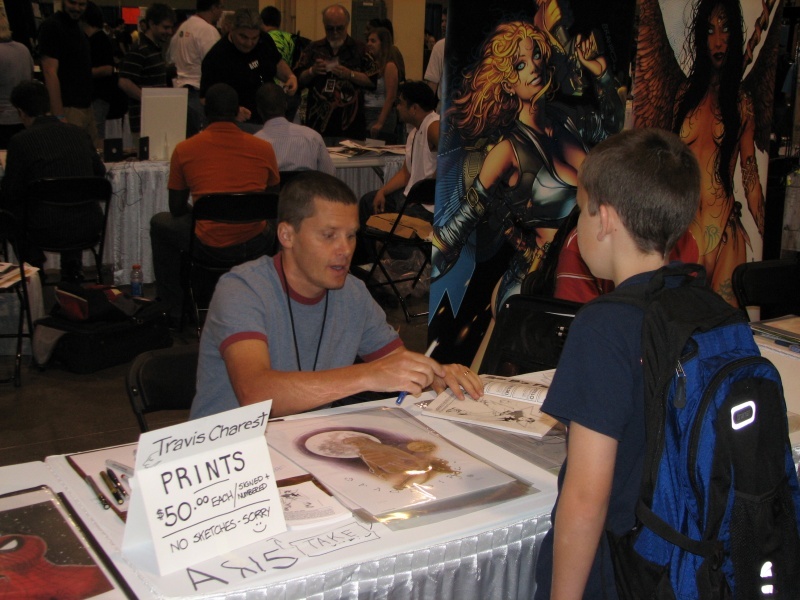 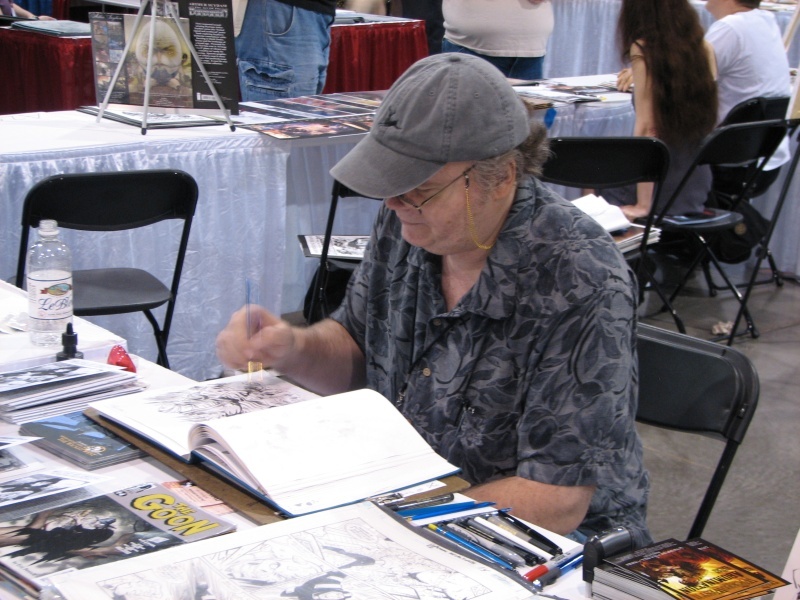 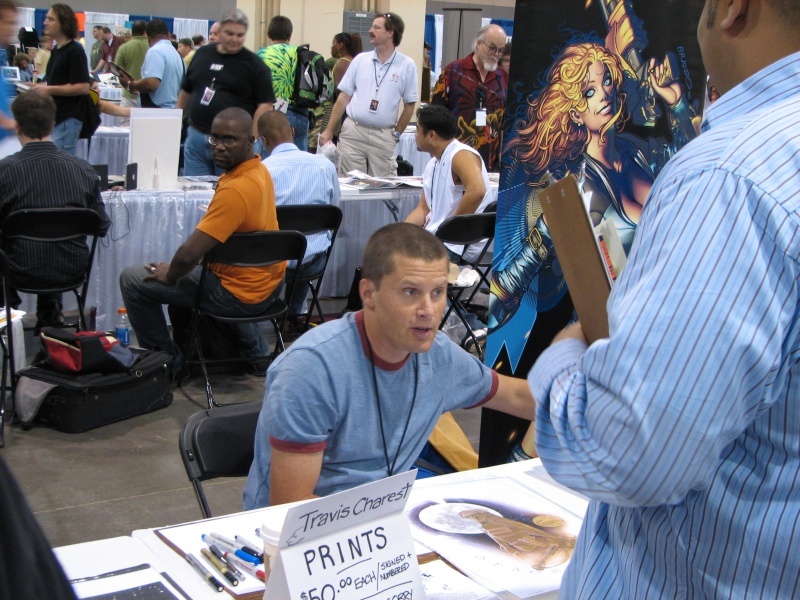 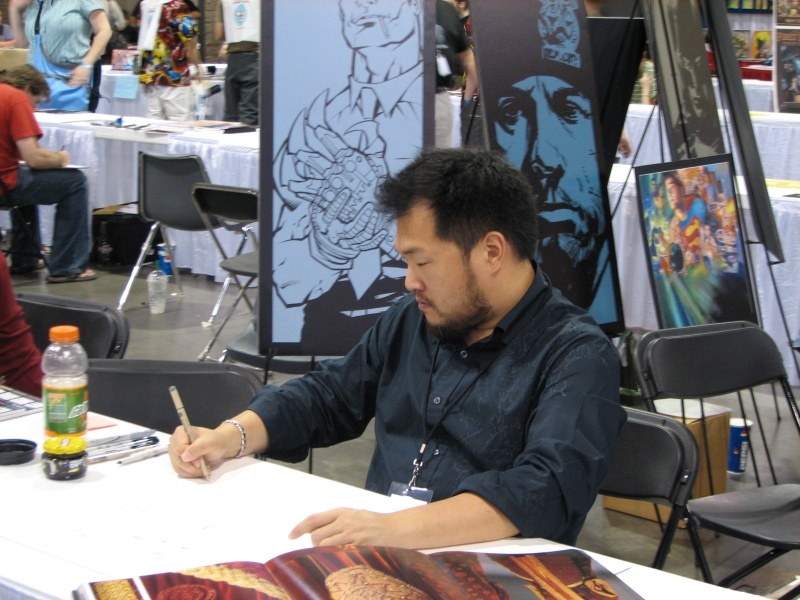 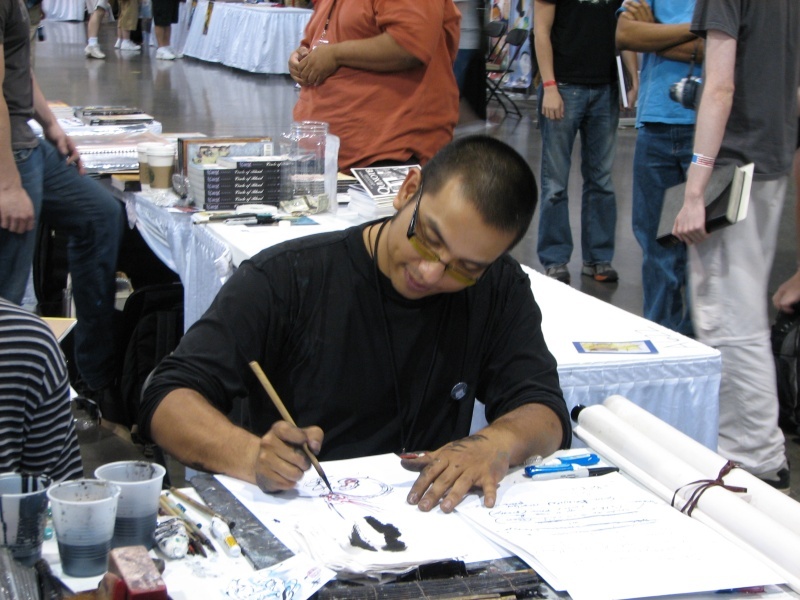 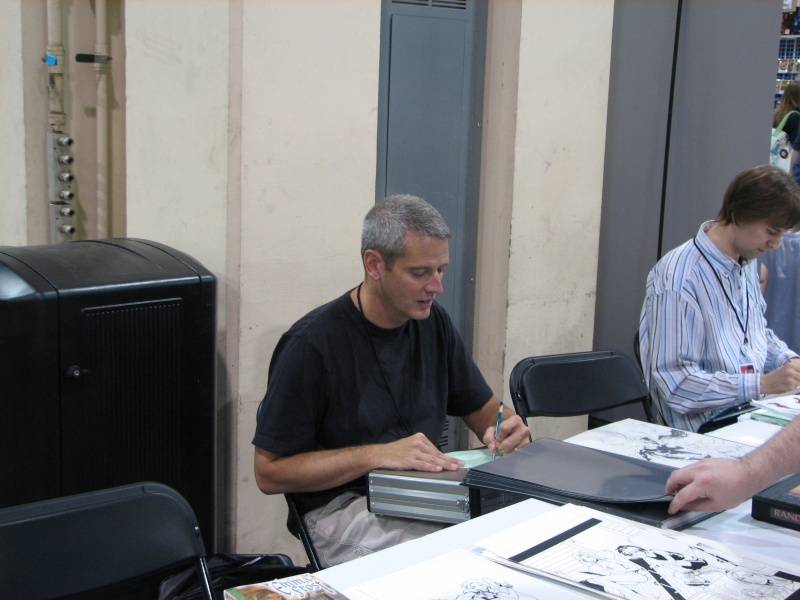 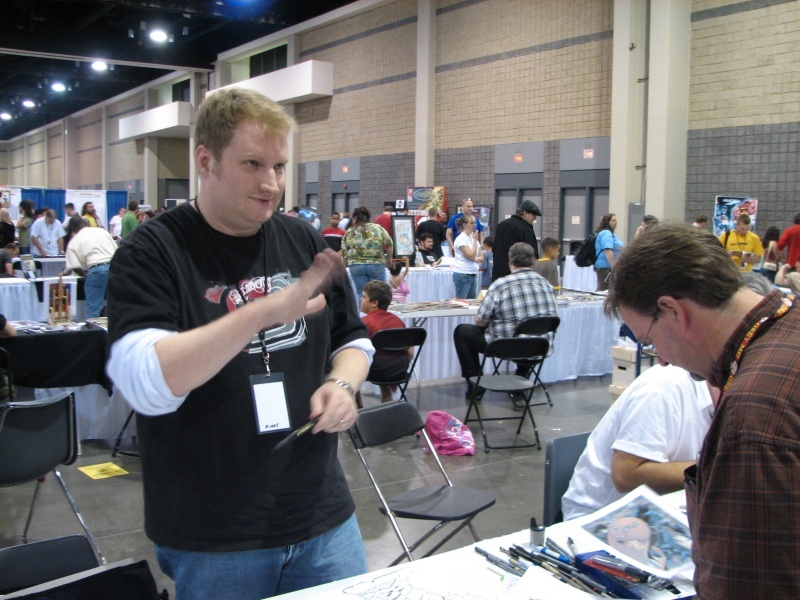 While Travis Charest wasn't doing sketches at the con (it'd be a zoo if he did), I did manage to catch him doing a sketch for someone at the end of the convention, and it was a real treat to just watch him do his thing (in person). 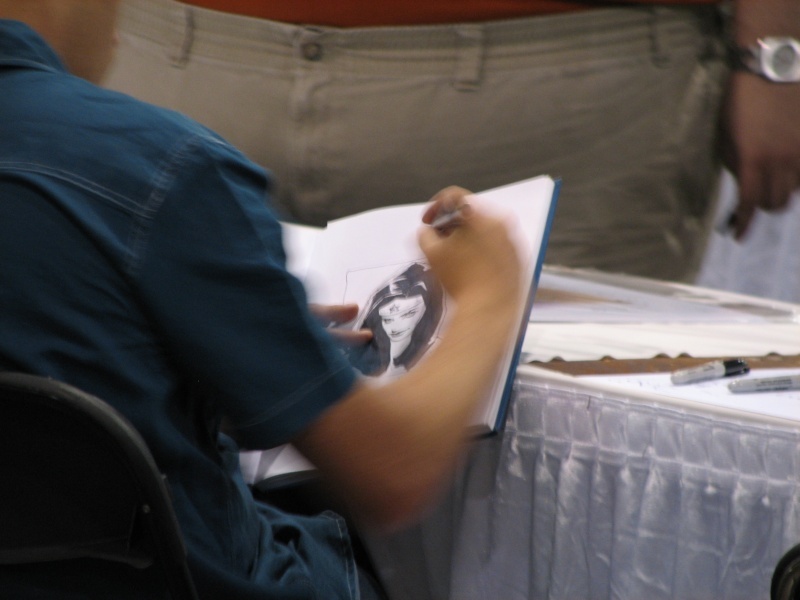 I managed to peek over his shoulder with my camera in the third photo below. 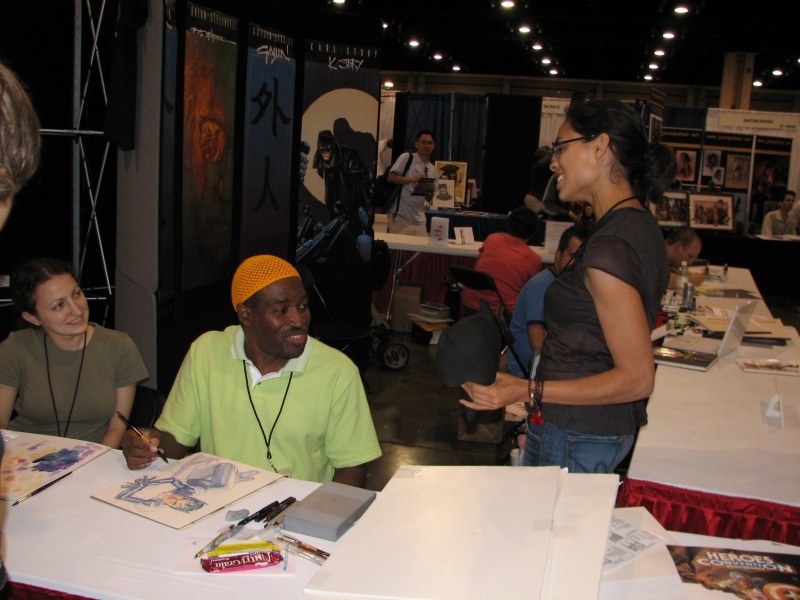 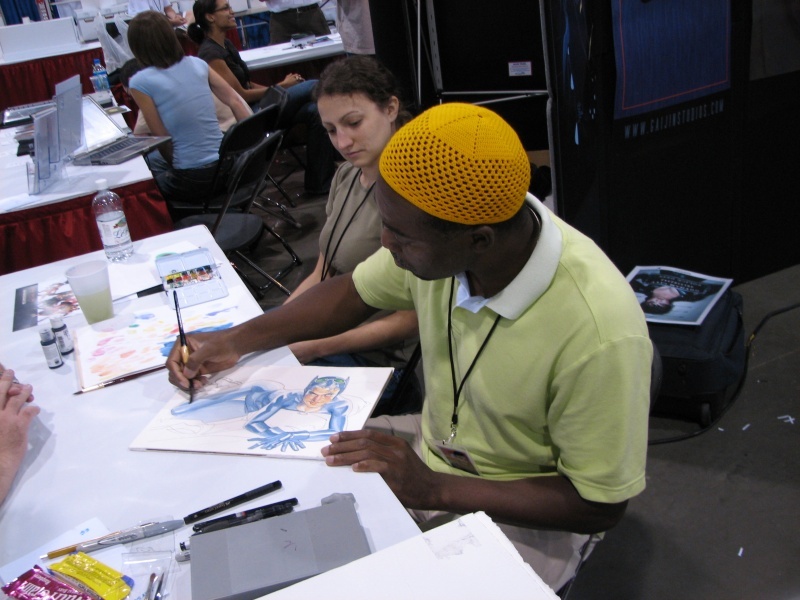 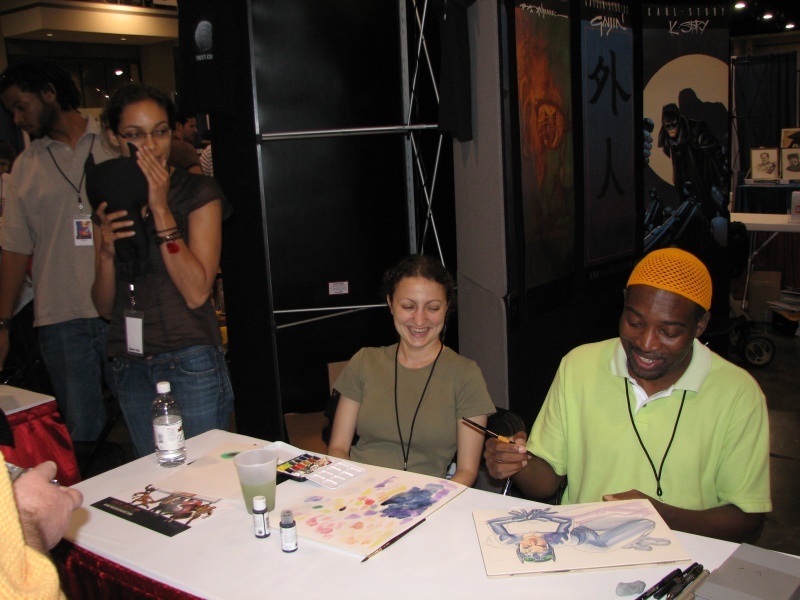 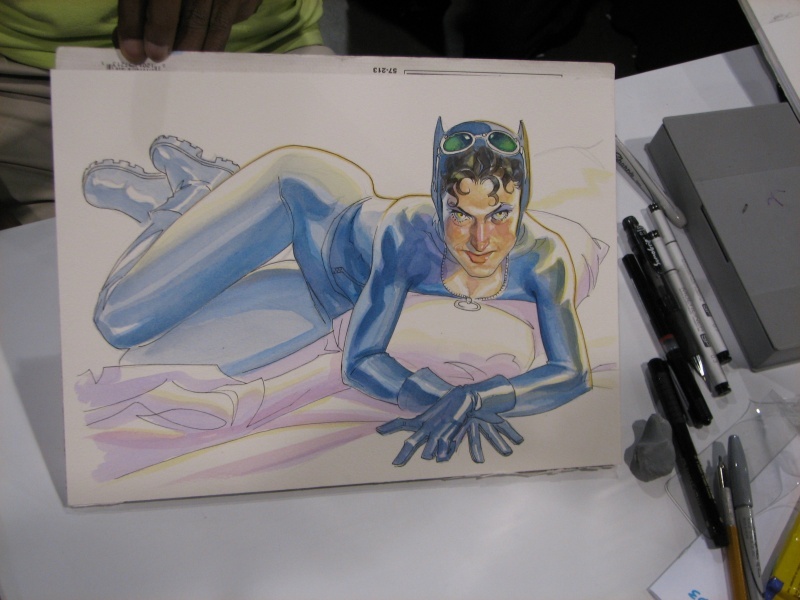 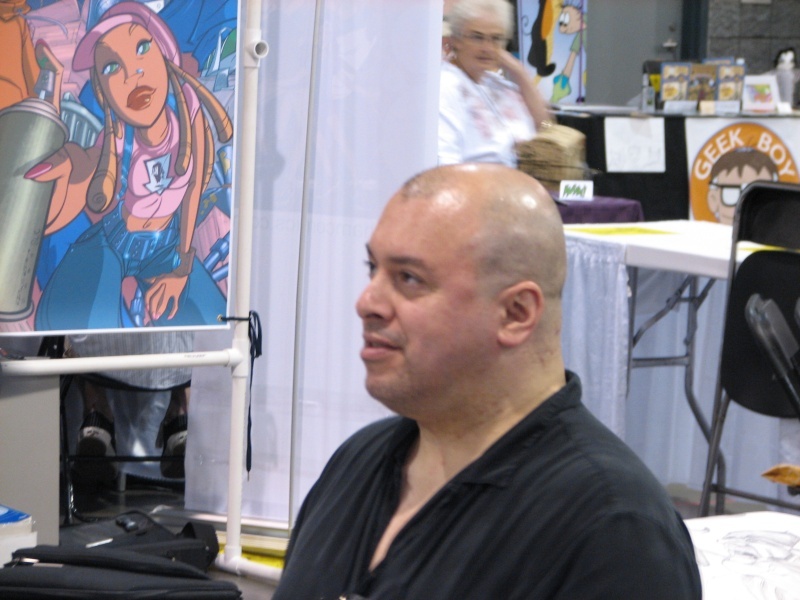 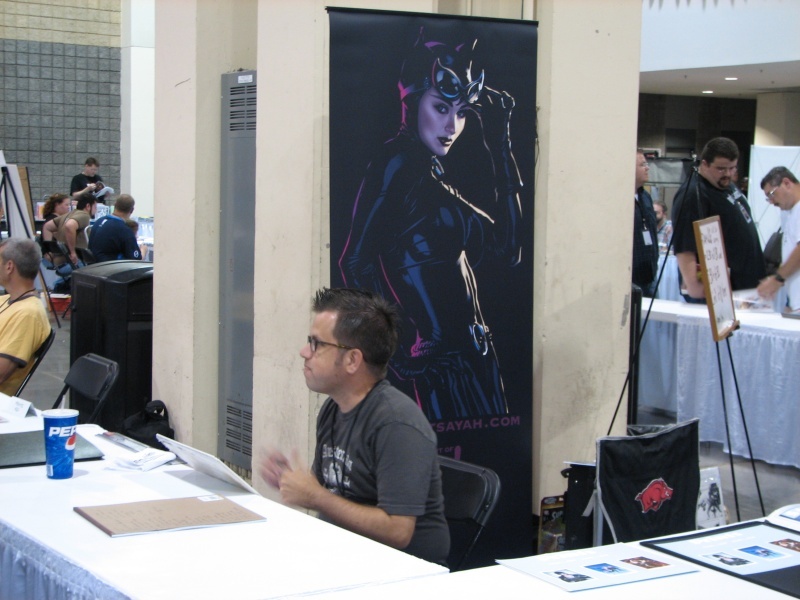 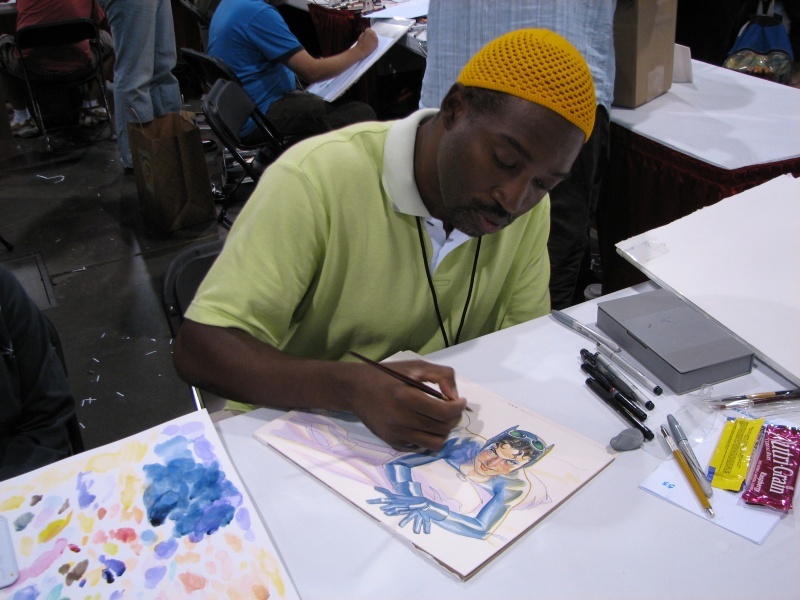 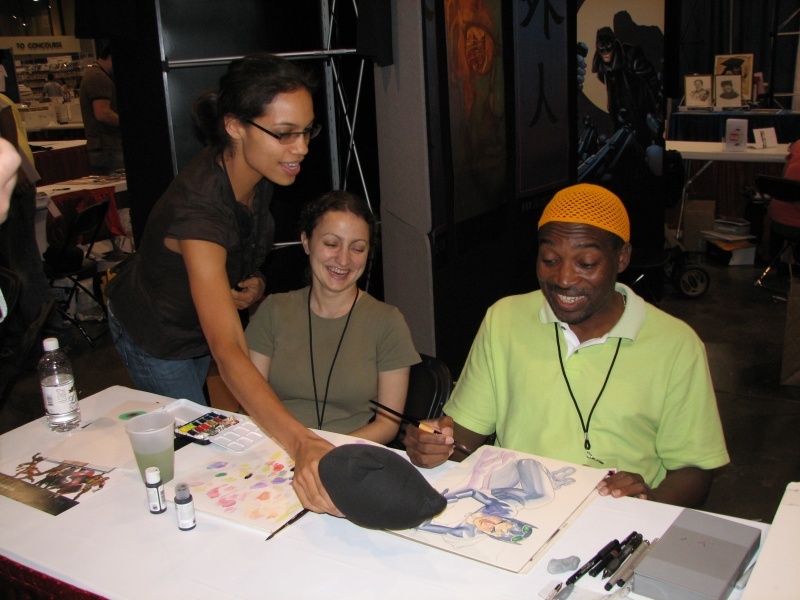 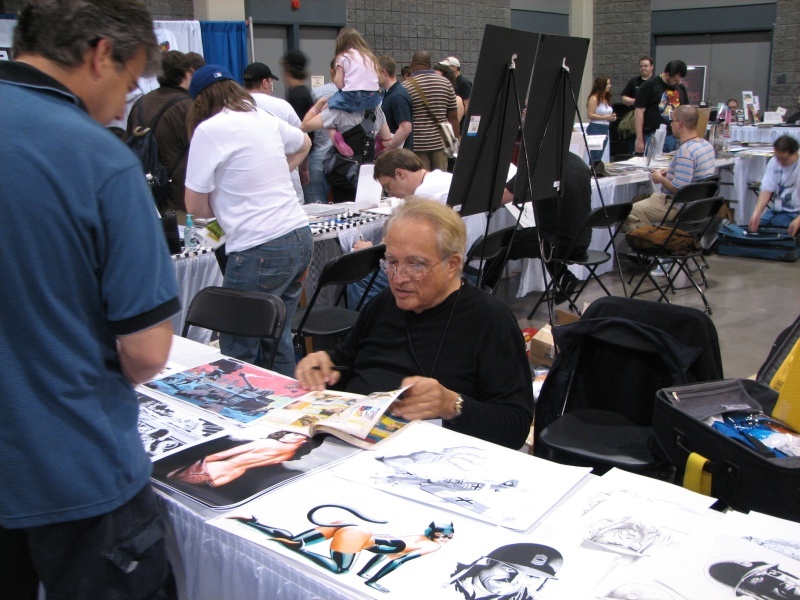 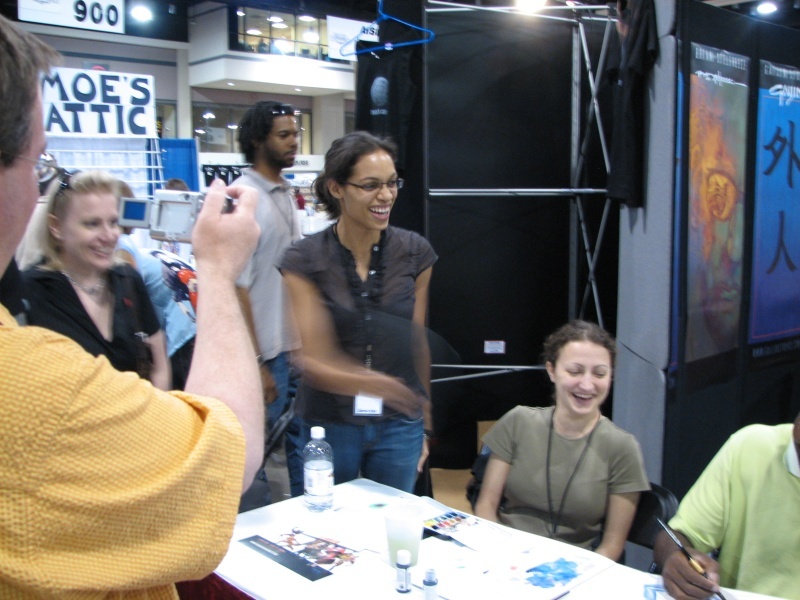 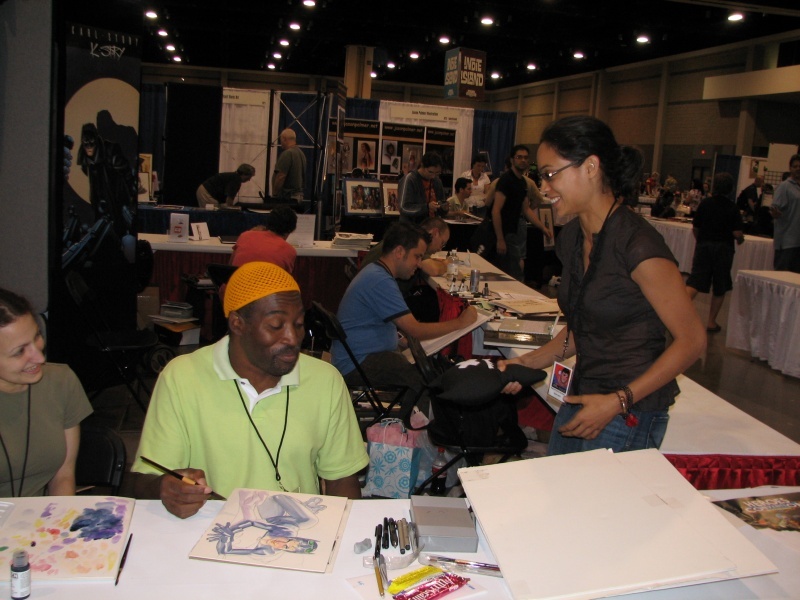 Brian Stelfreeze was minding his own business, doing a nice Catwoman painting for a lucky fan, and Rosario Dawson decided to be a little playful by tormenting Brian with this small black plush doll. 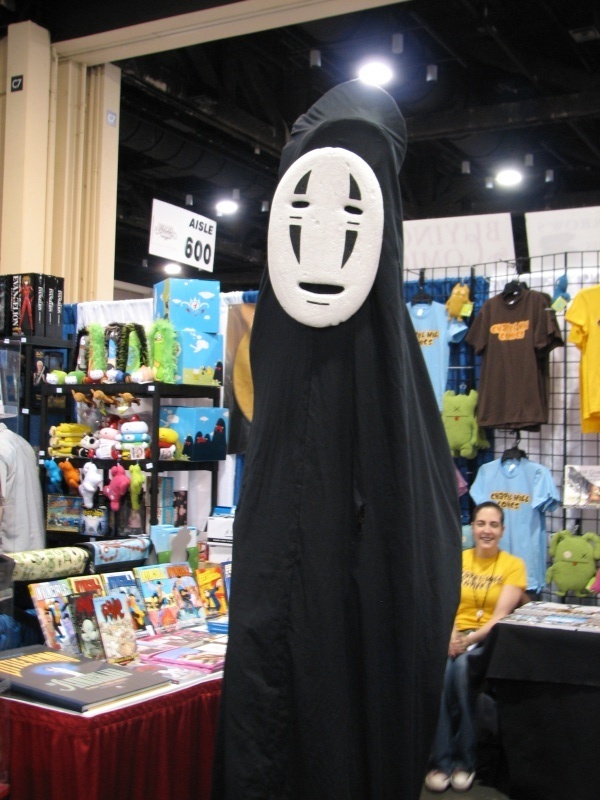 All of us around the Gaijin Studios booth were at least a little freaked out by that plush doll. 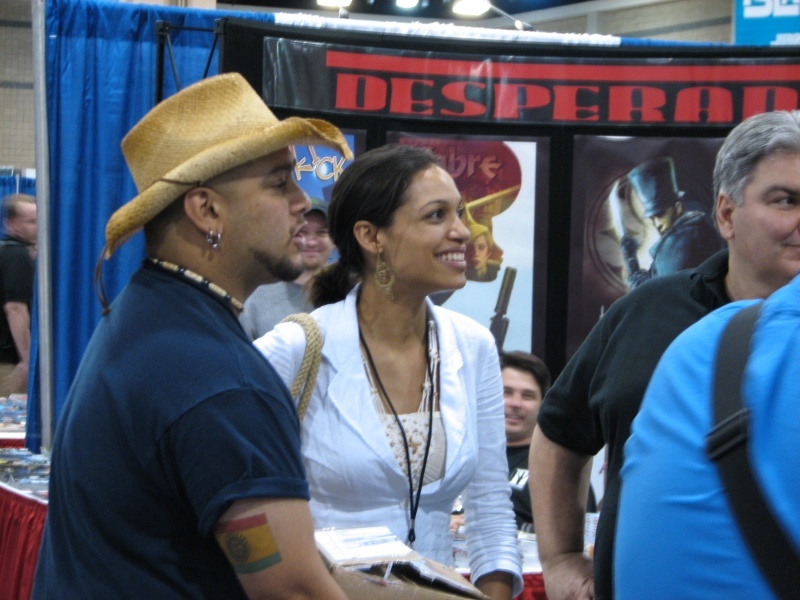 BTW, Rosario is a very cool, and down-to-earth person. 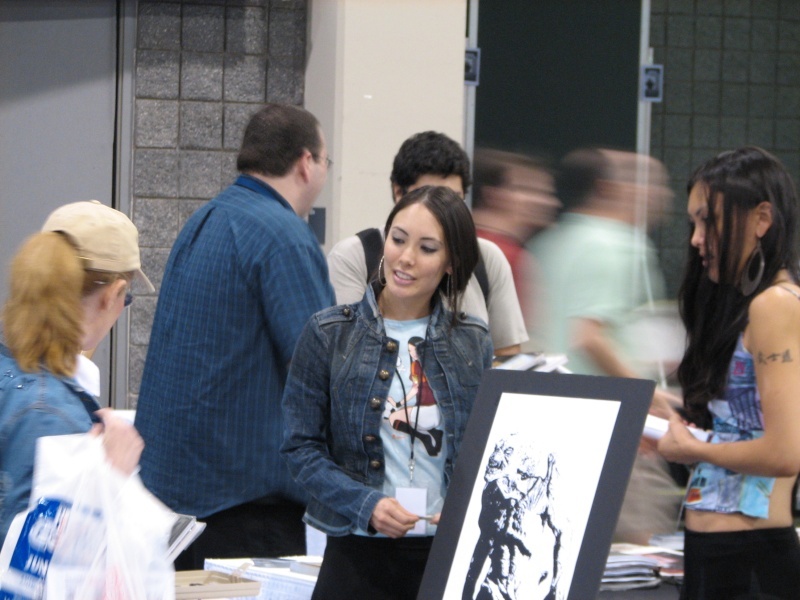 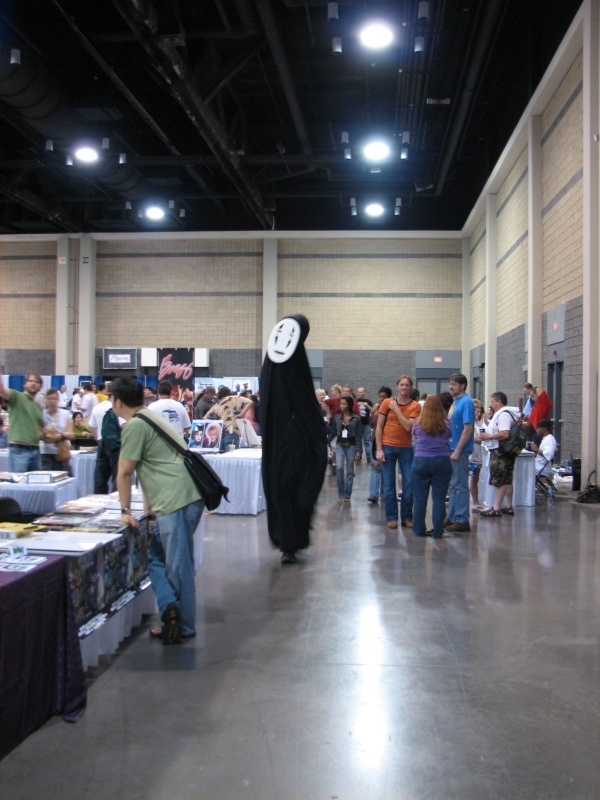 She really seemed to be enjoying herself here at Heroes Con. 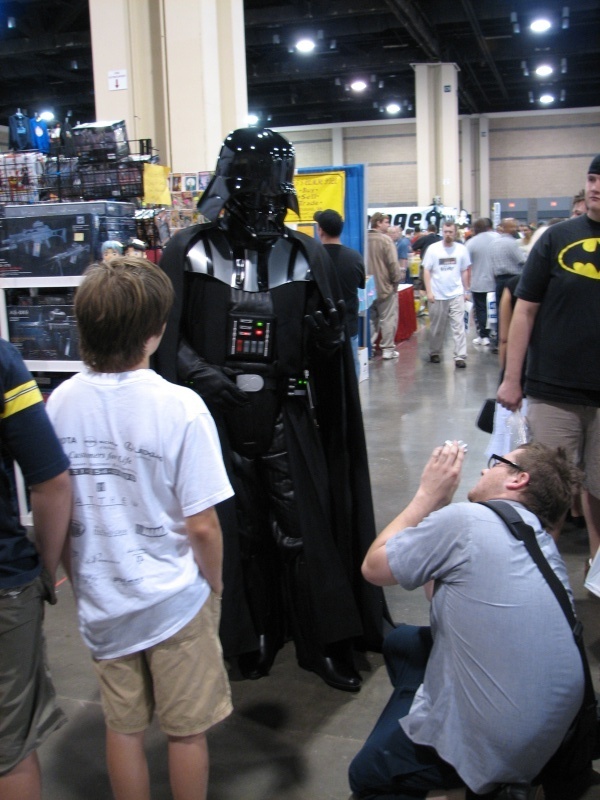 I thought this was funny. 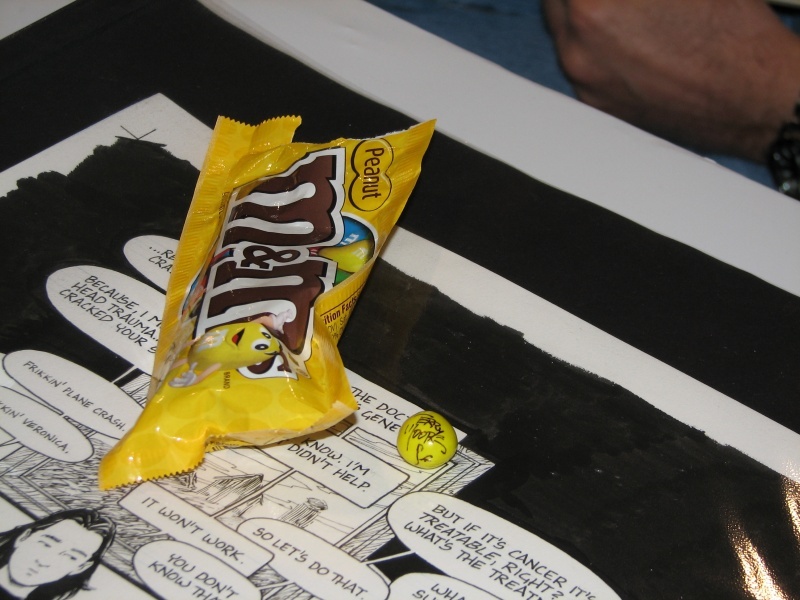 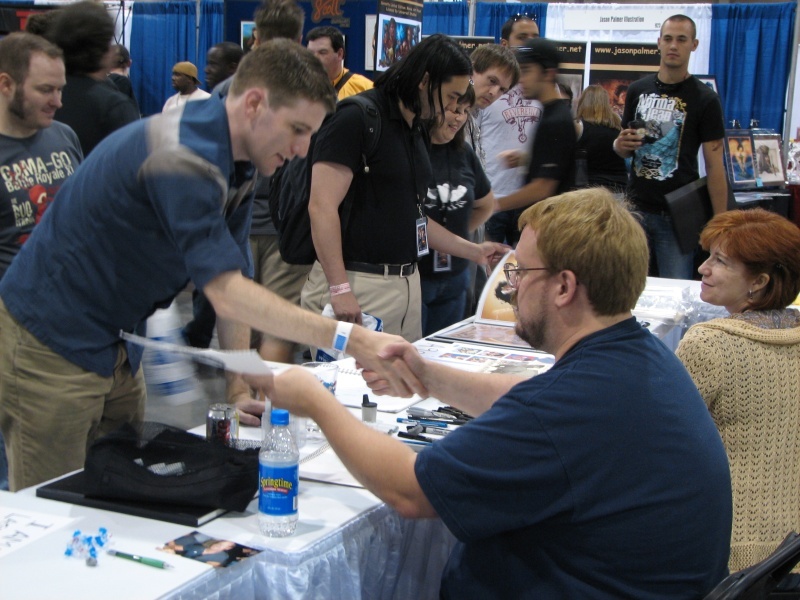 As Matt Brady of Newsarama can attest: All good things must come to an end. 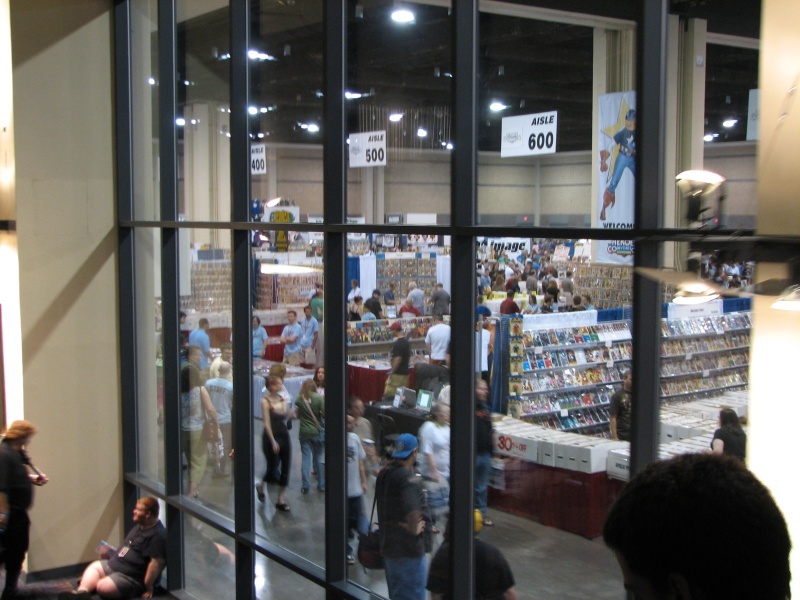 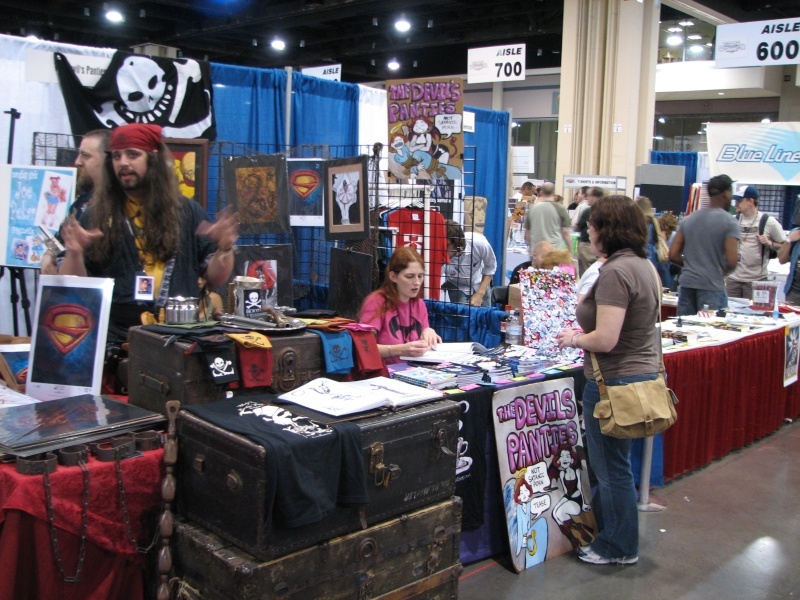 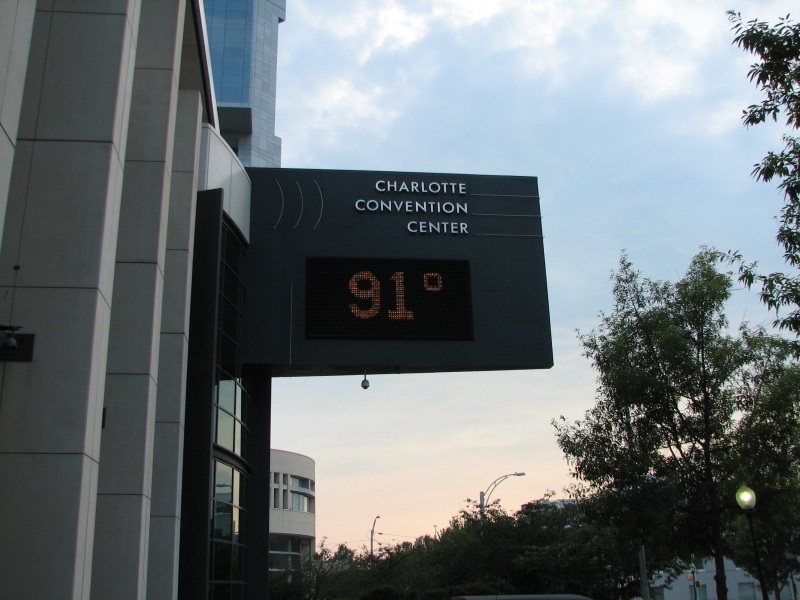 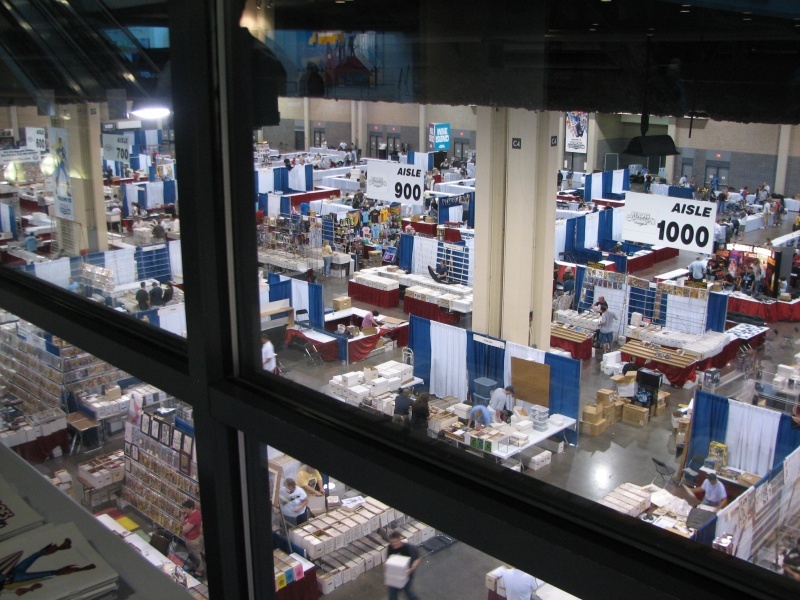 These are photos of the convention floor, mainly the dealer's room (booths), but also of the surrounding areas (shots from my hotel, etc. 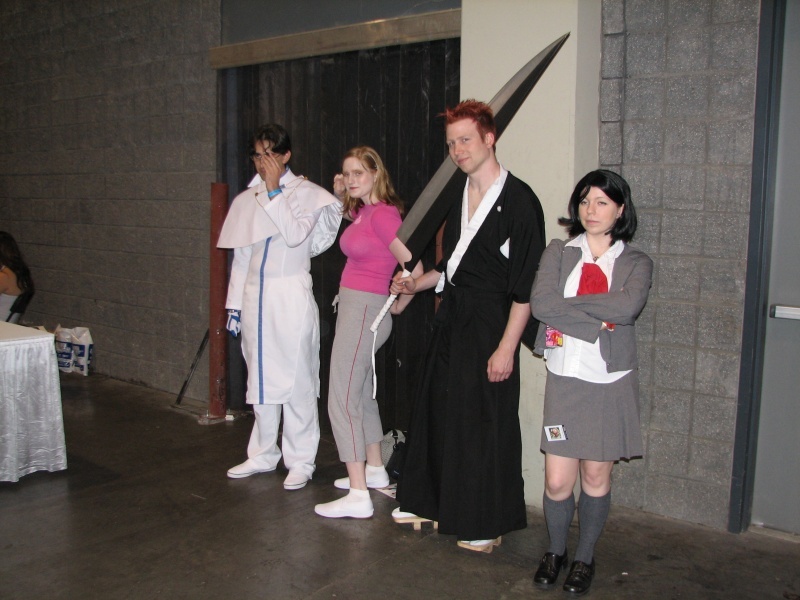 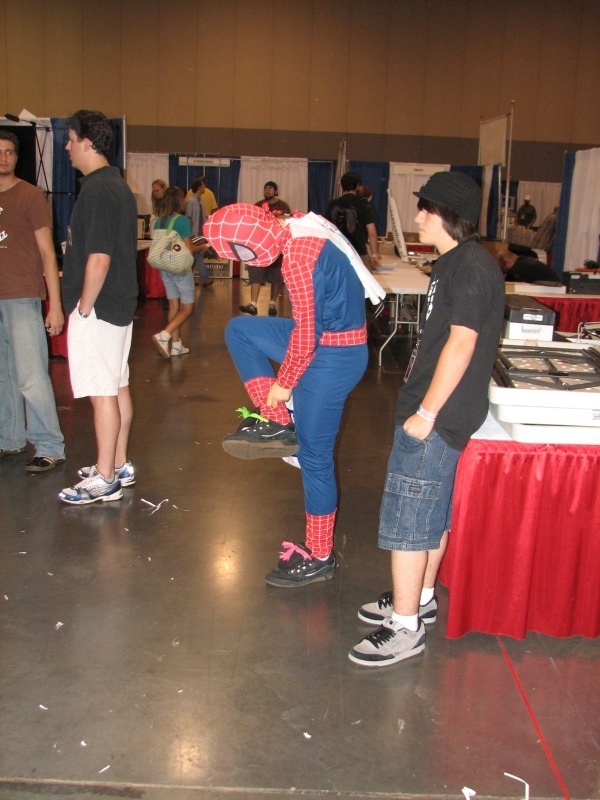 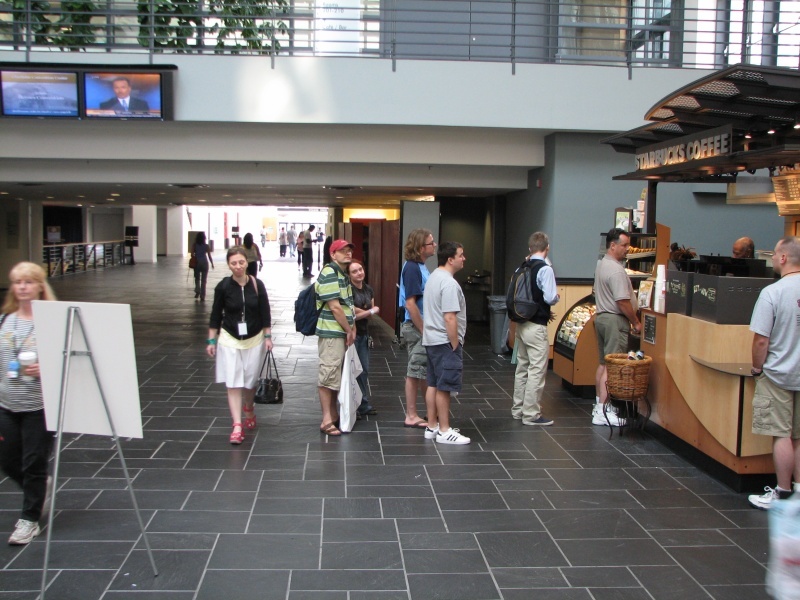 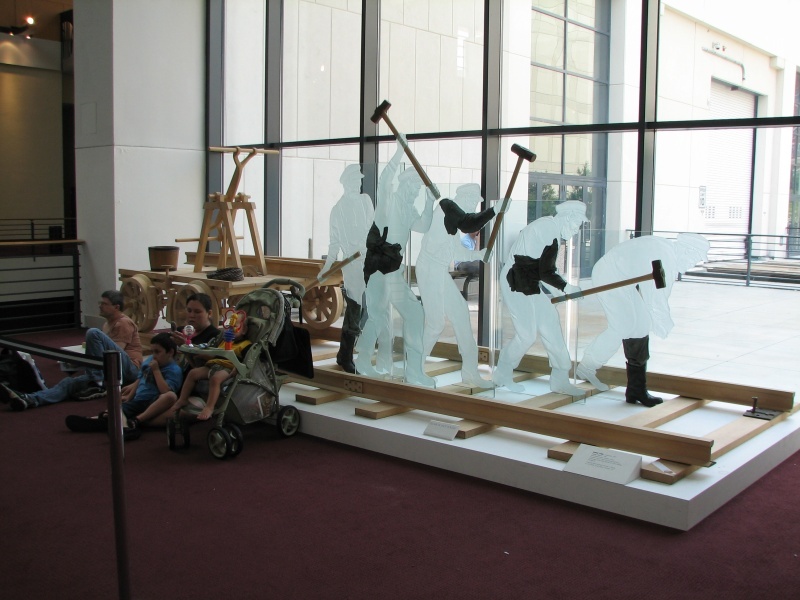 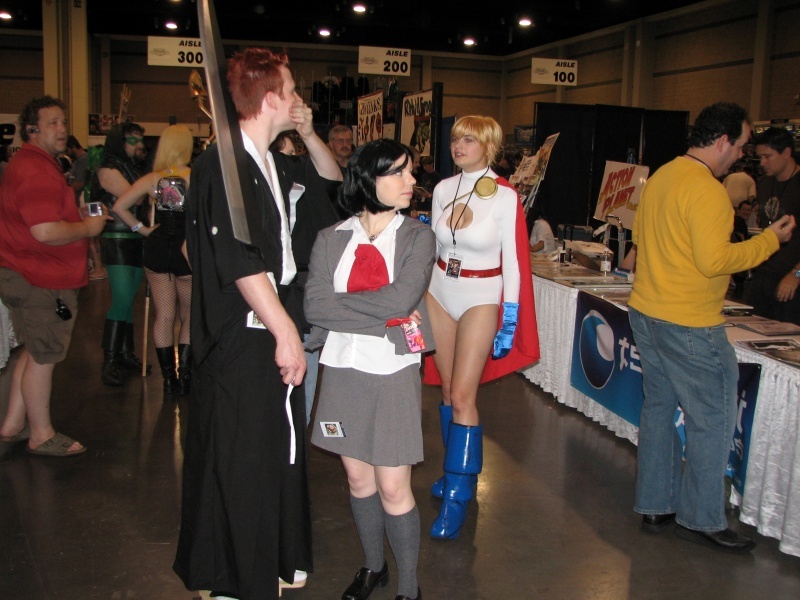 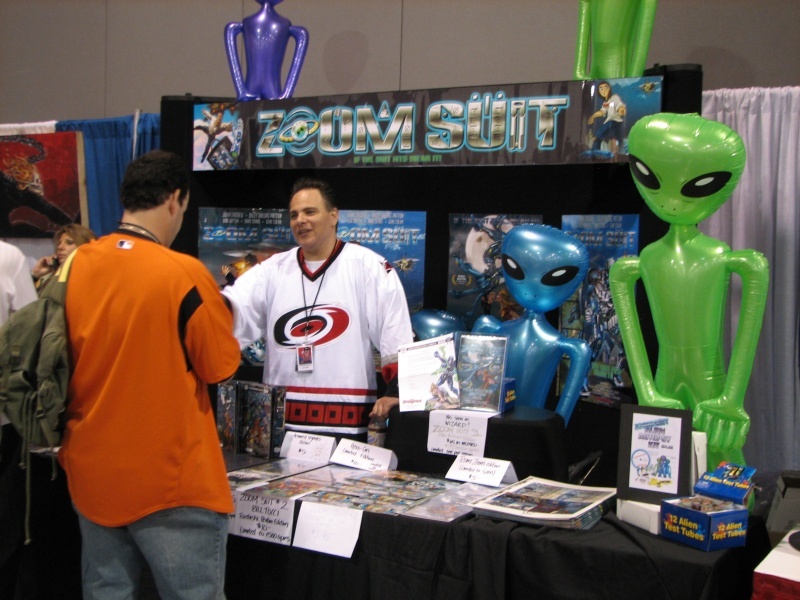 ), and costumed attendees. 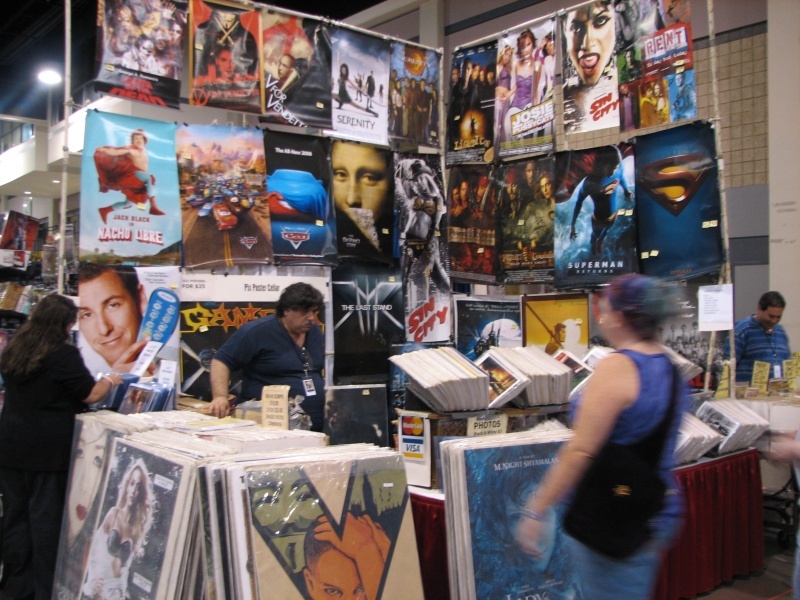 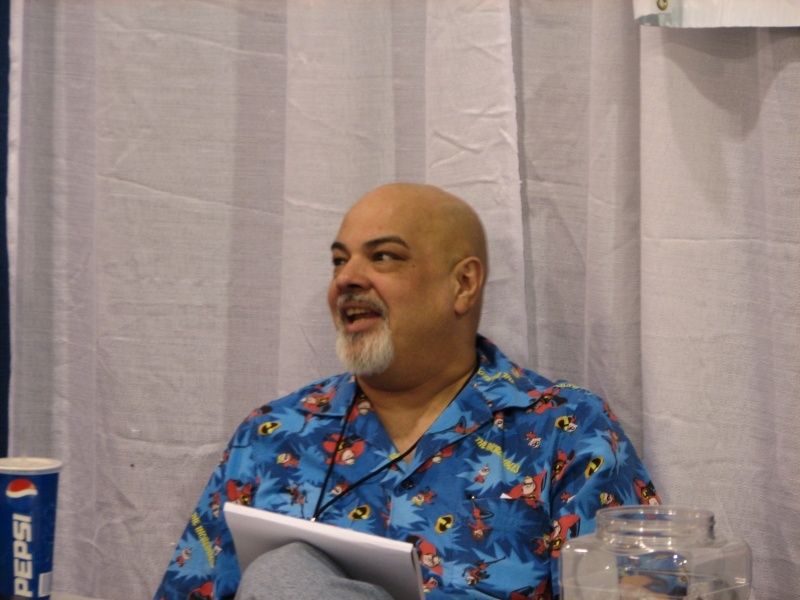 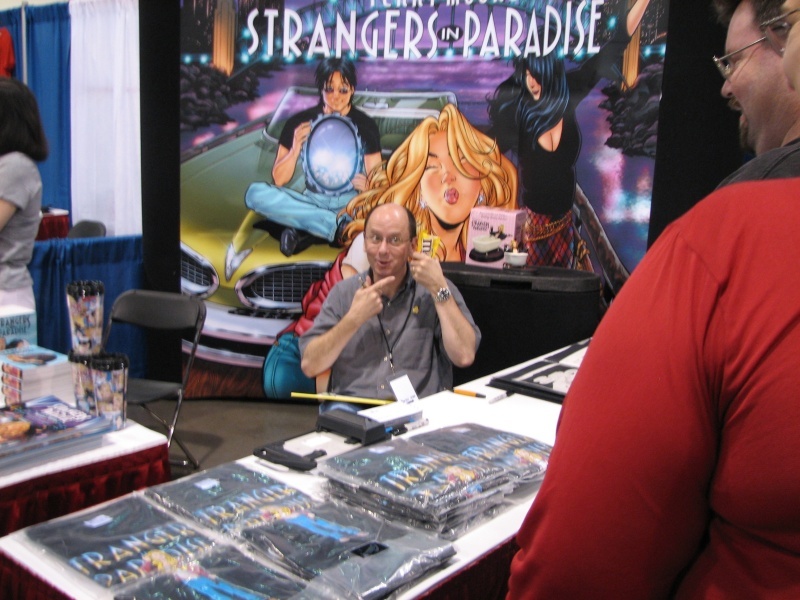 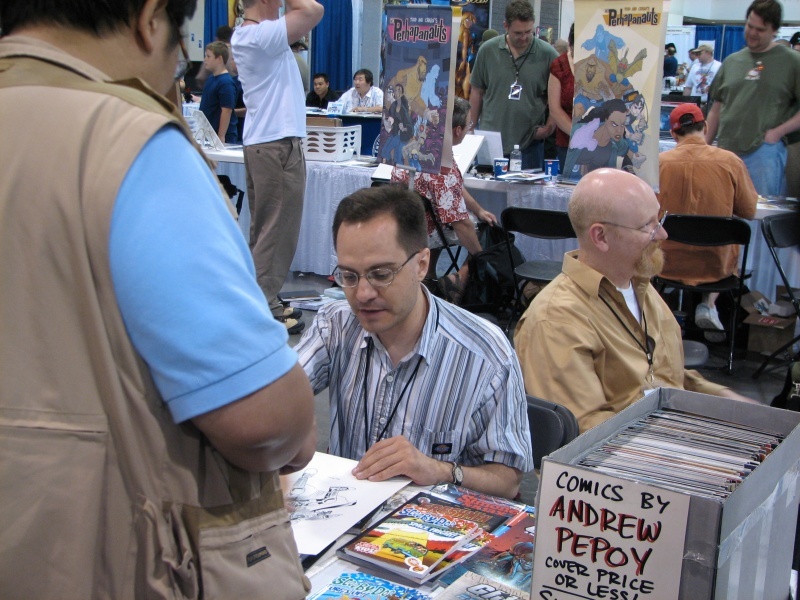 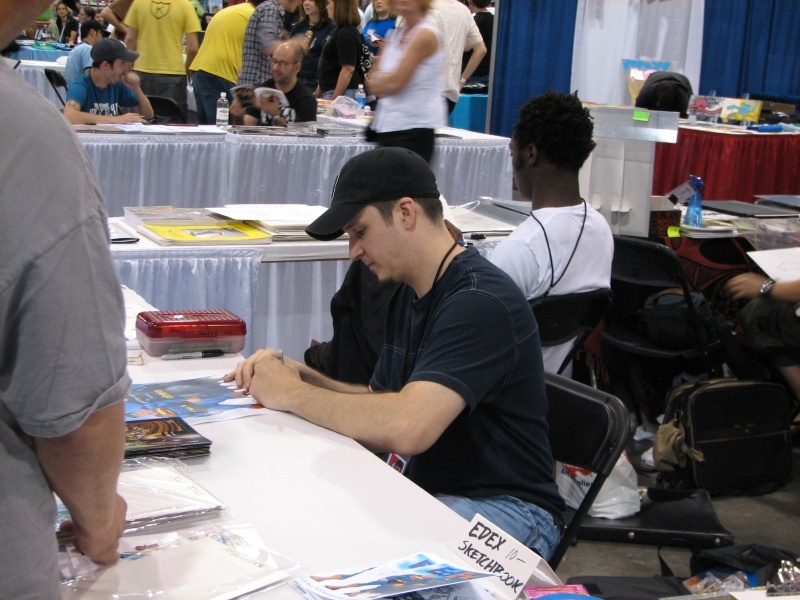 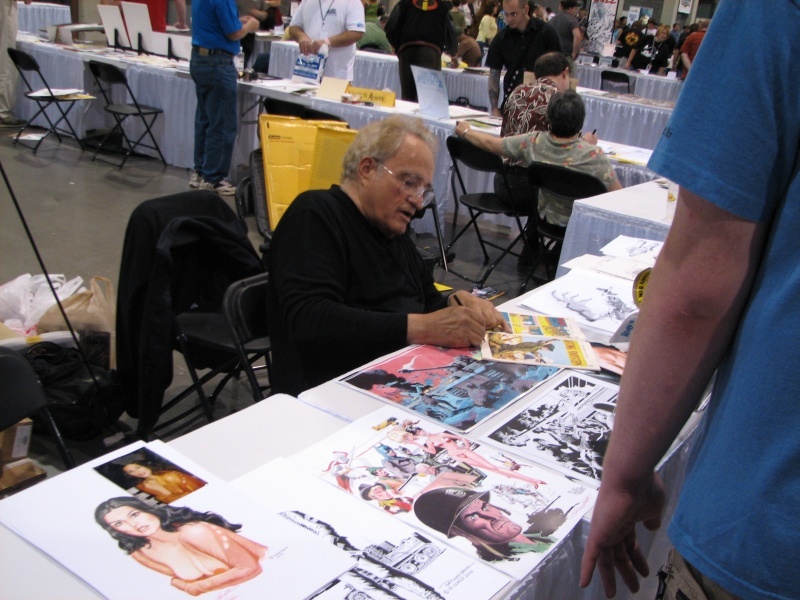 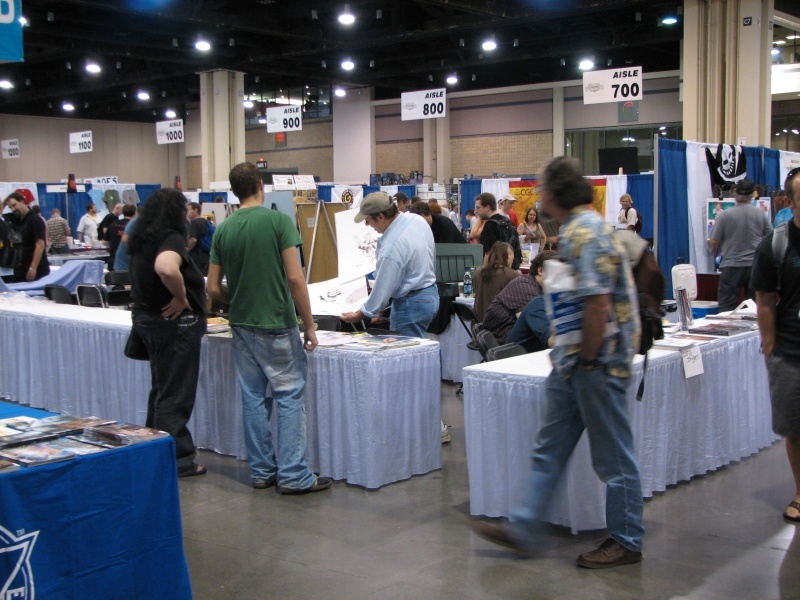 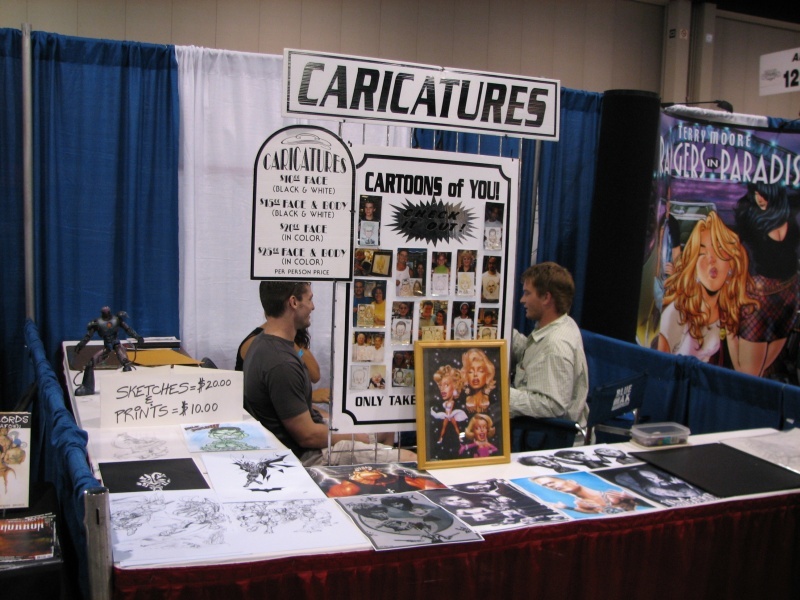 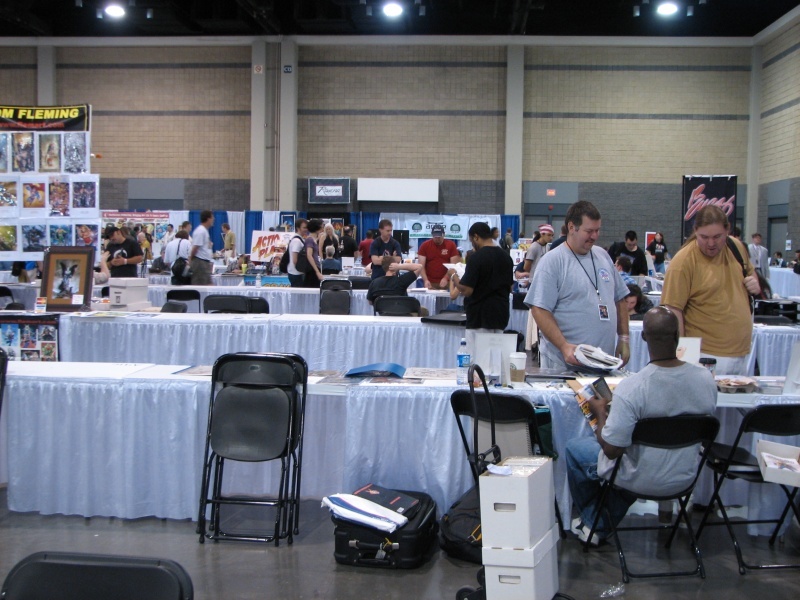 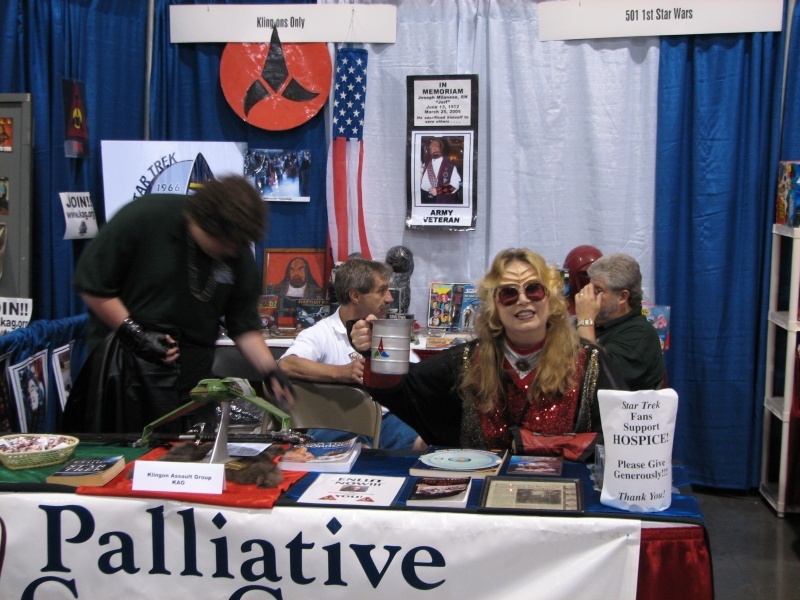 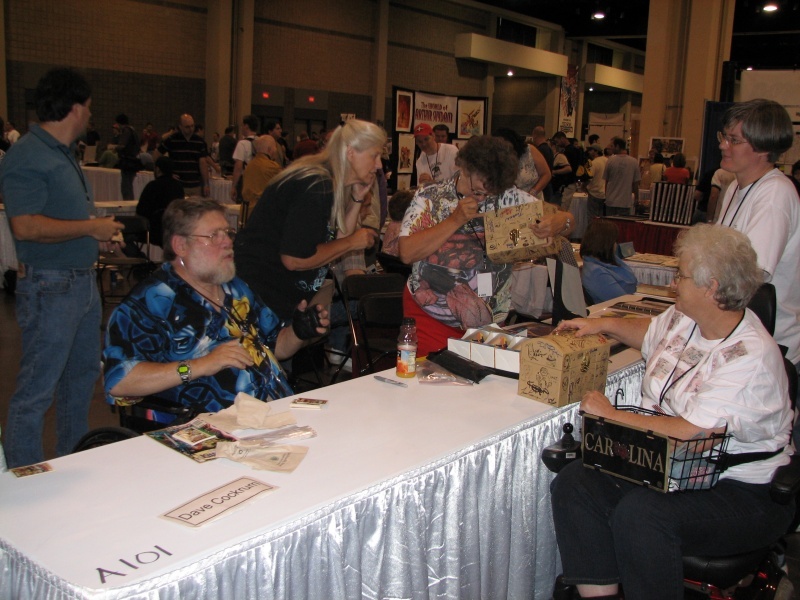 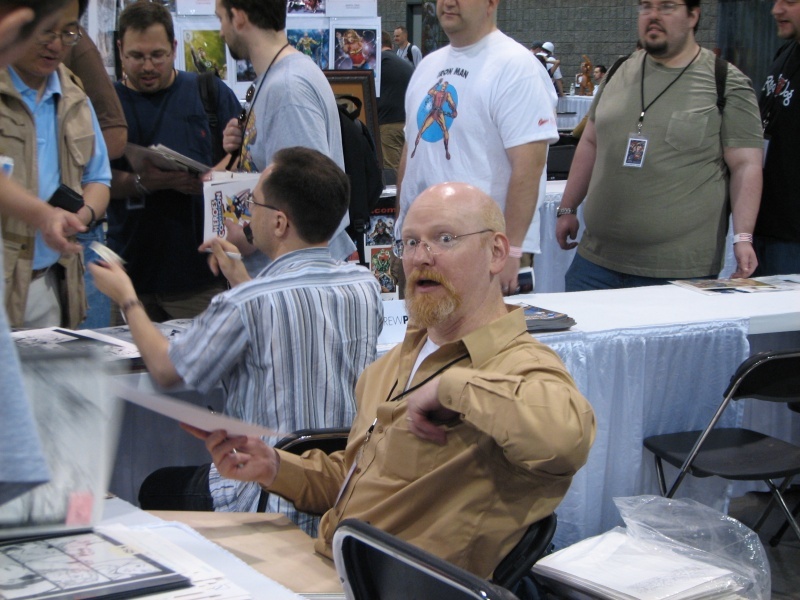 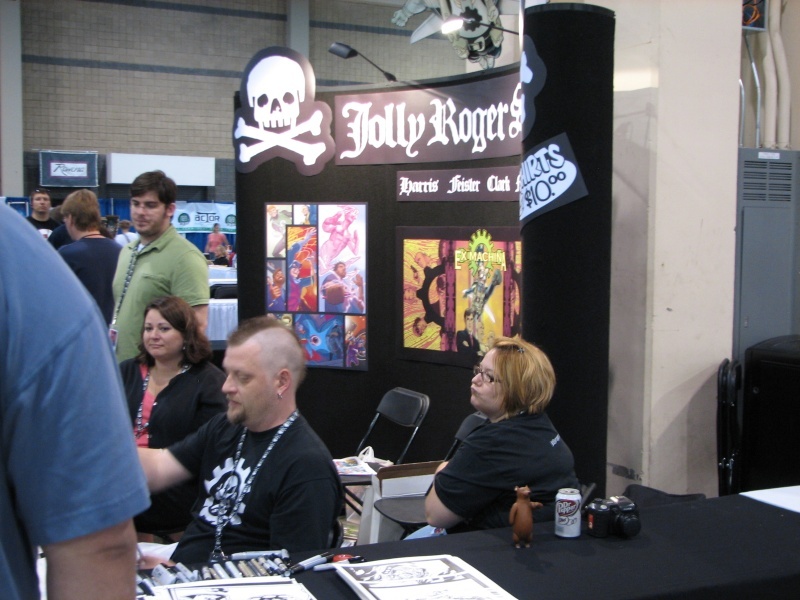 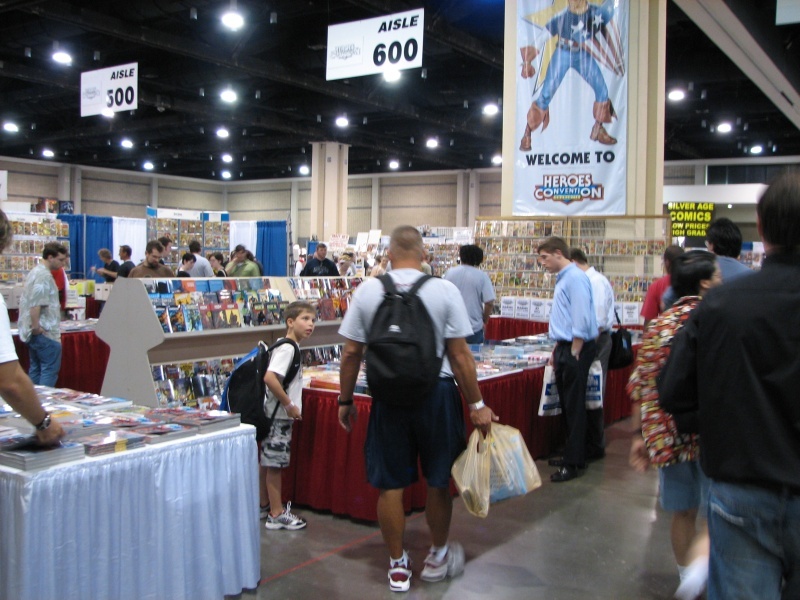 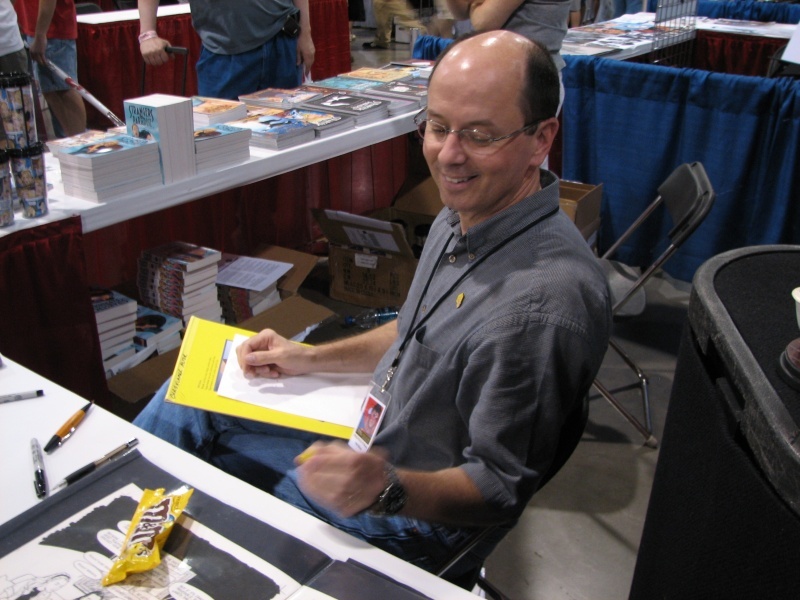 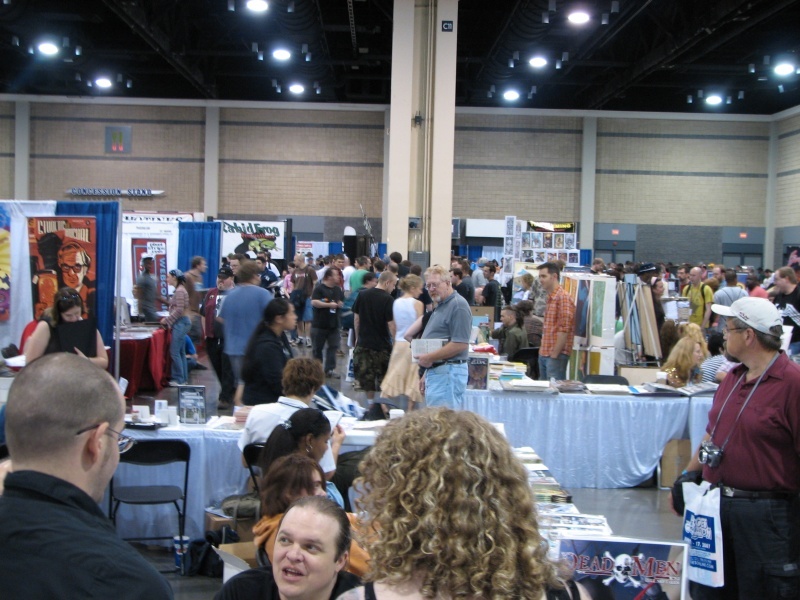 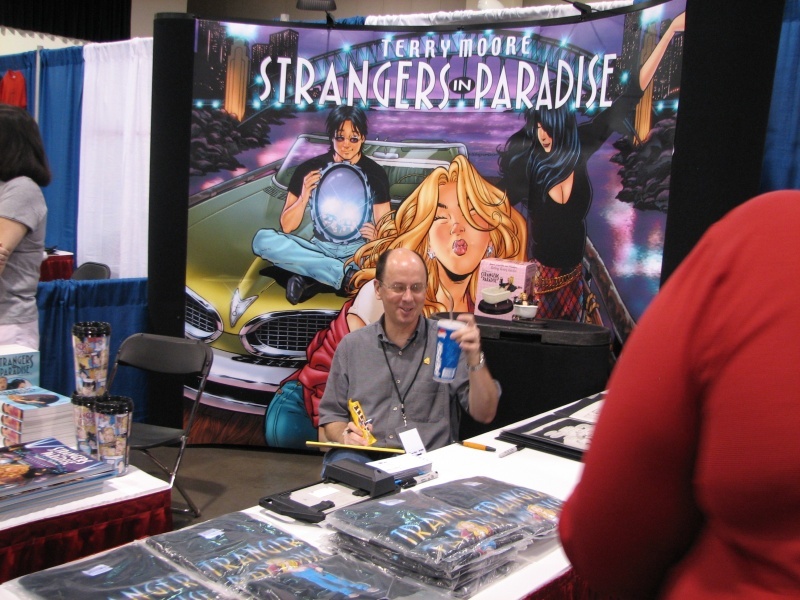 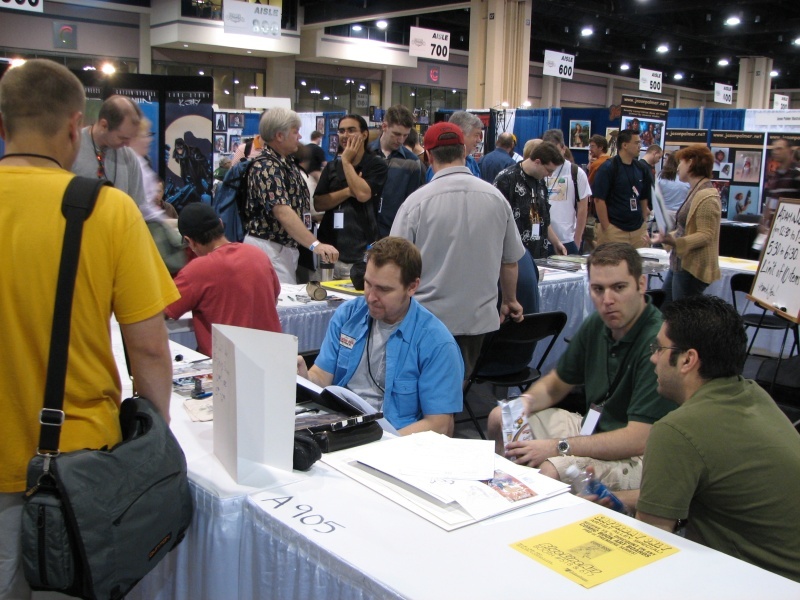 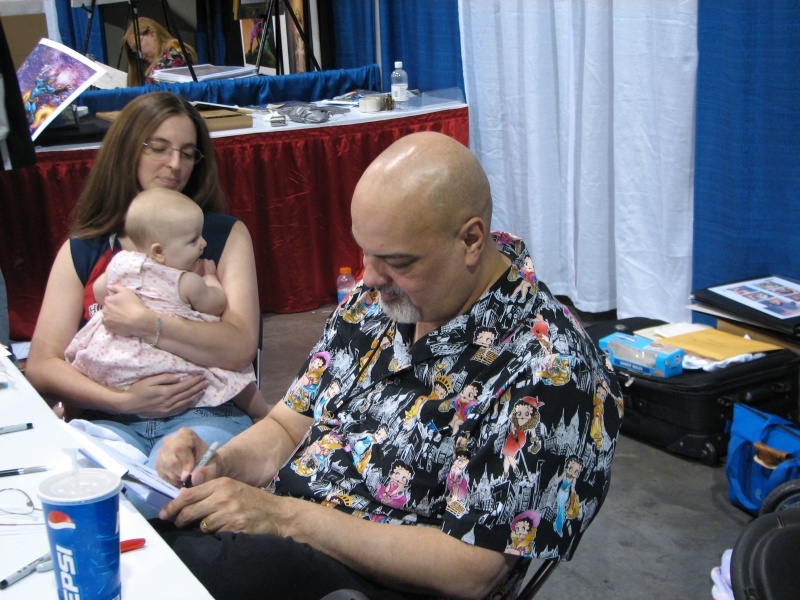 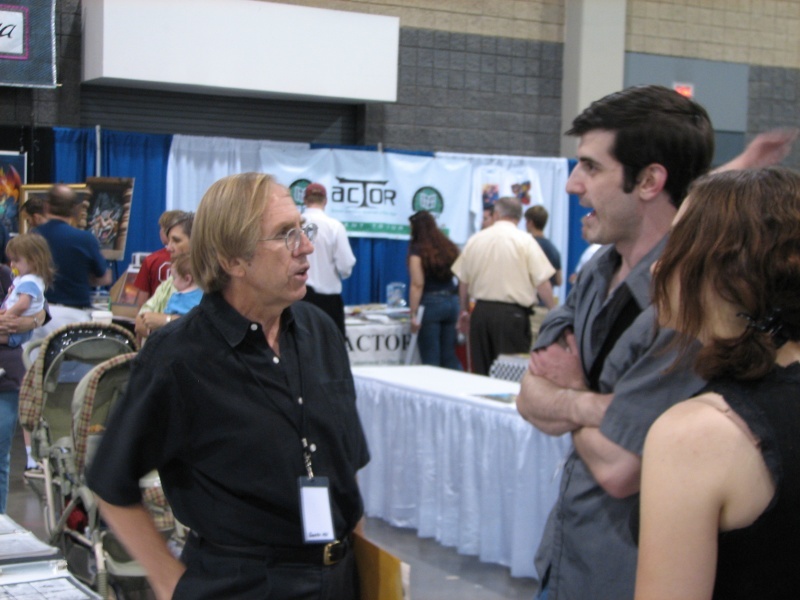 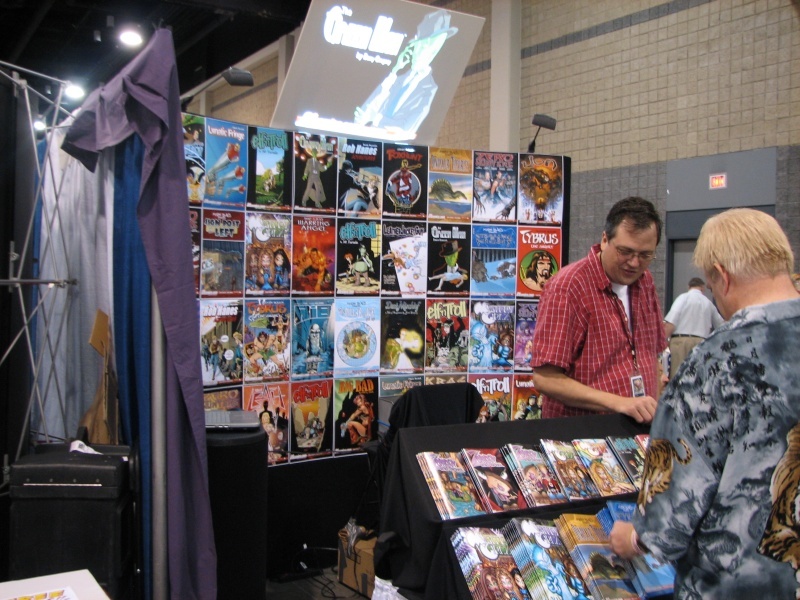 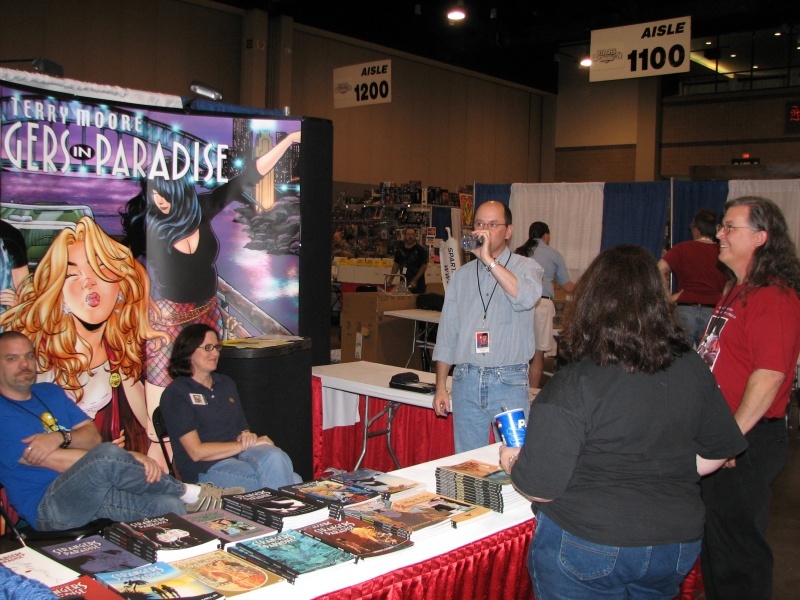 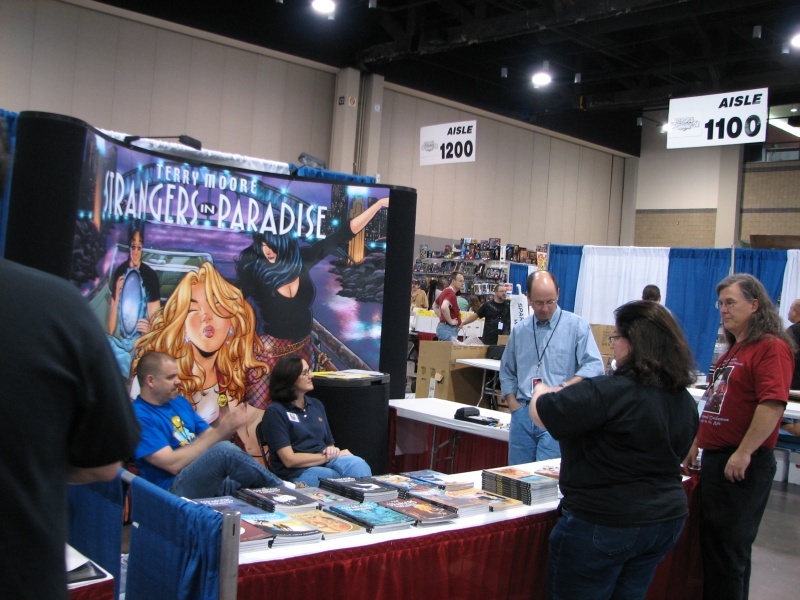 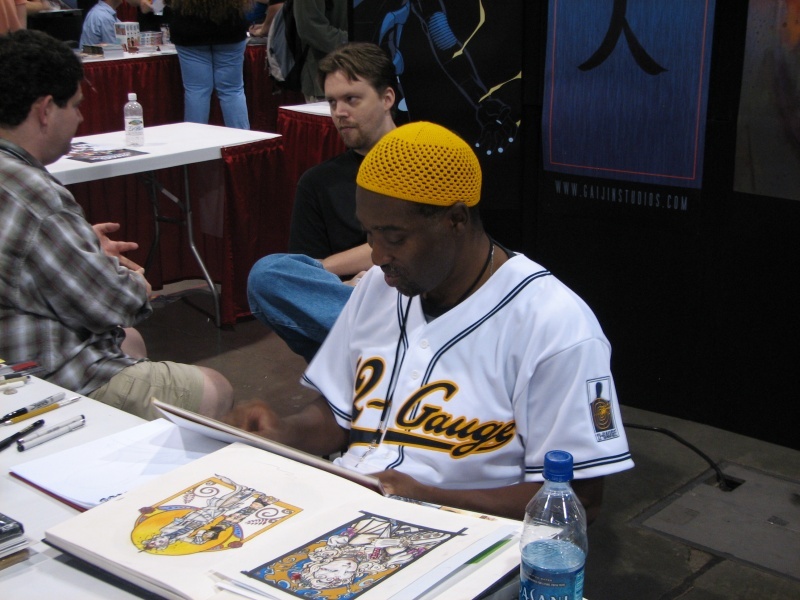 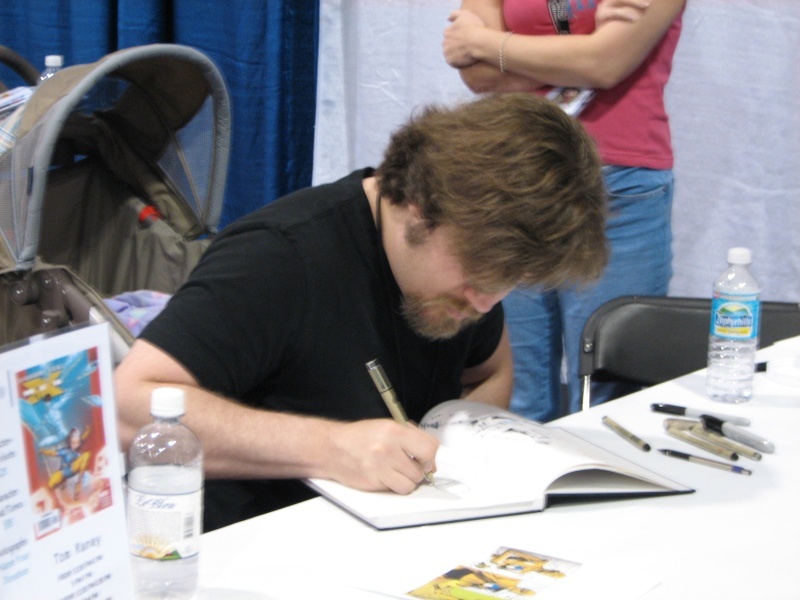 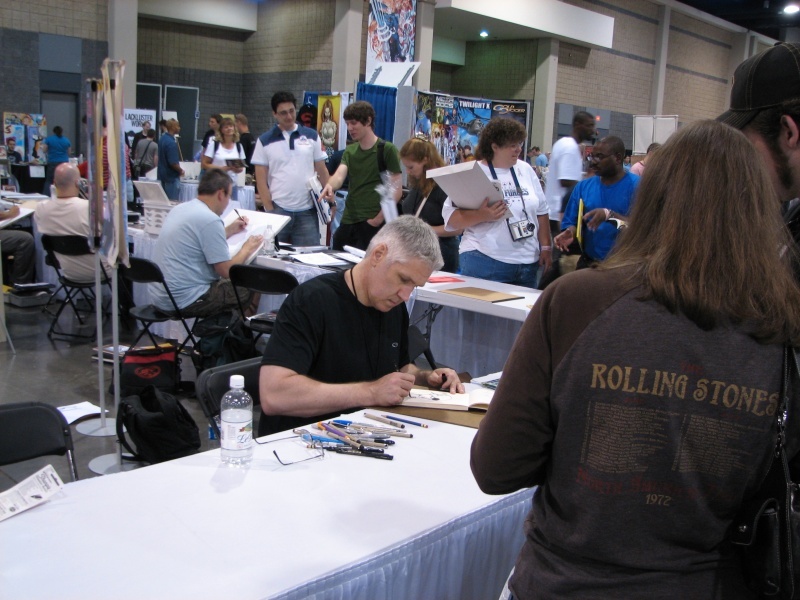 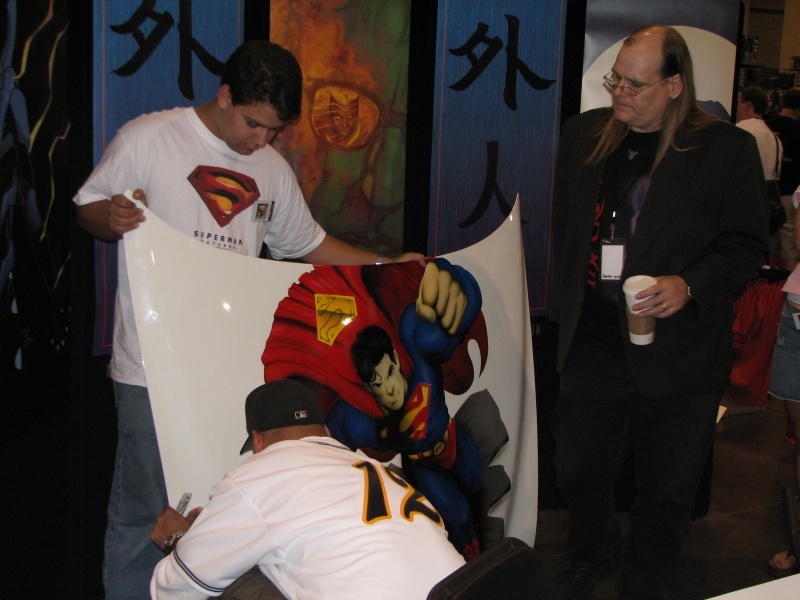 My Heroes Con 2003 Photo album. 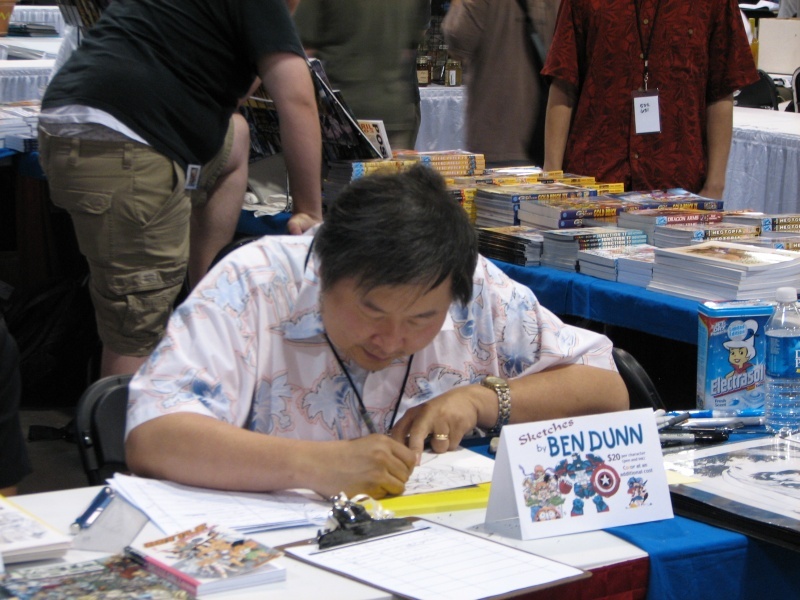 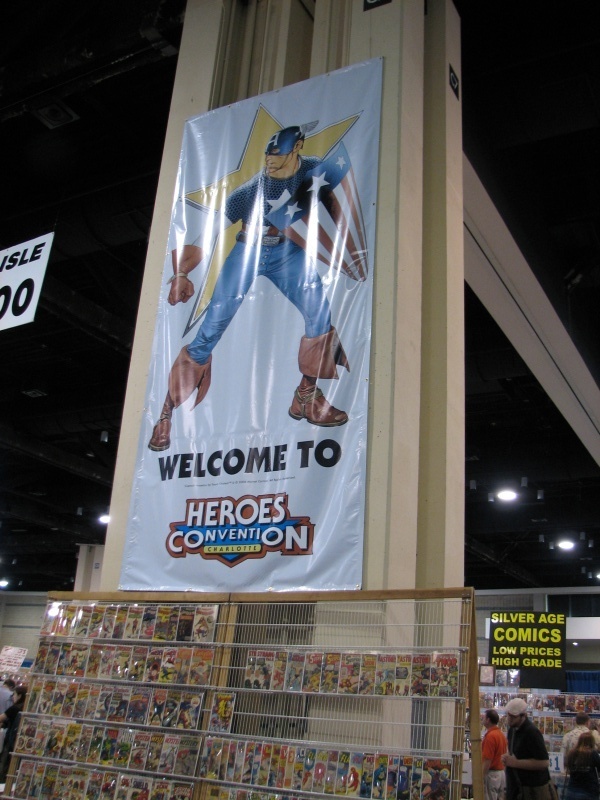 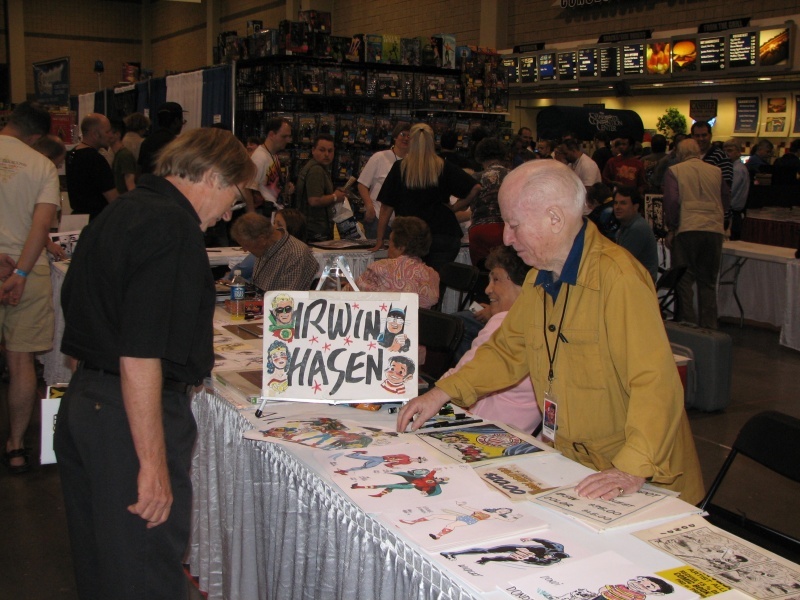 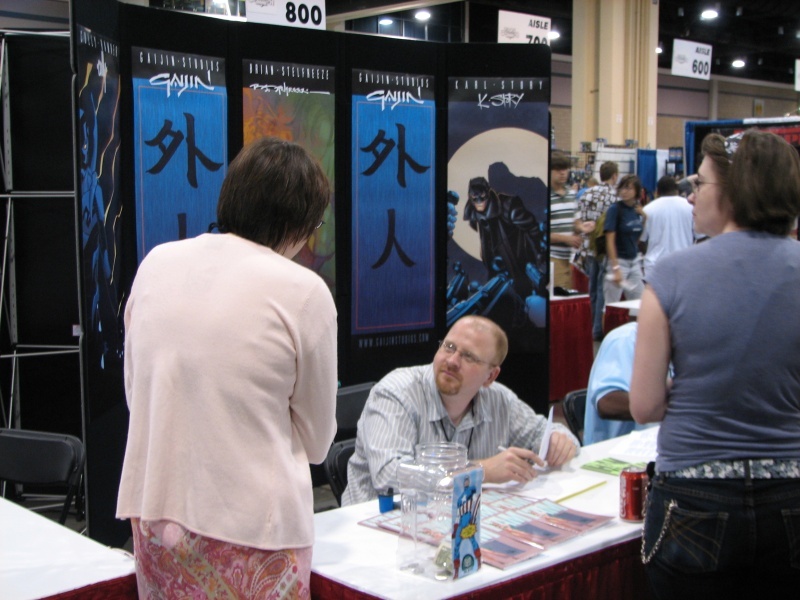 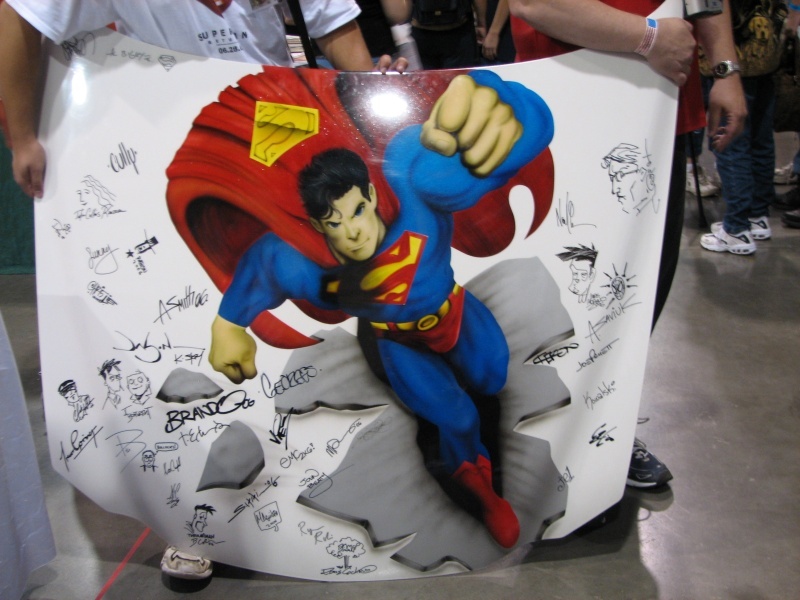 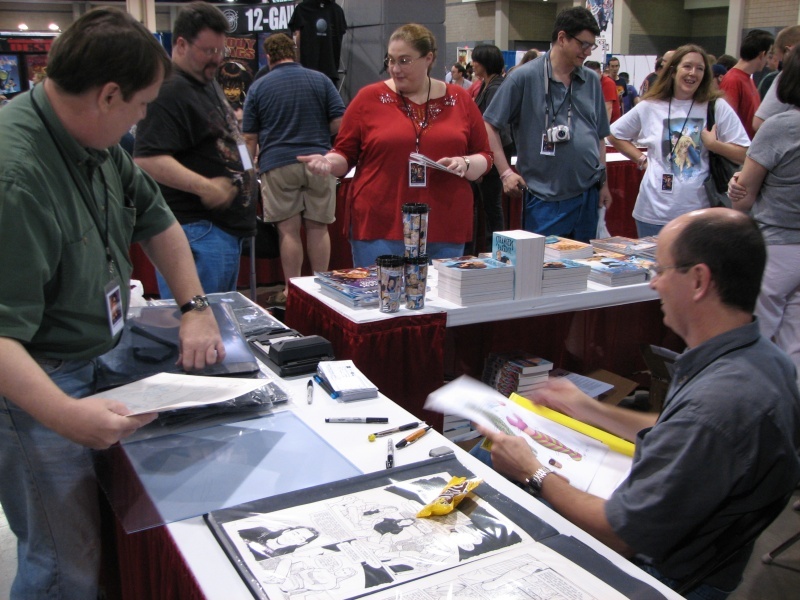 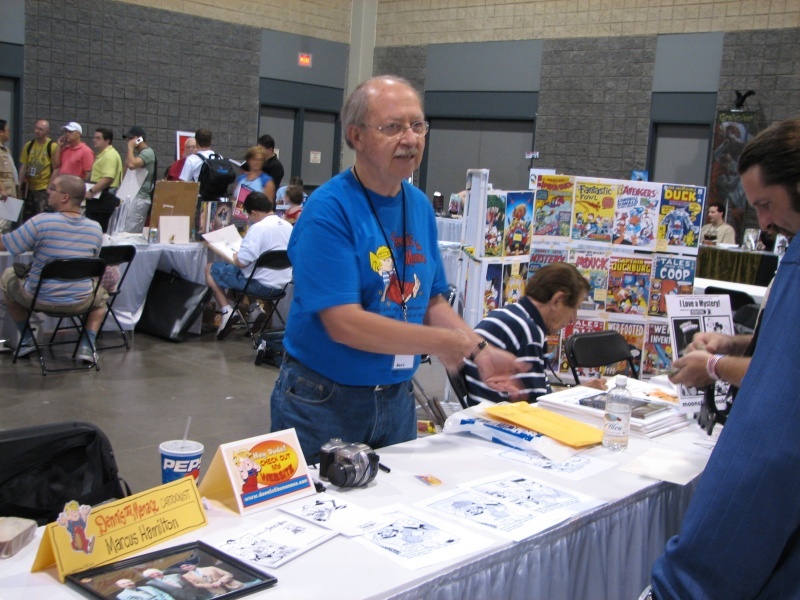 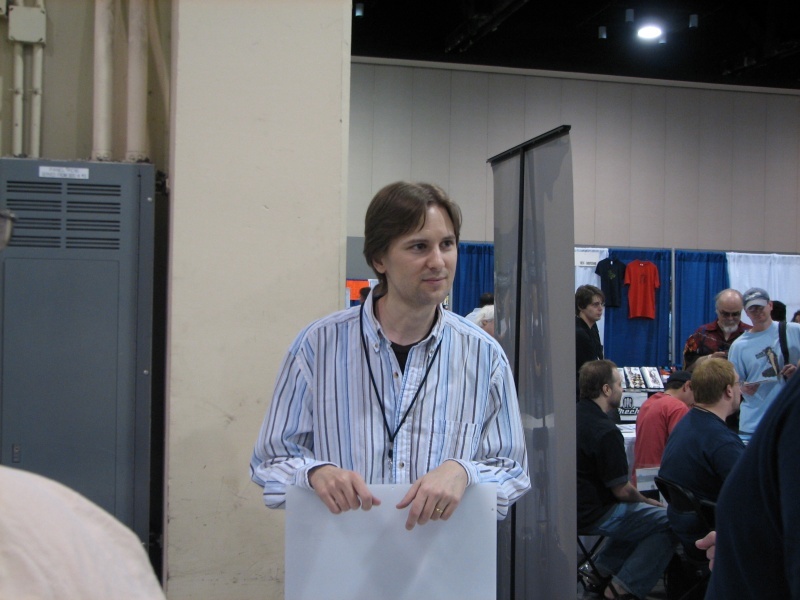 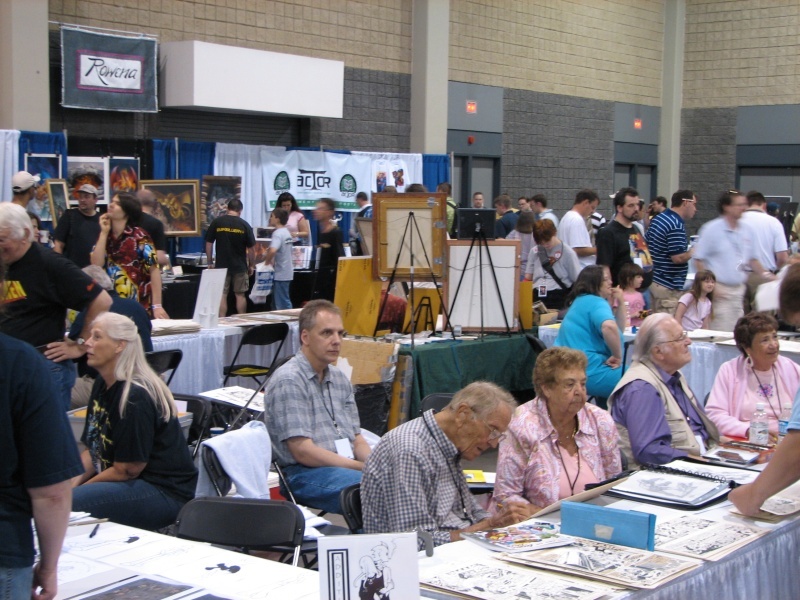 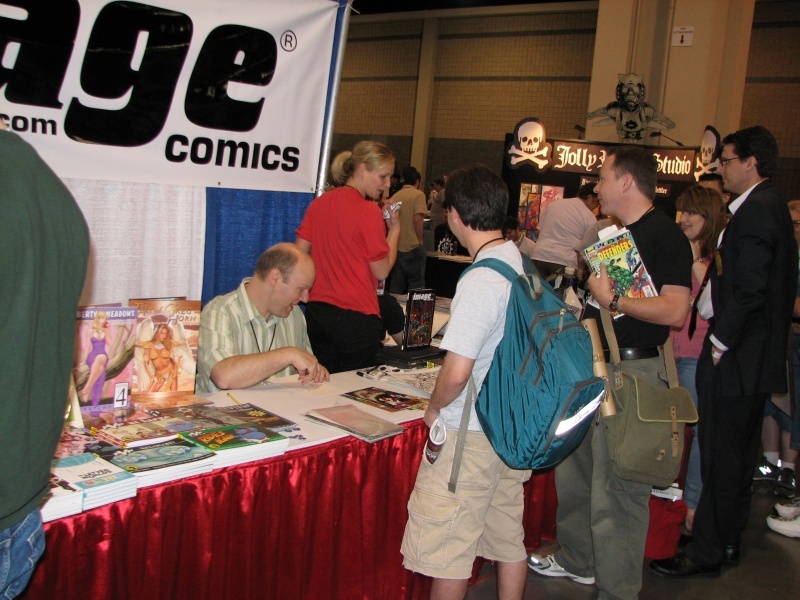 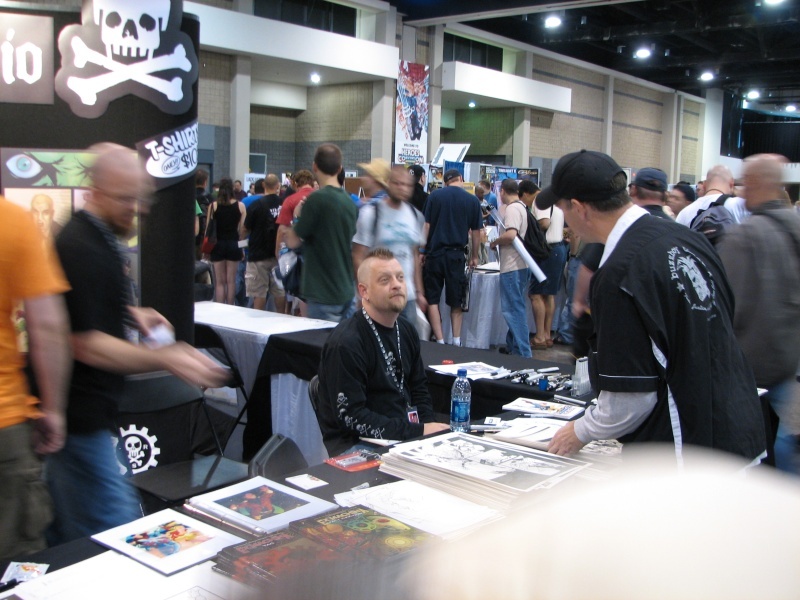 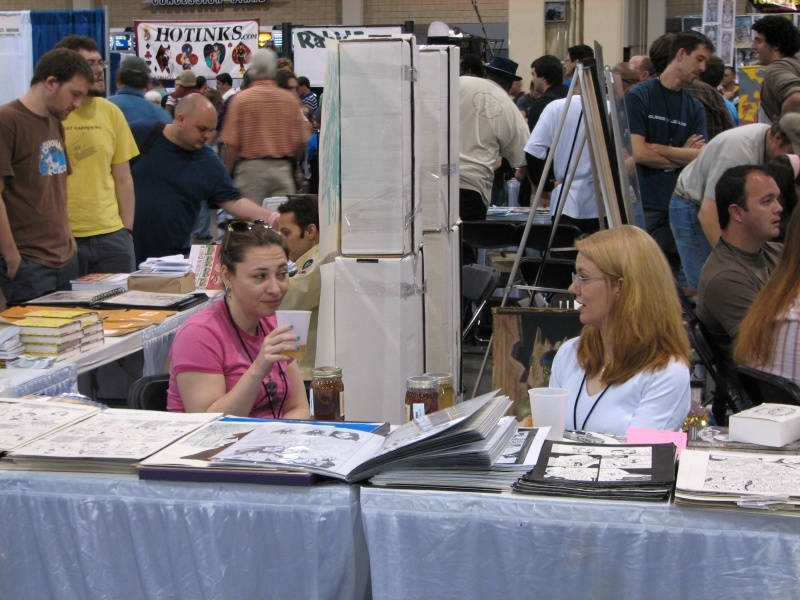 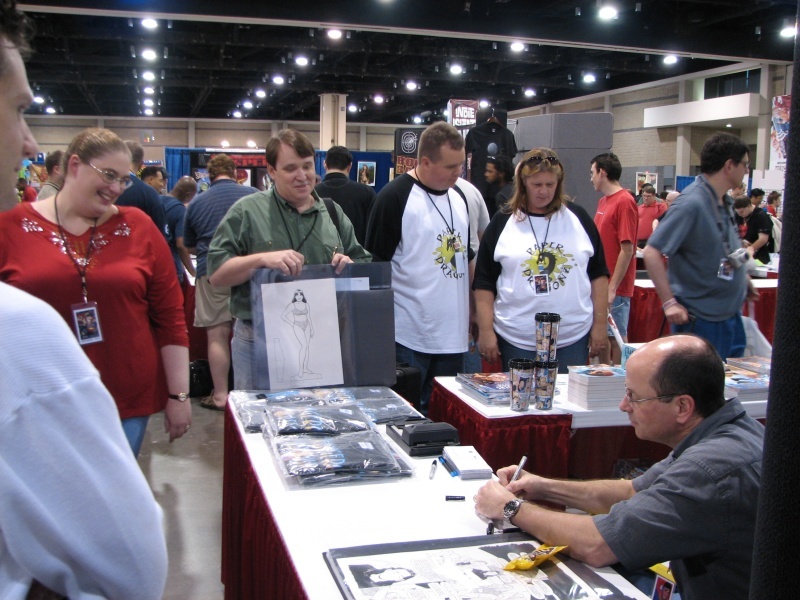 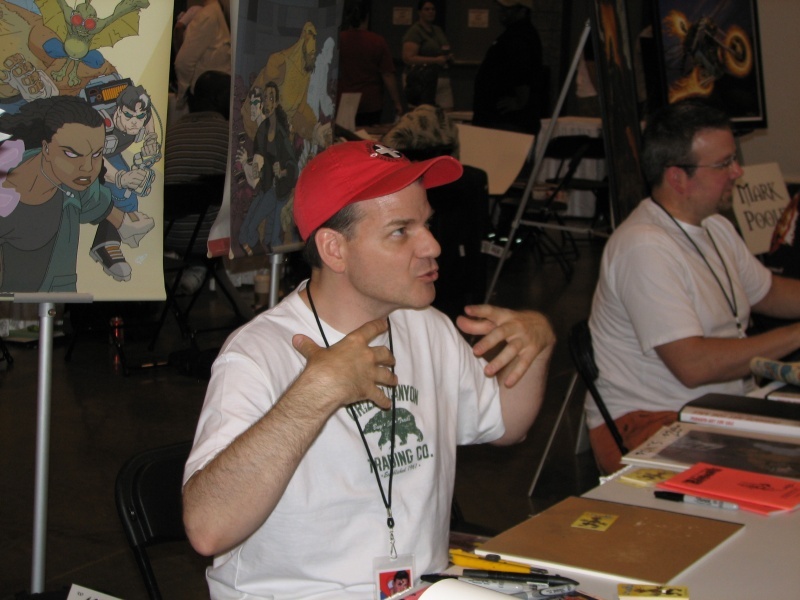 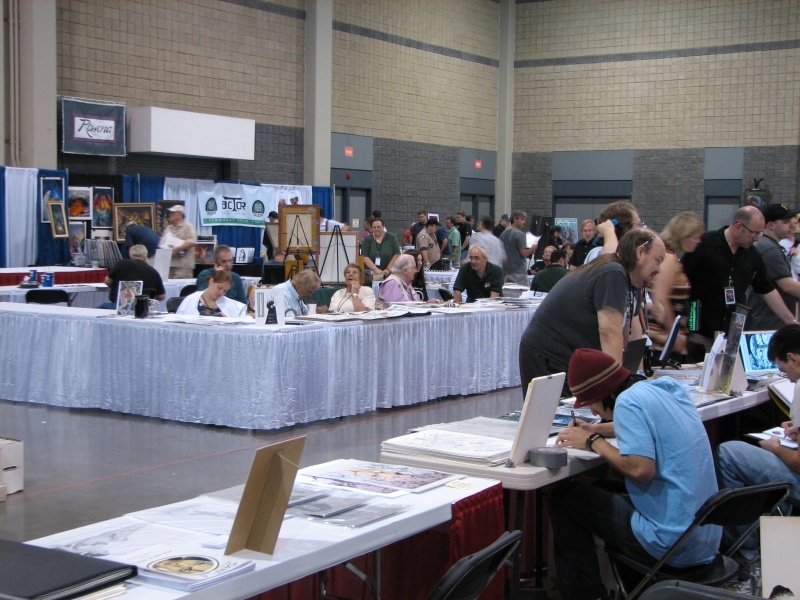 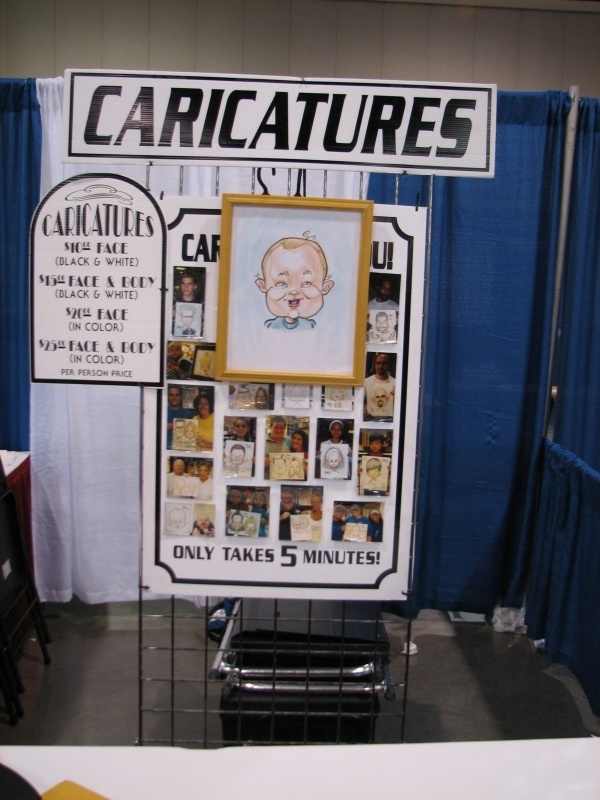 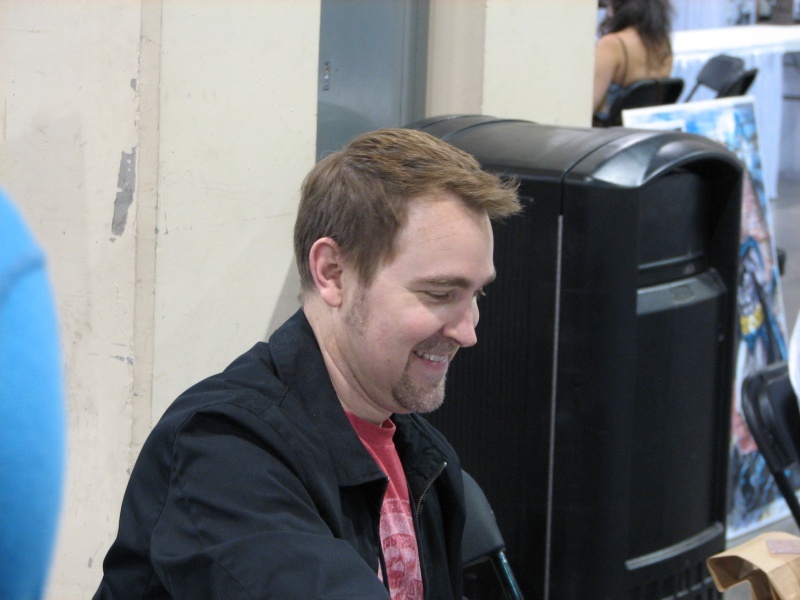 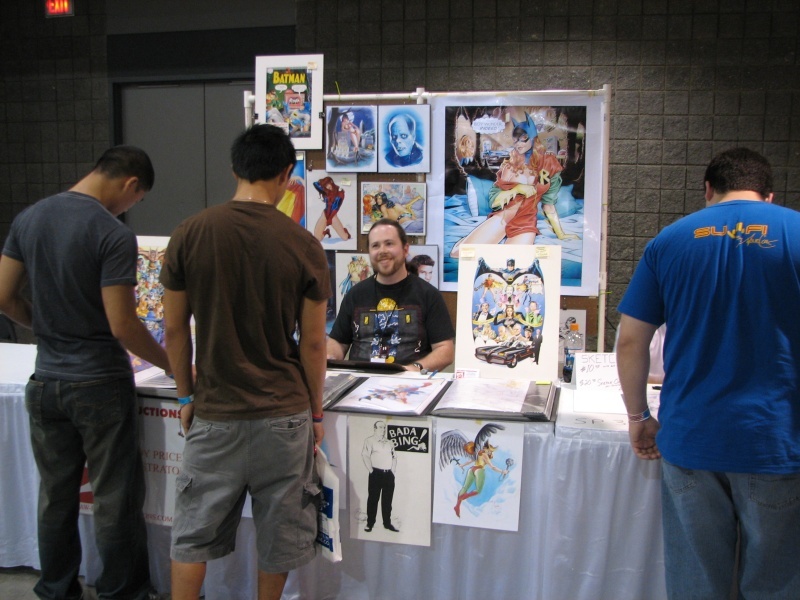 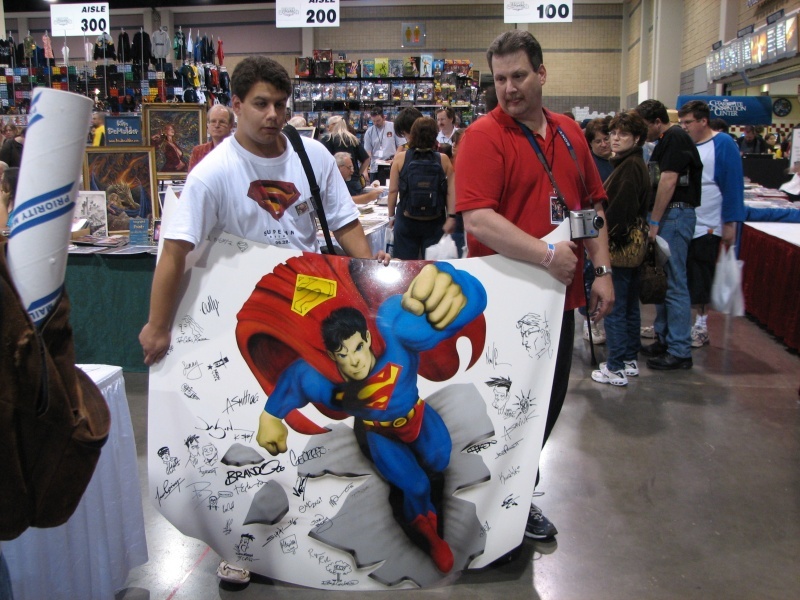 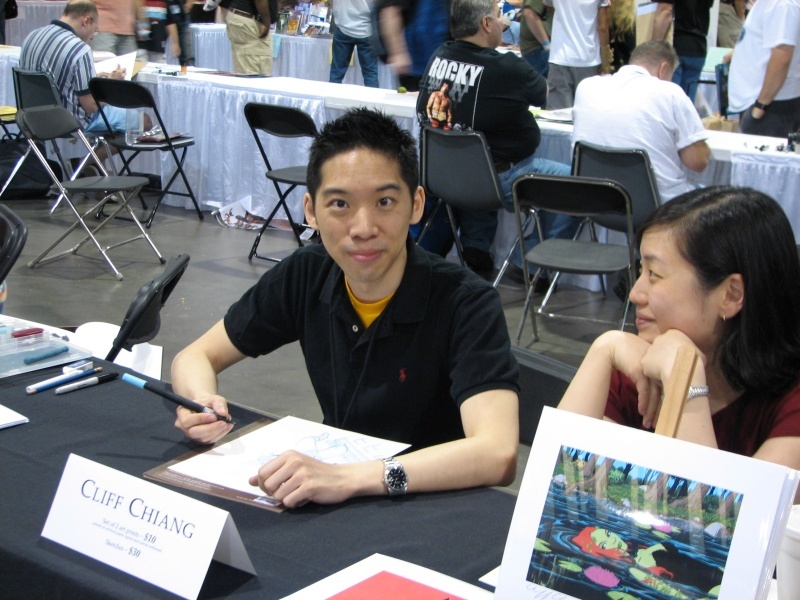 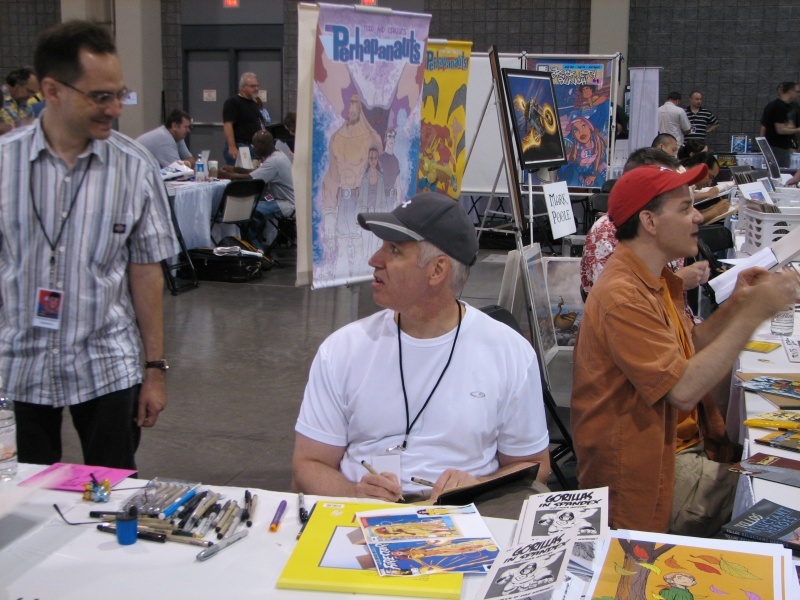 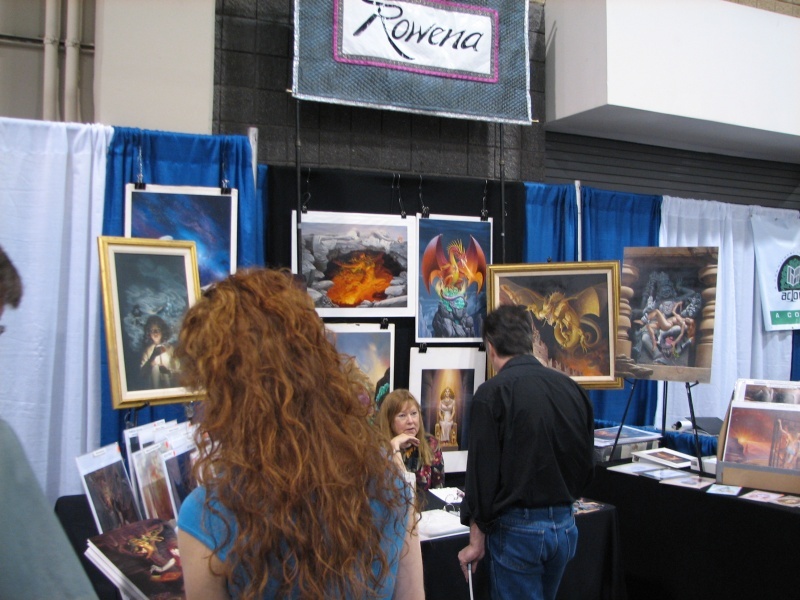 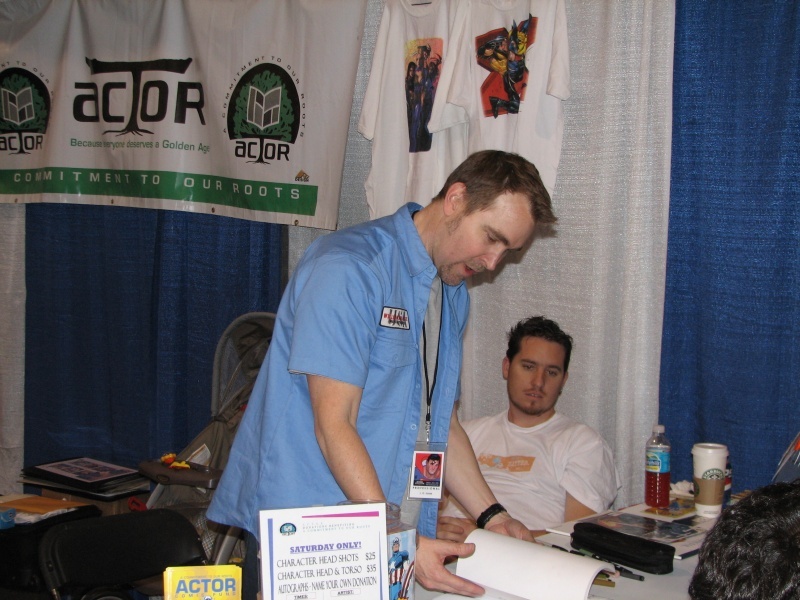 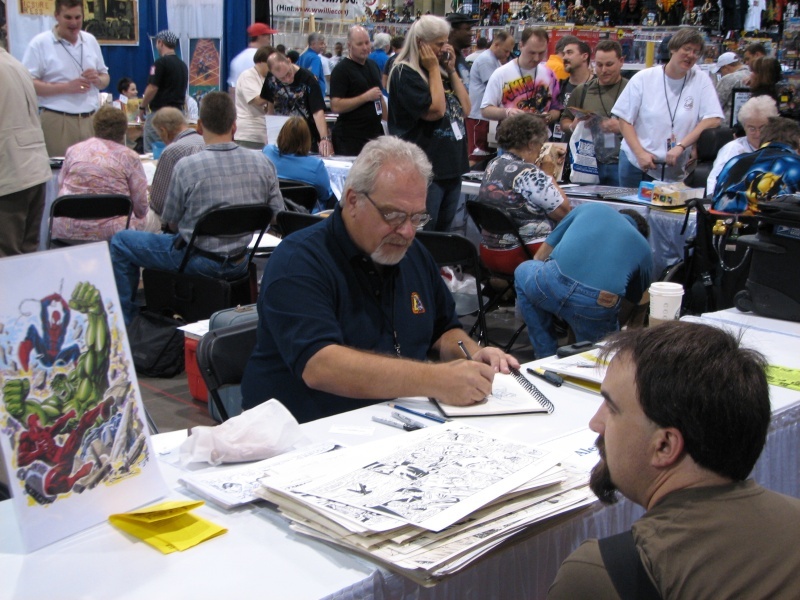 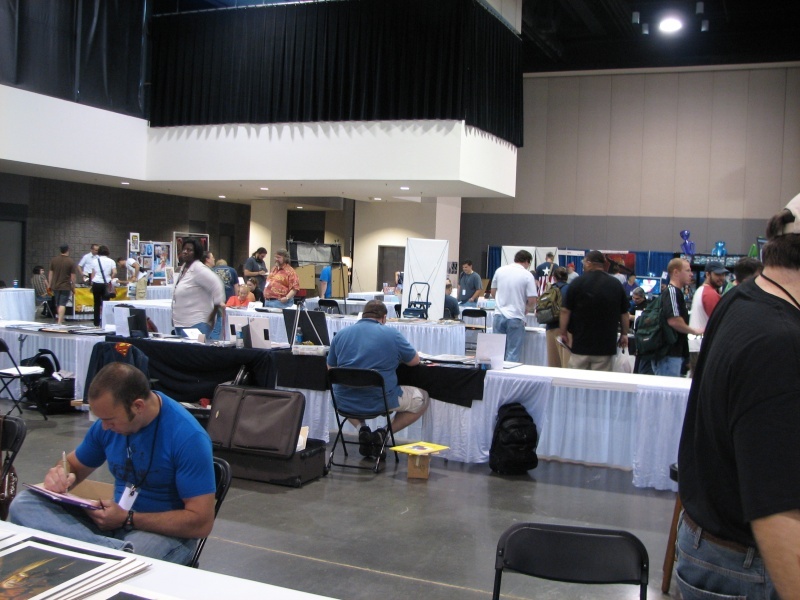 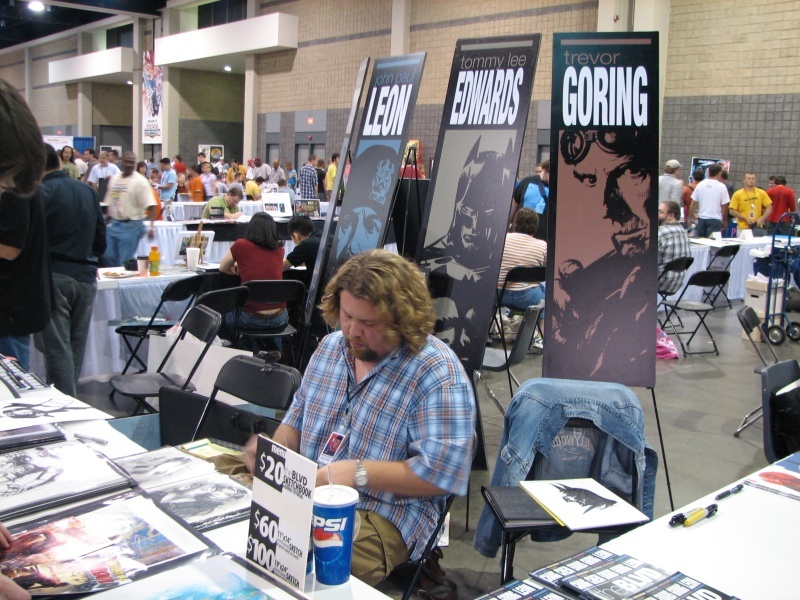 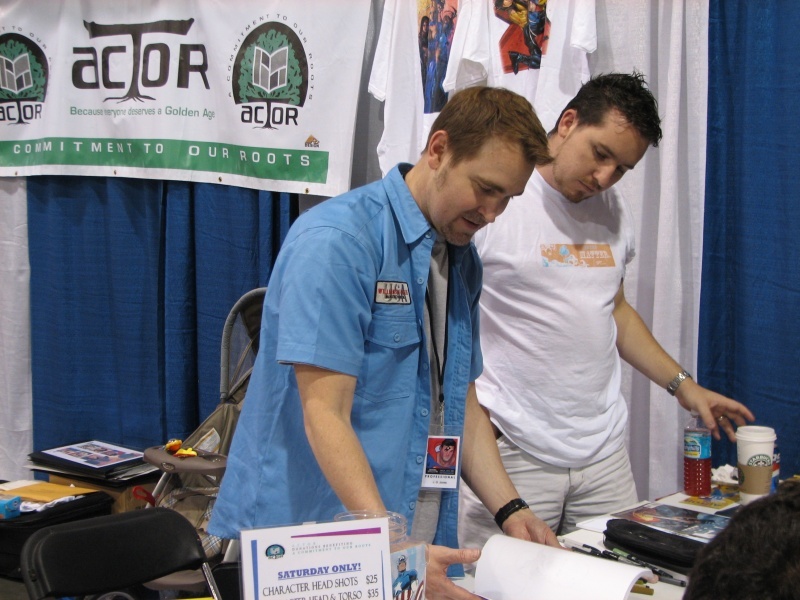 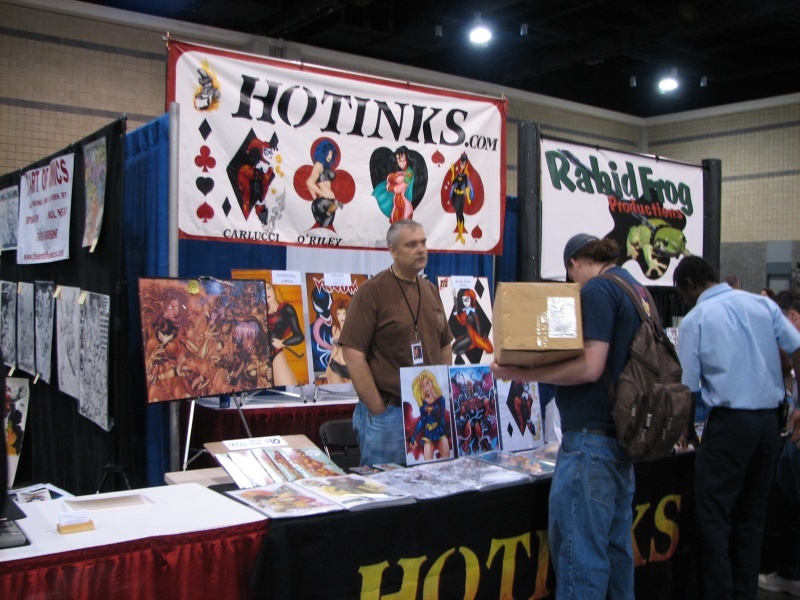 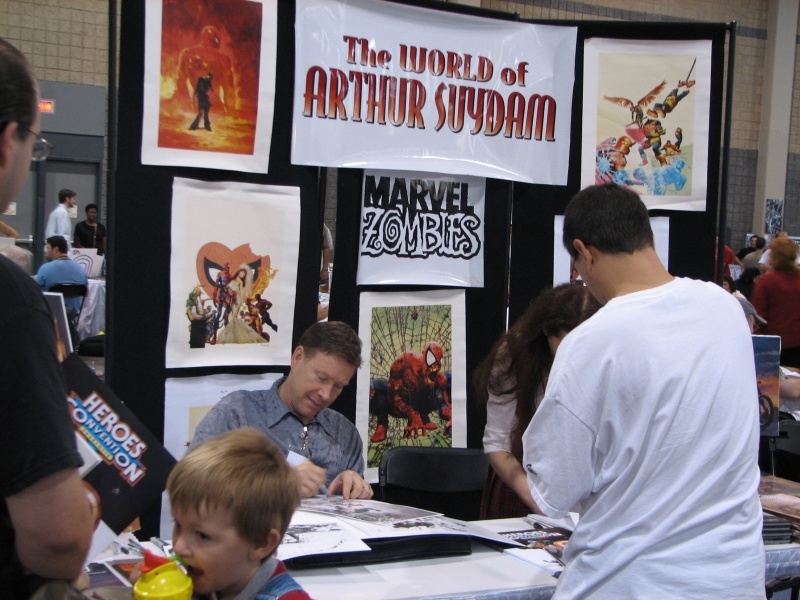 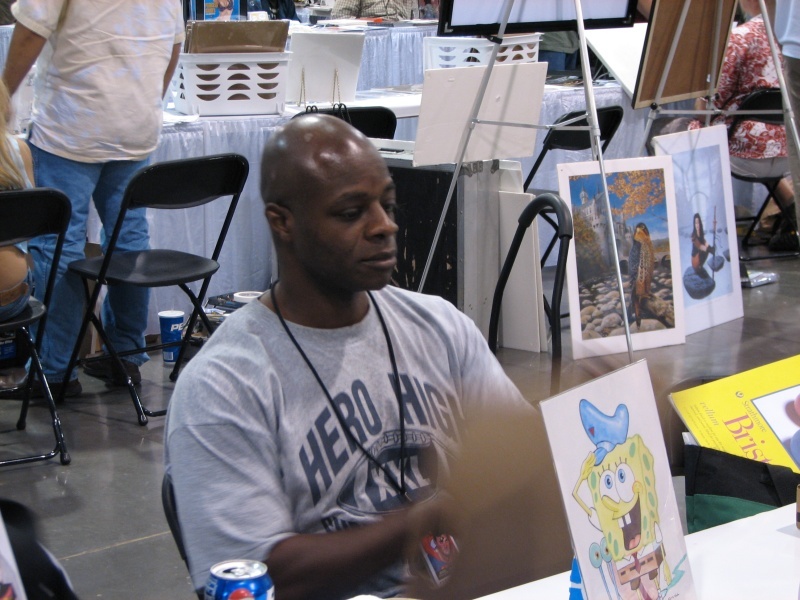 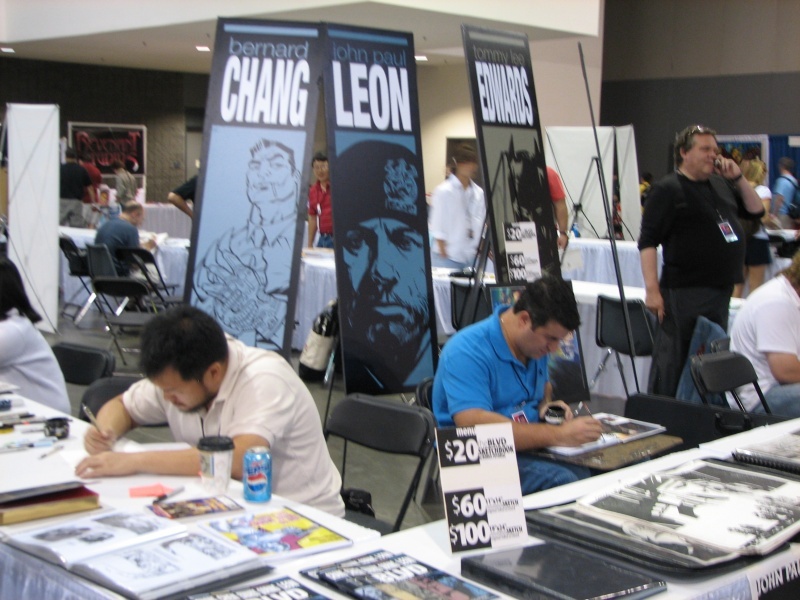 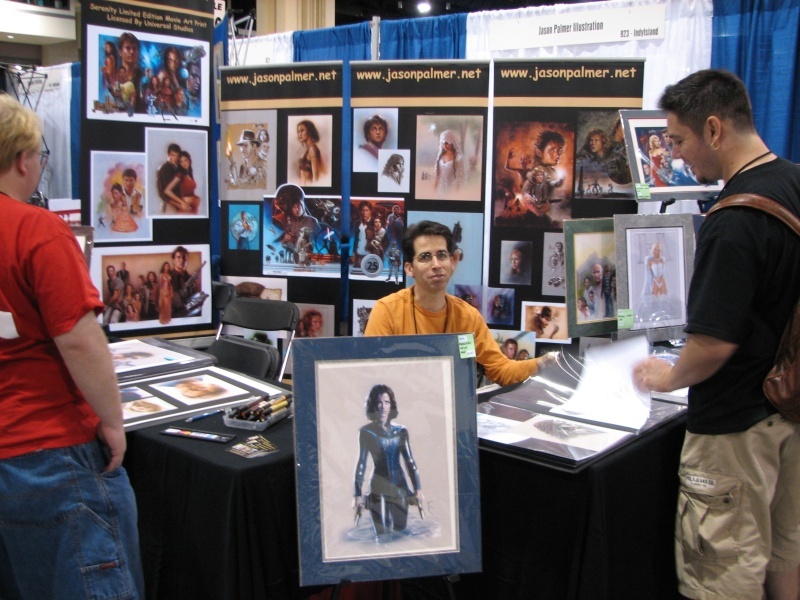 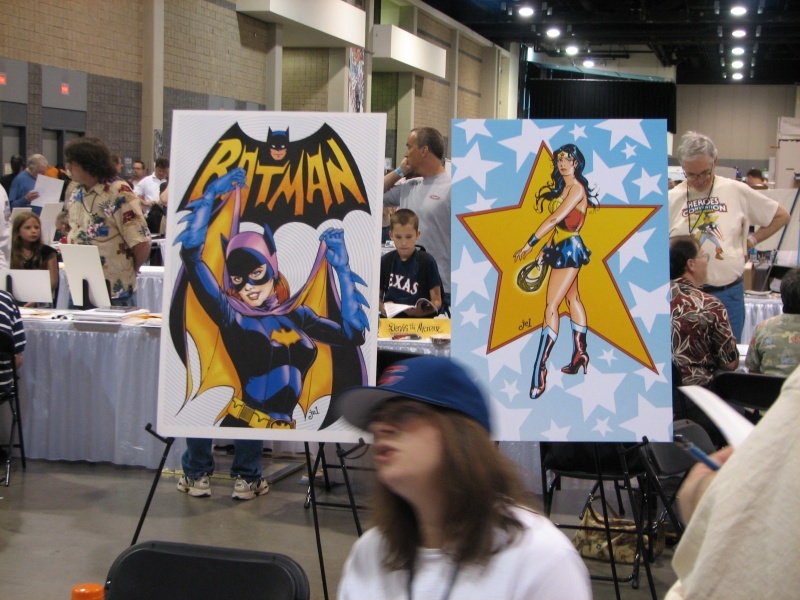 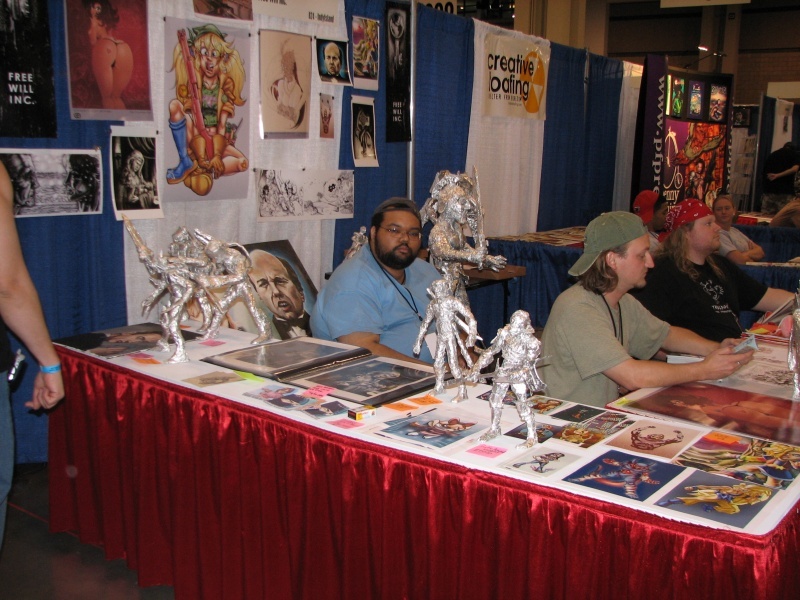 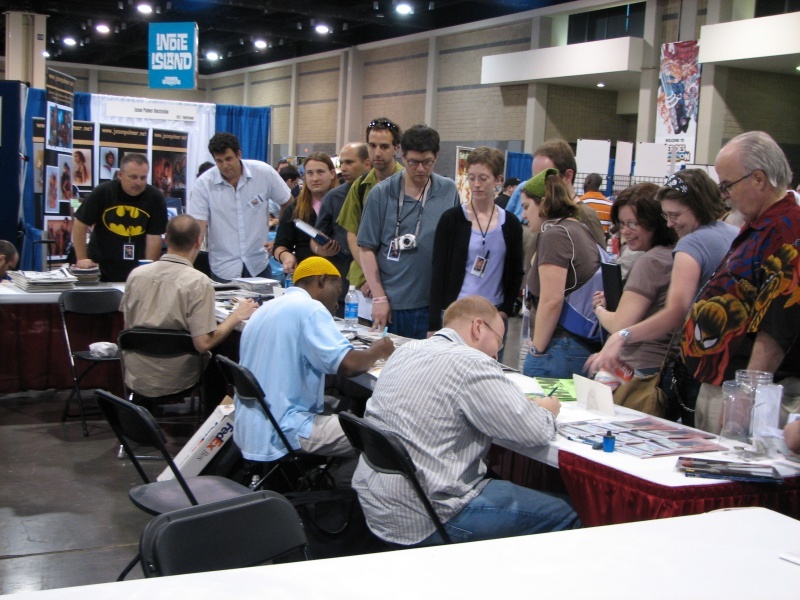 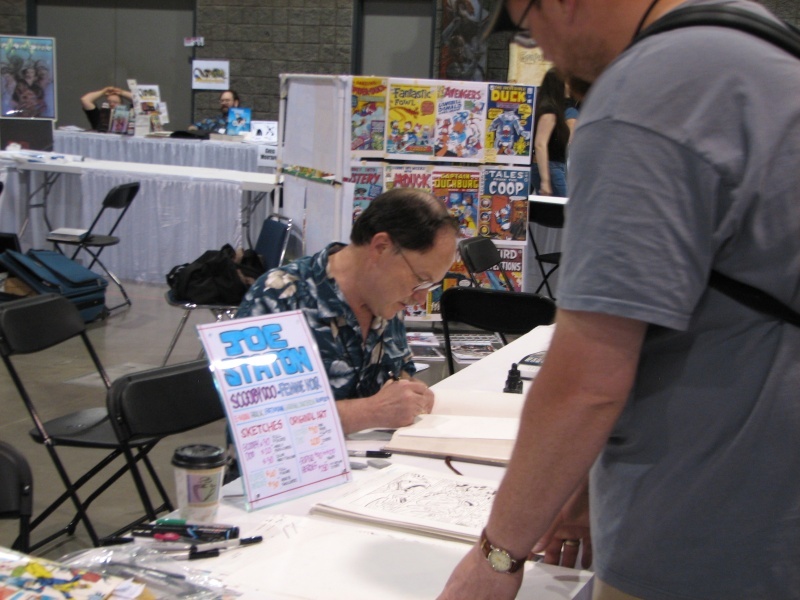 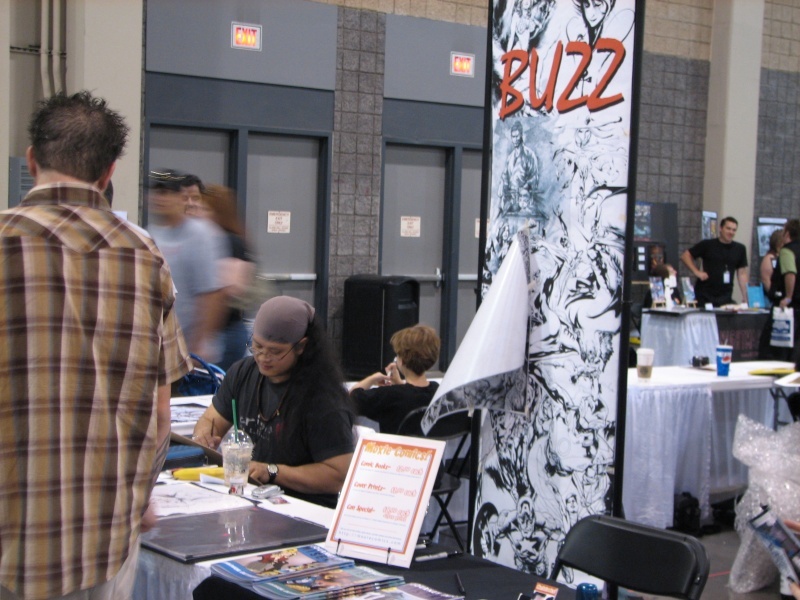 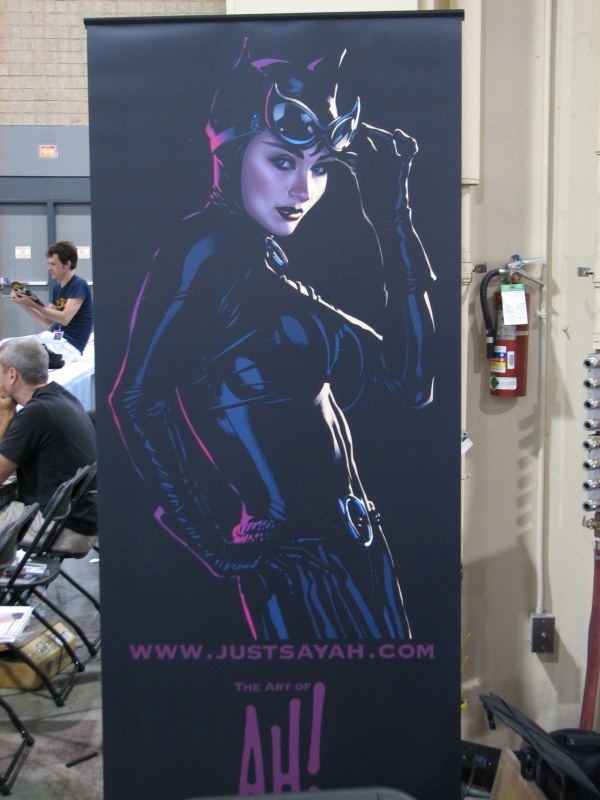 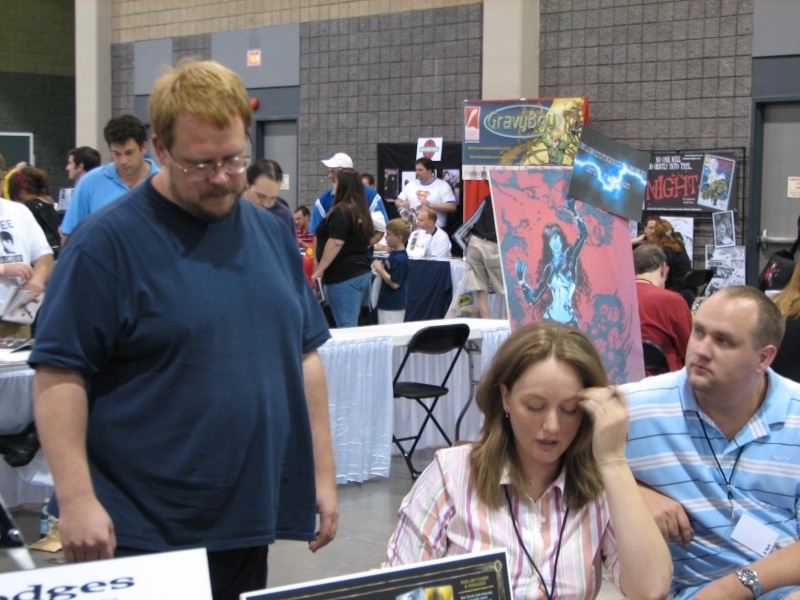 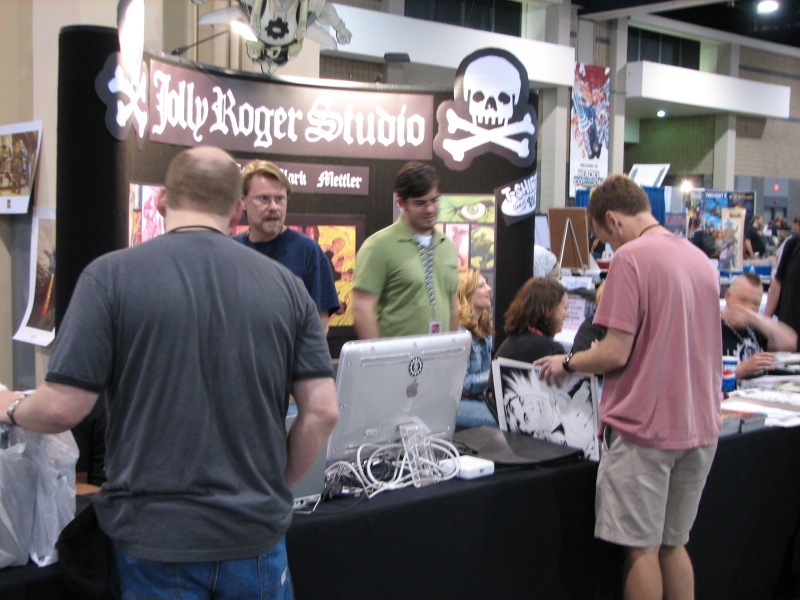 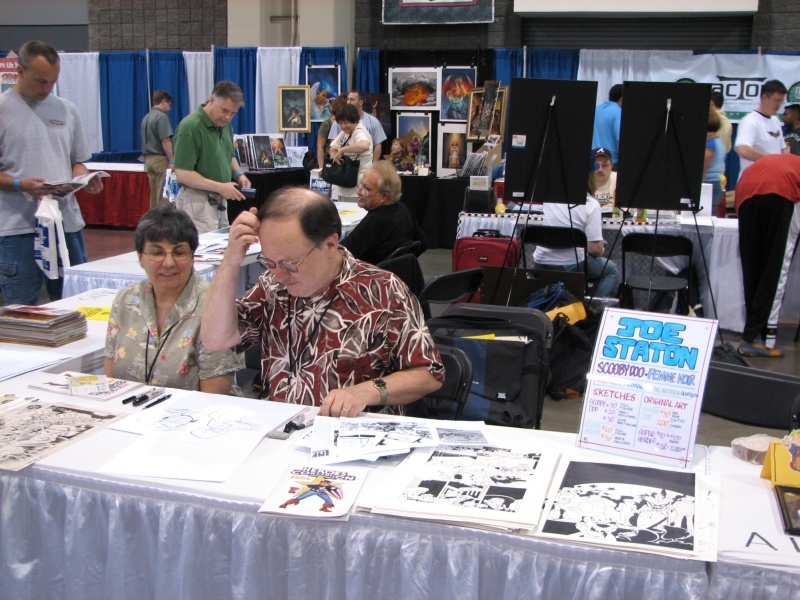 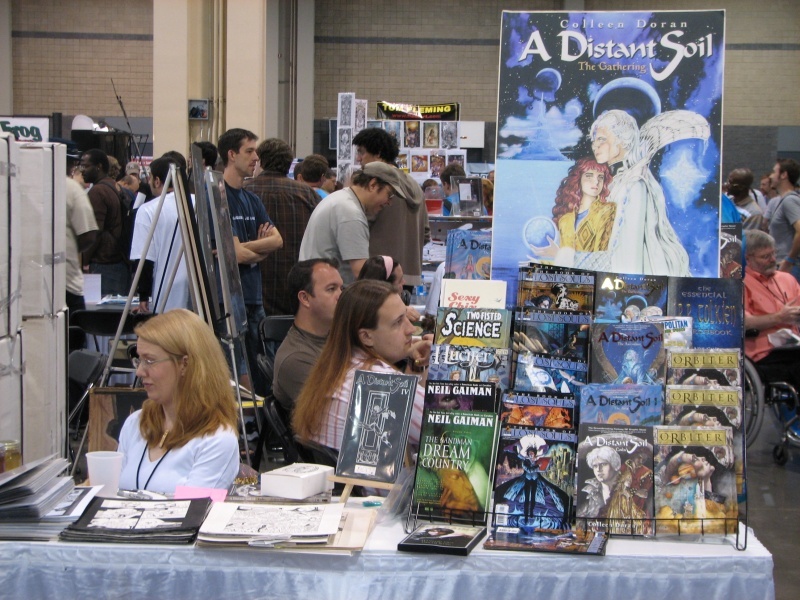 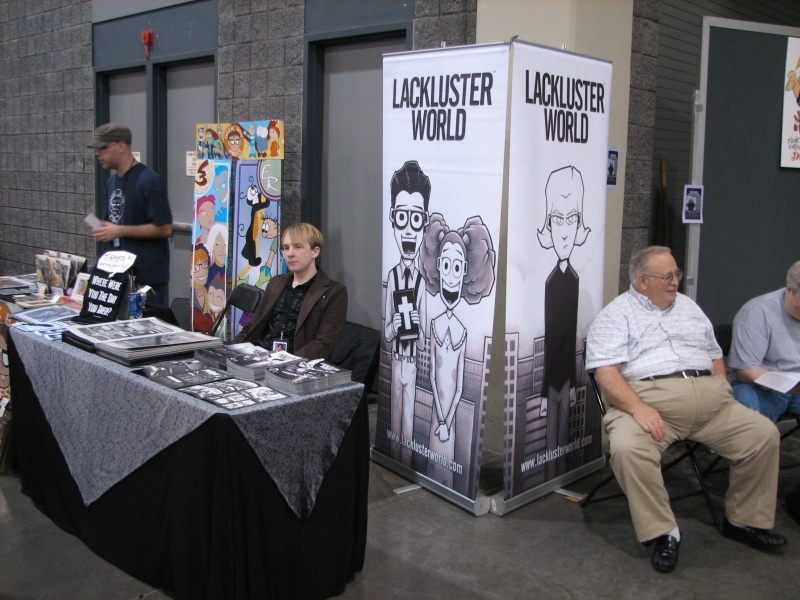 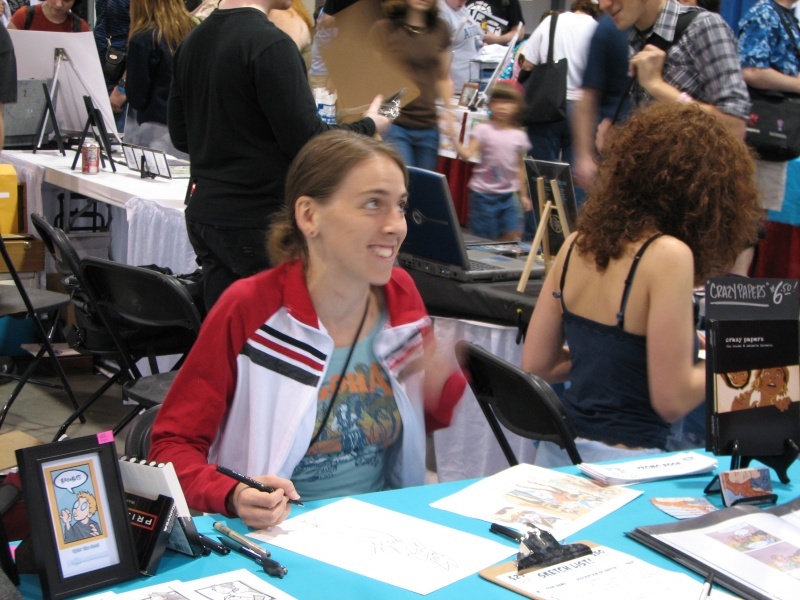 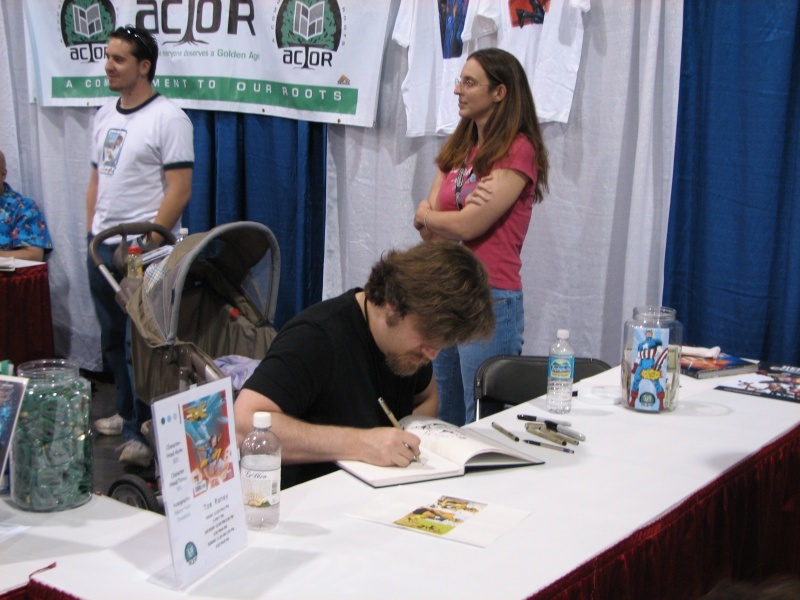 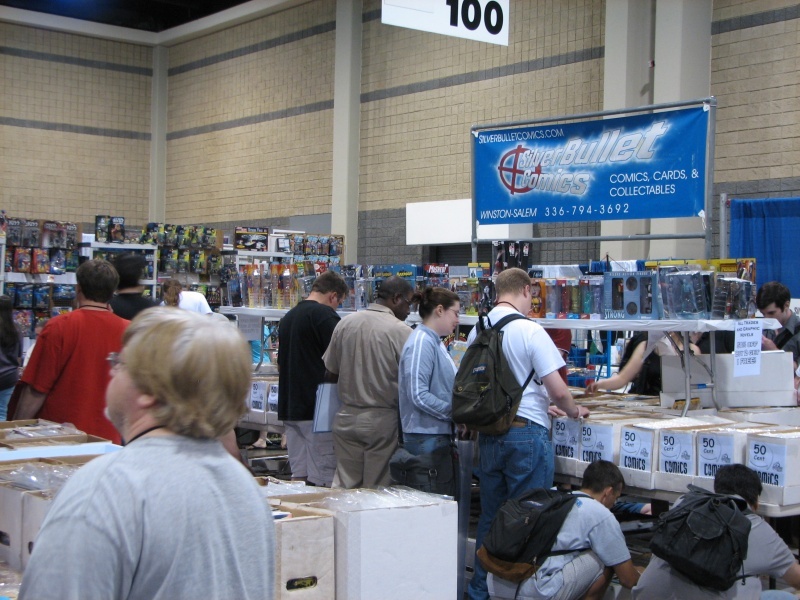 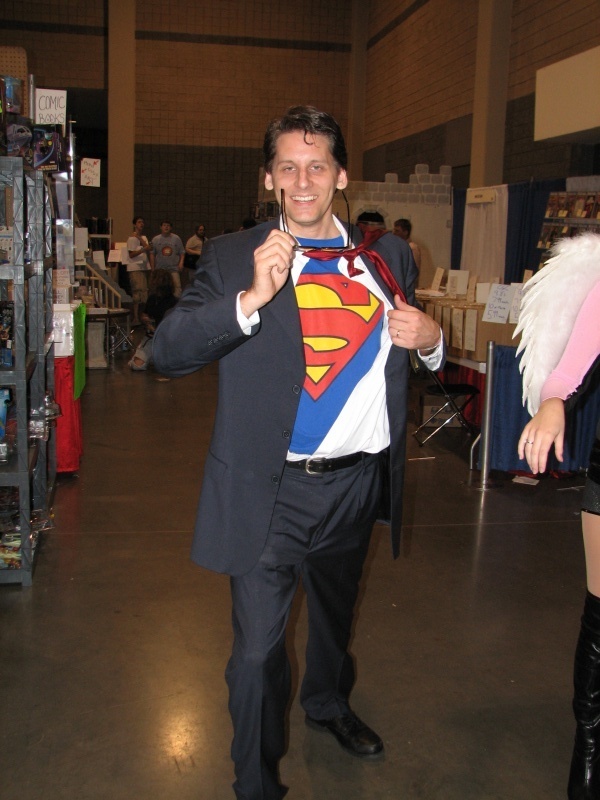 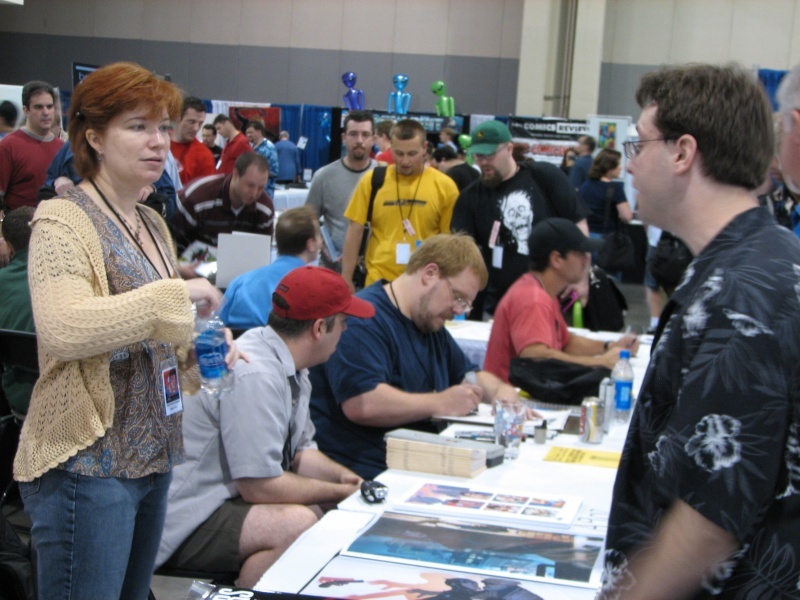 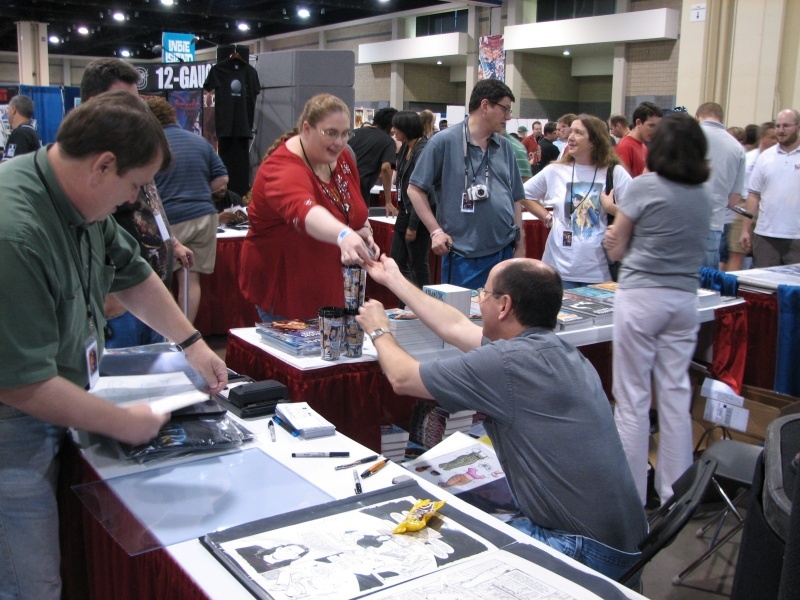 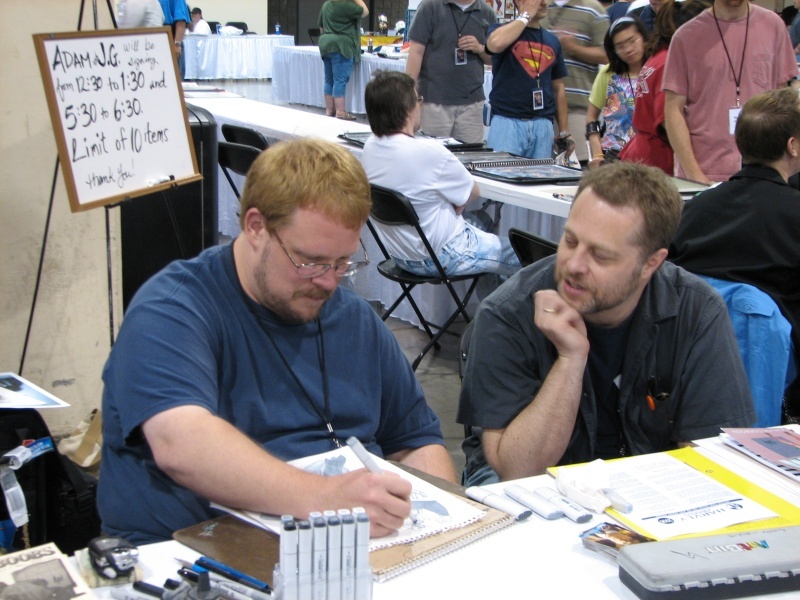 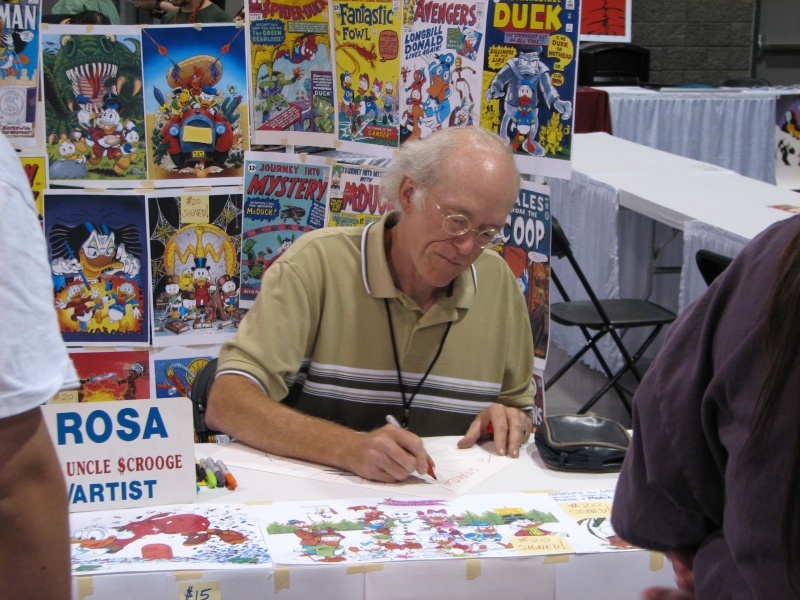 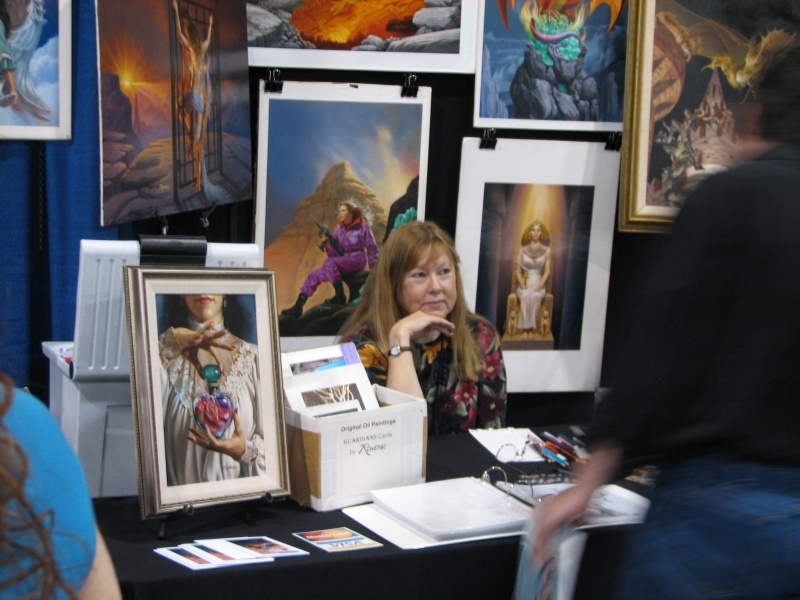 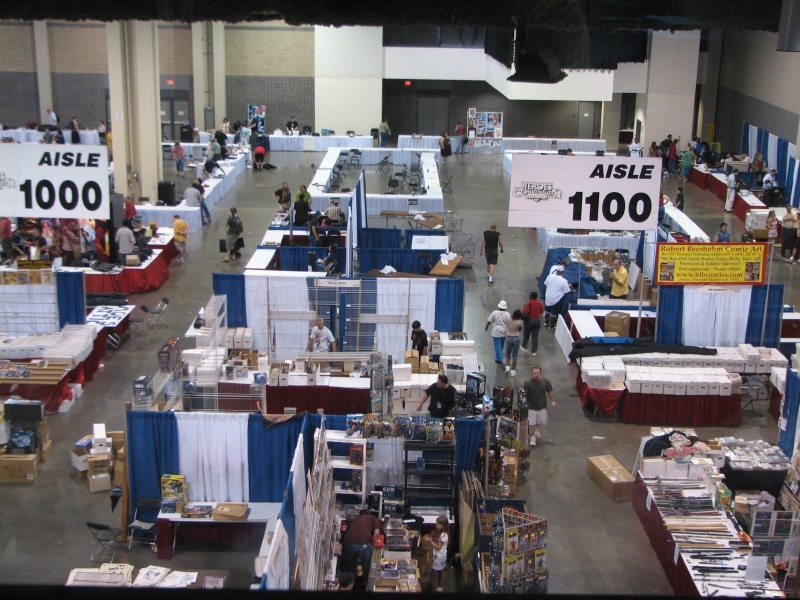 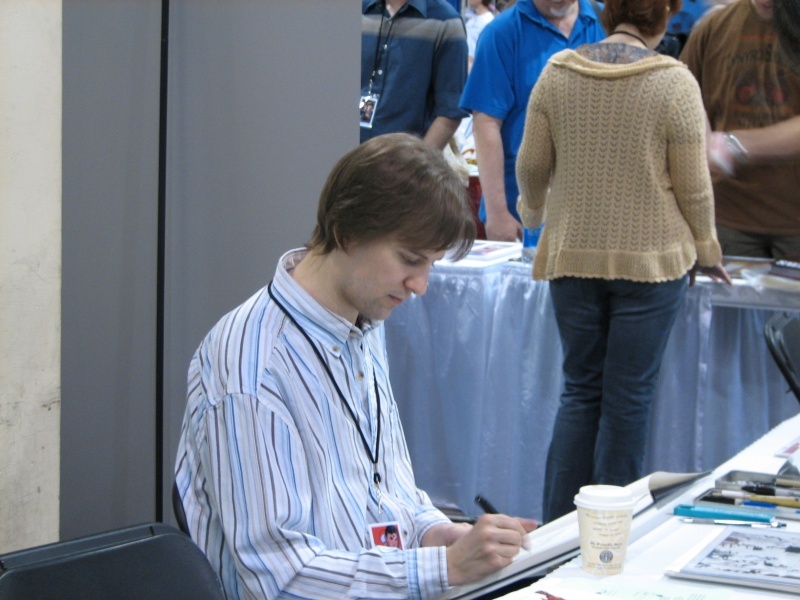 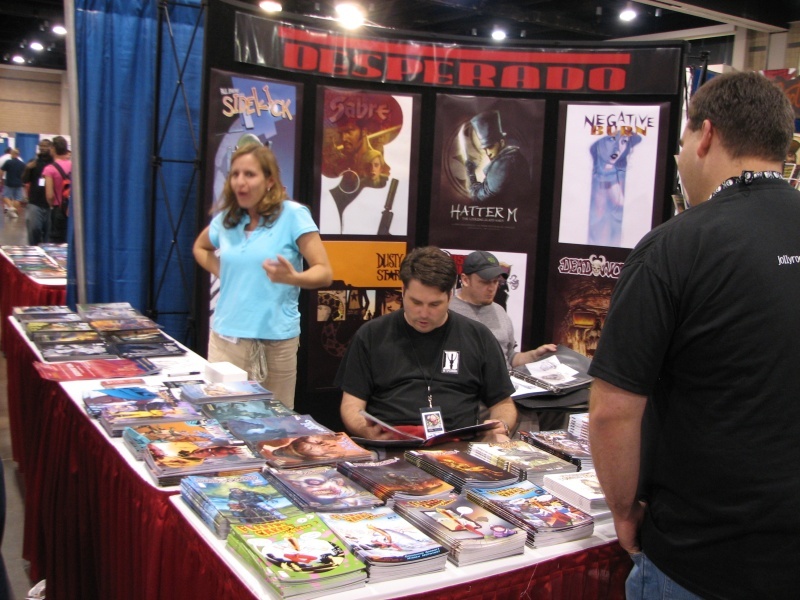 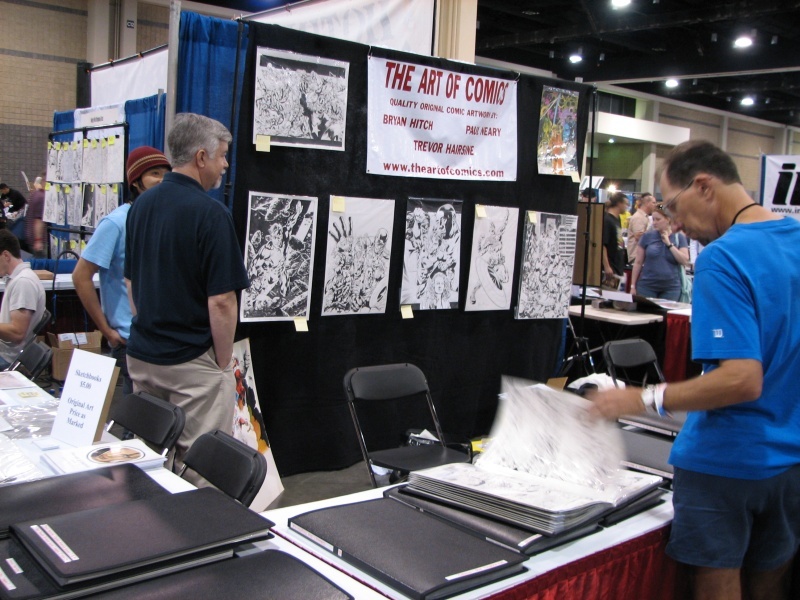 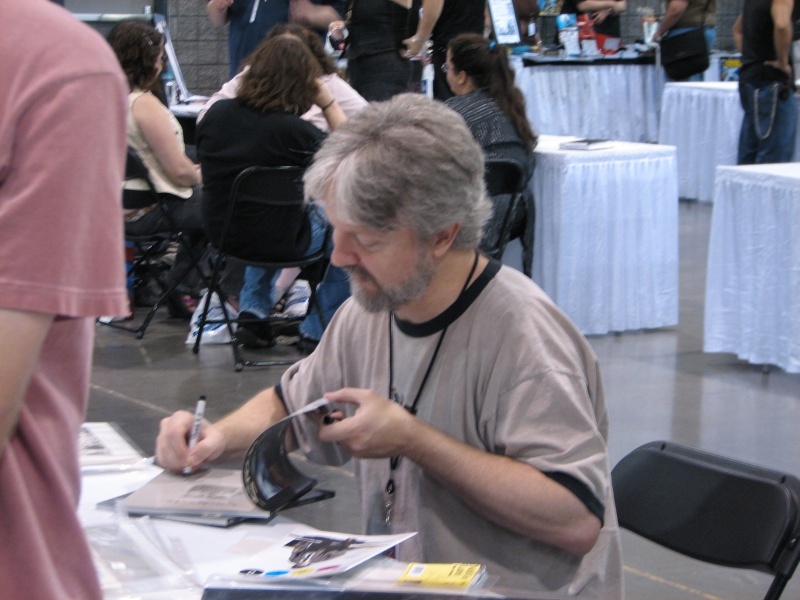 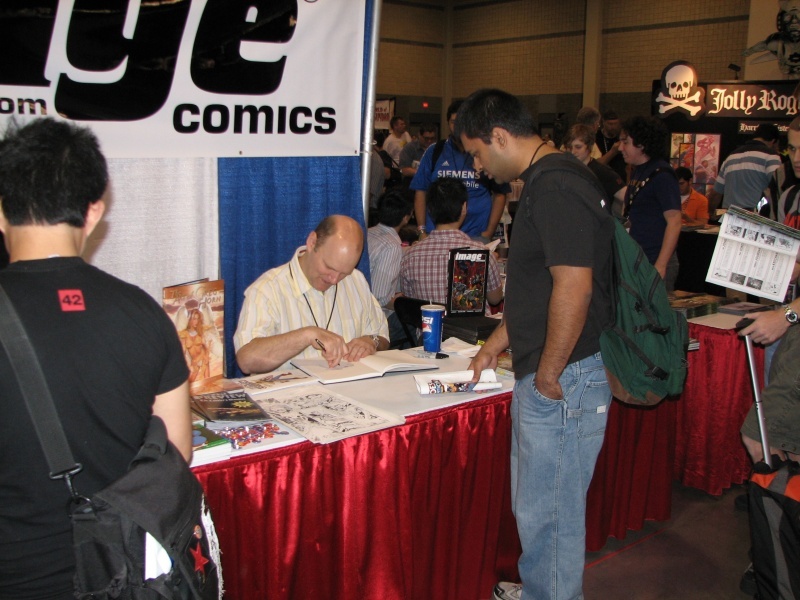 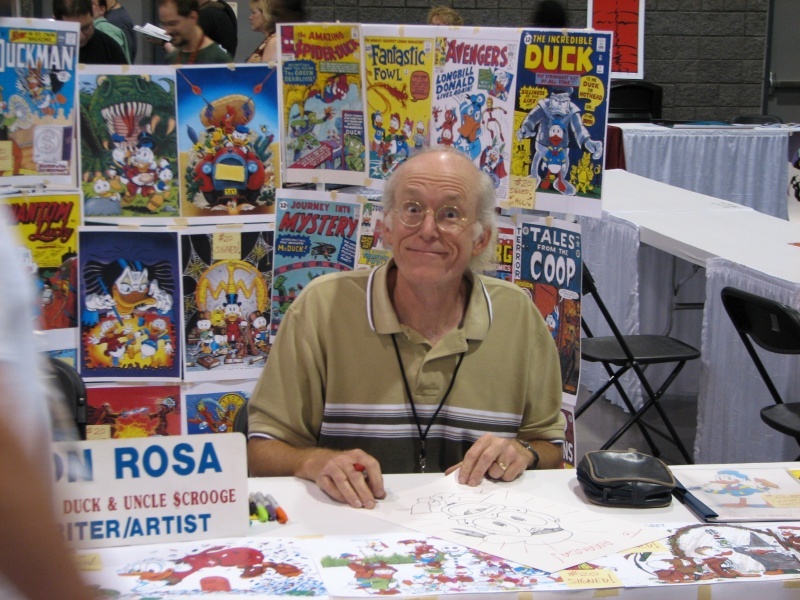 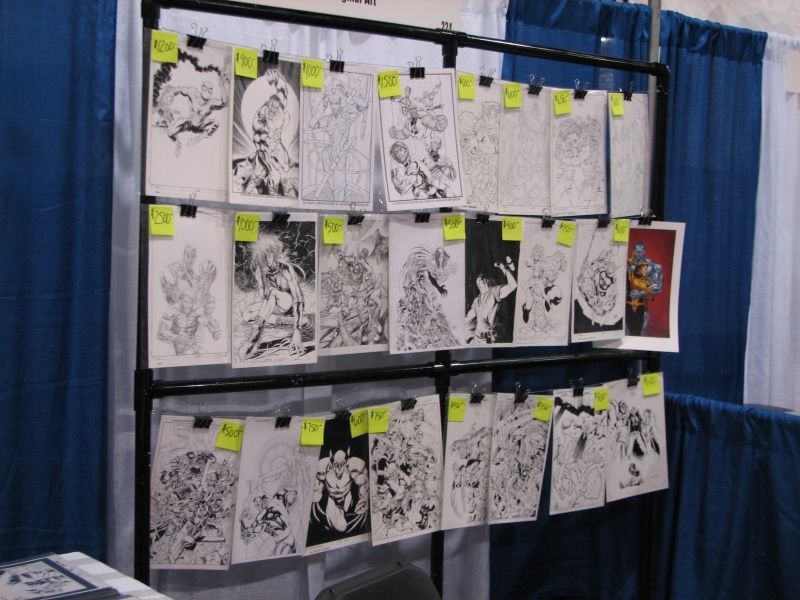 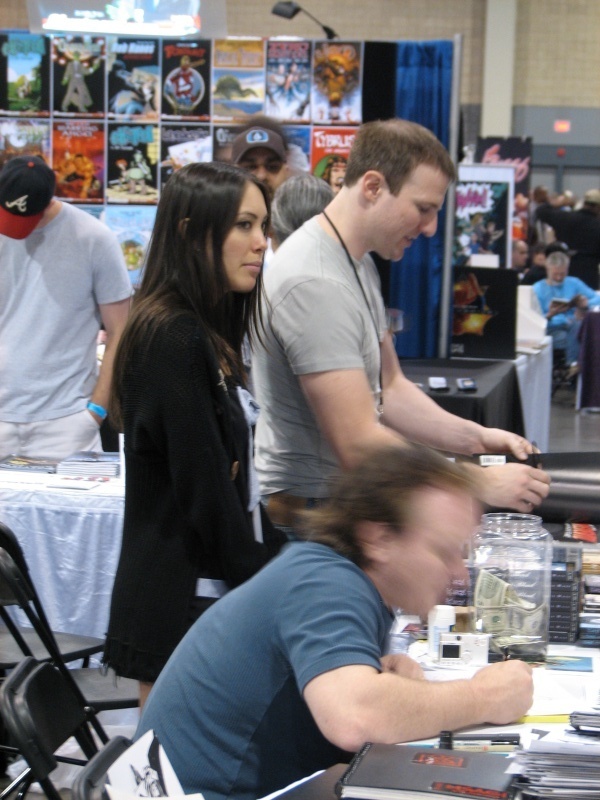 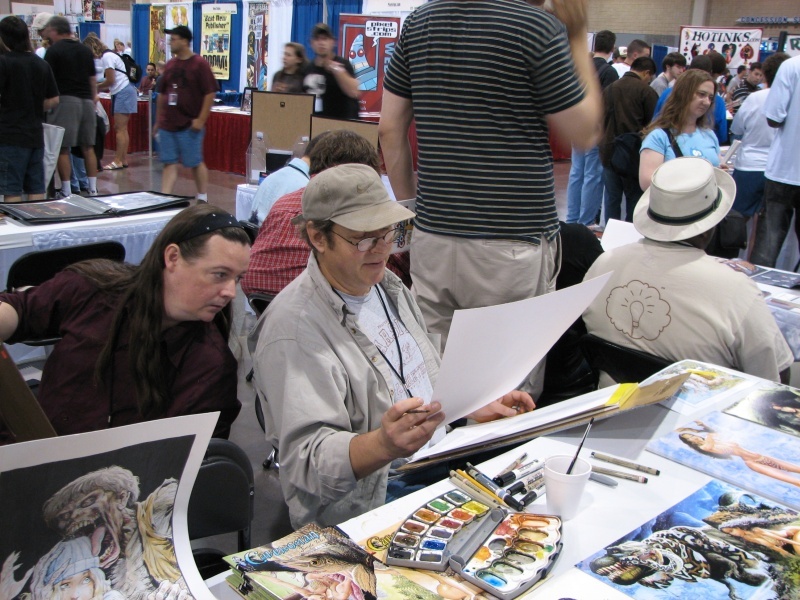 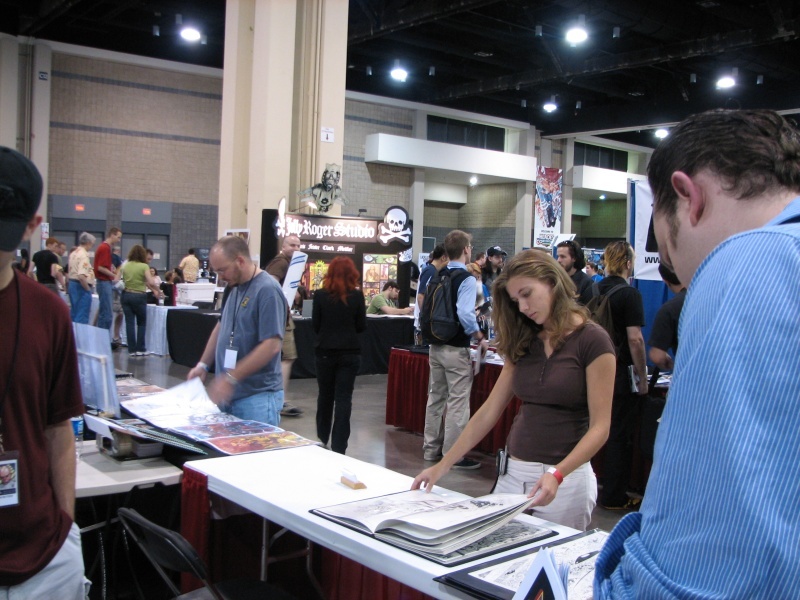 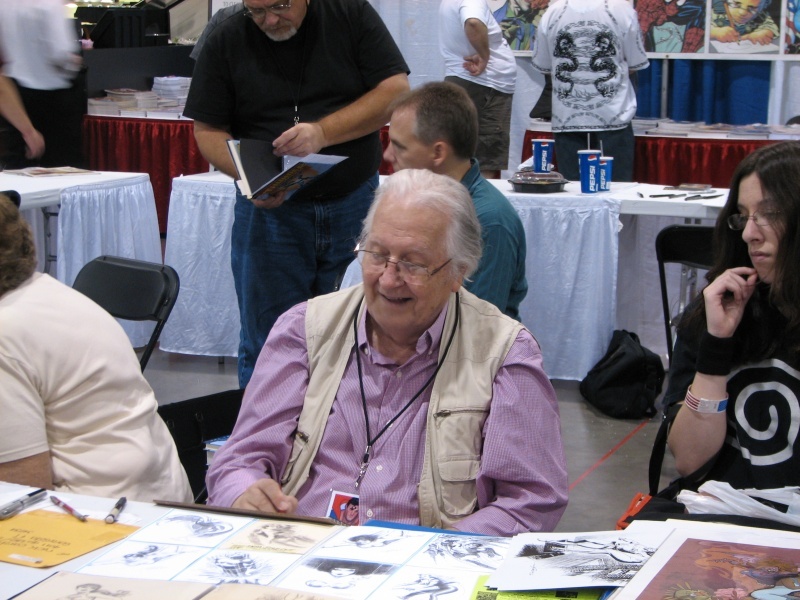 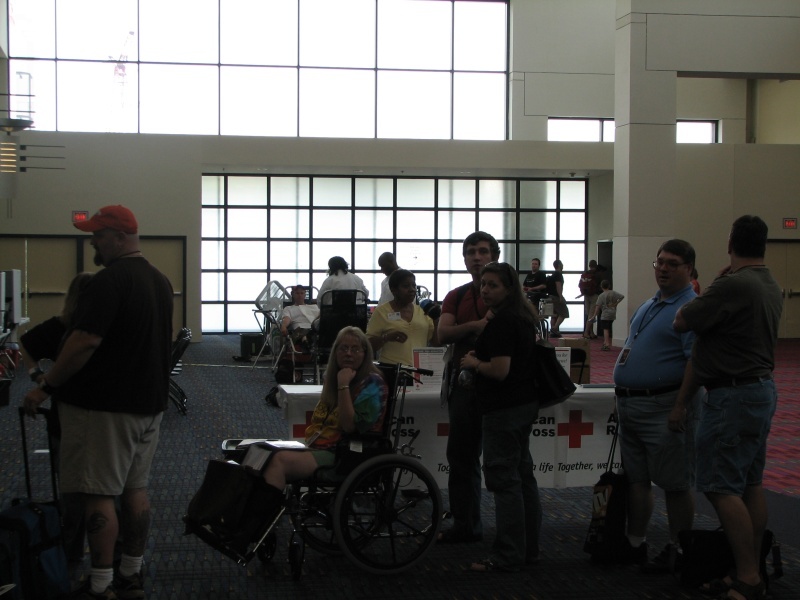 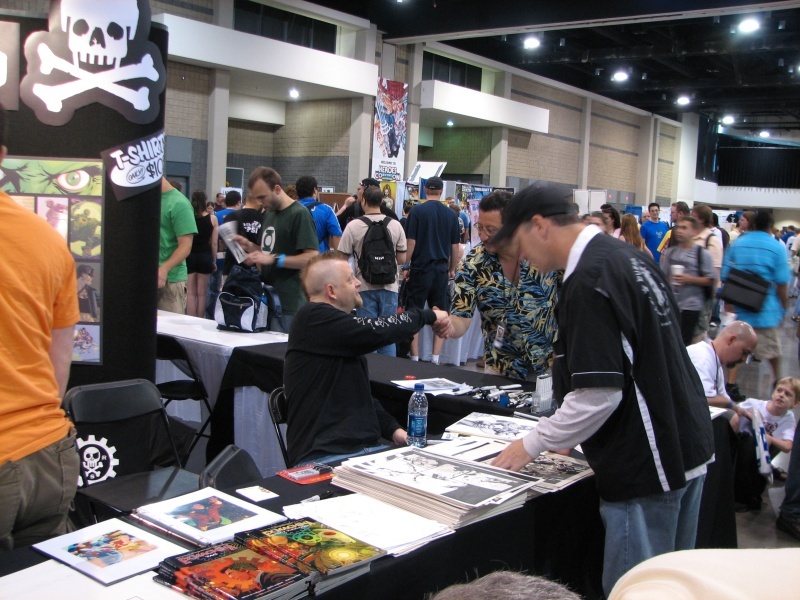 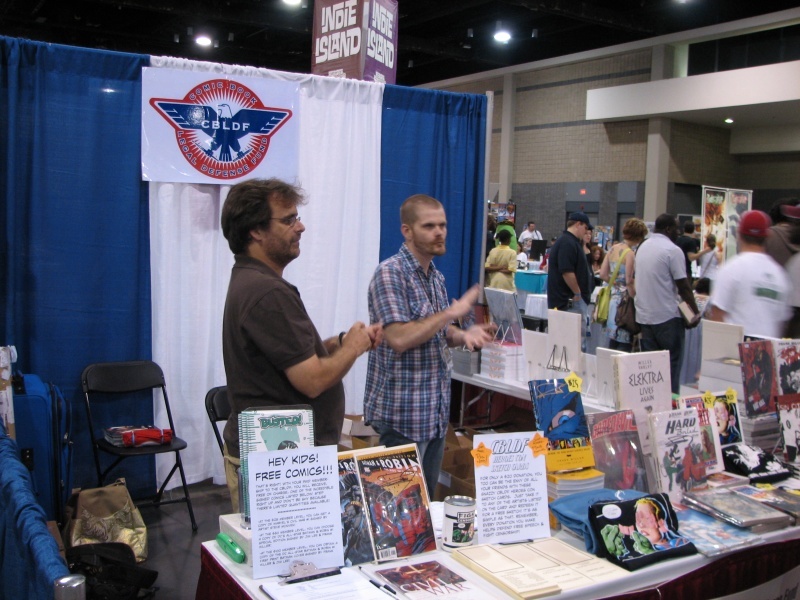 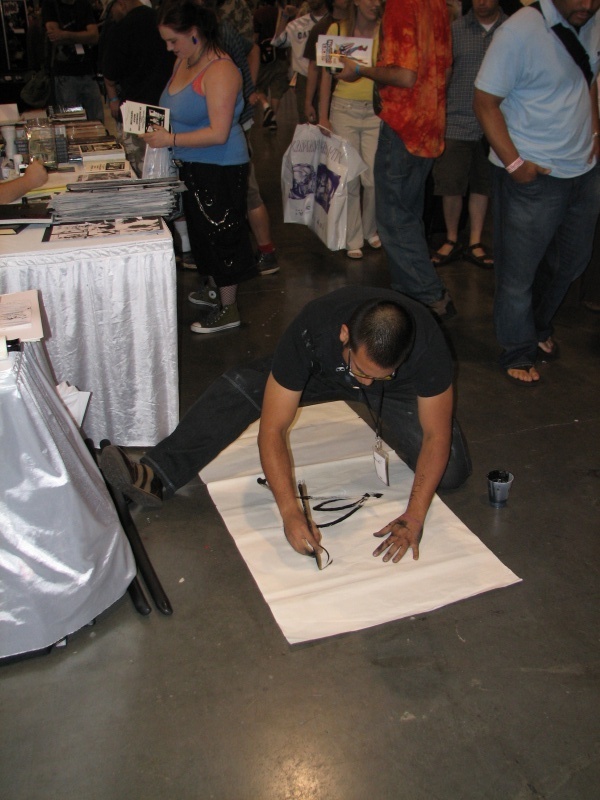 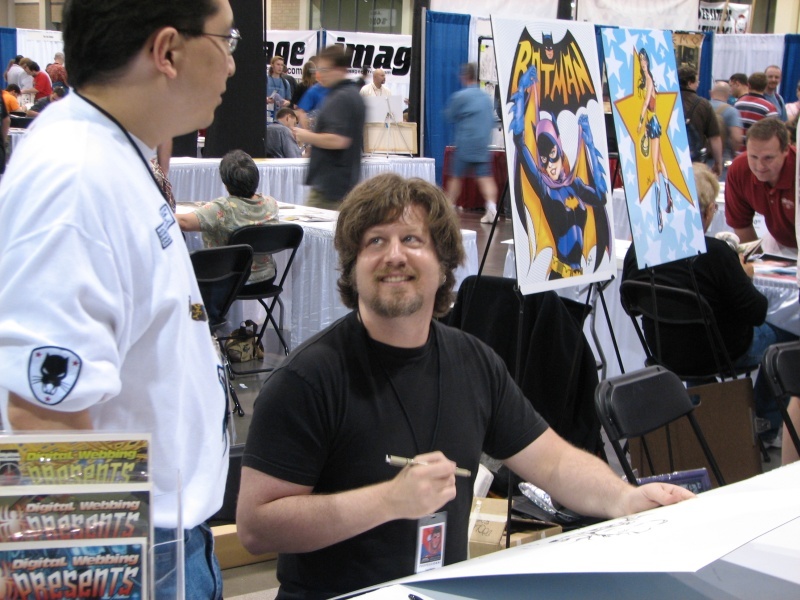 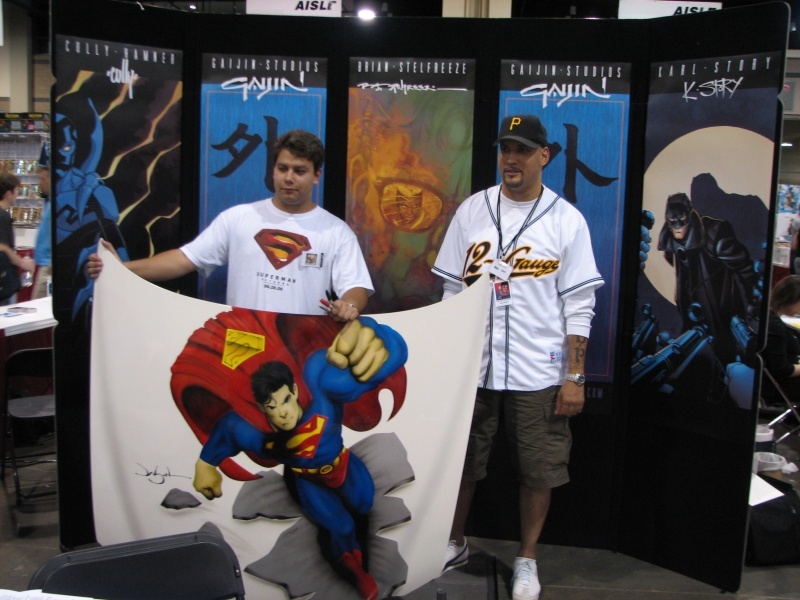 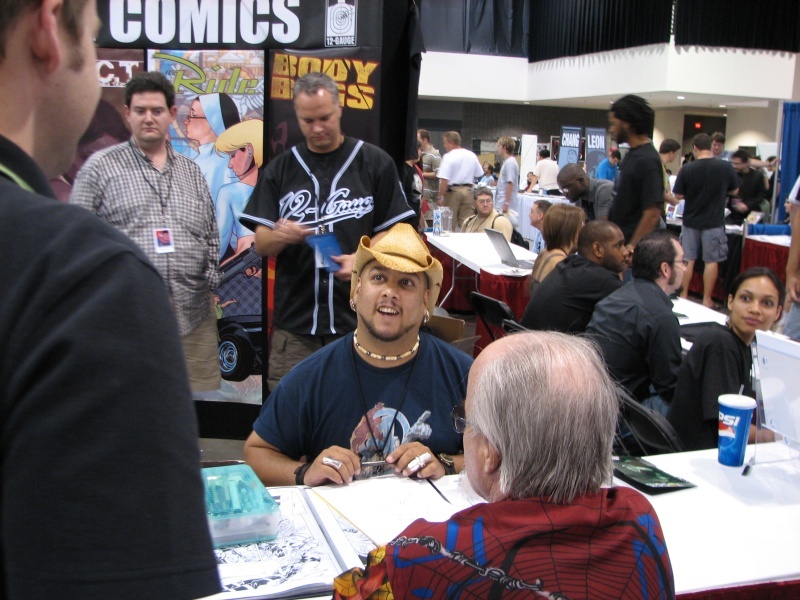 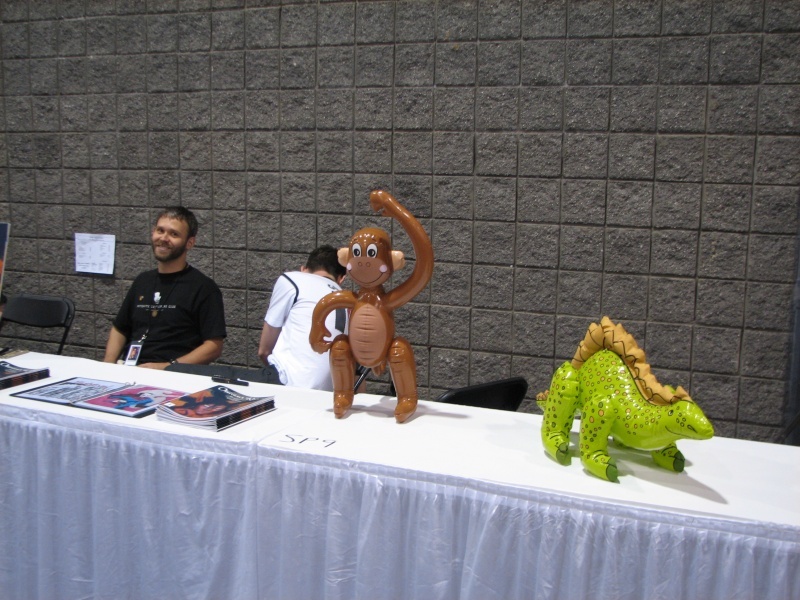 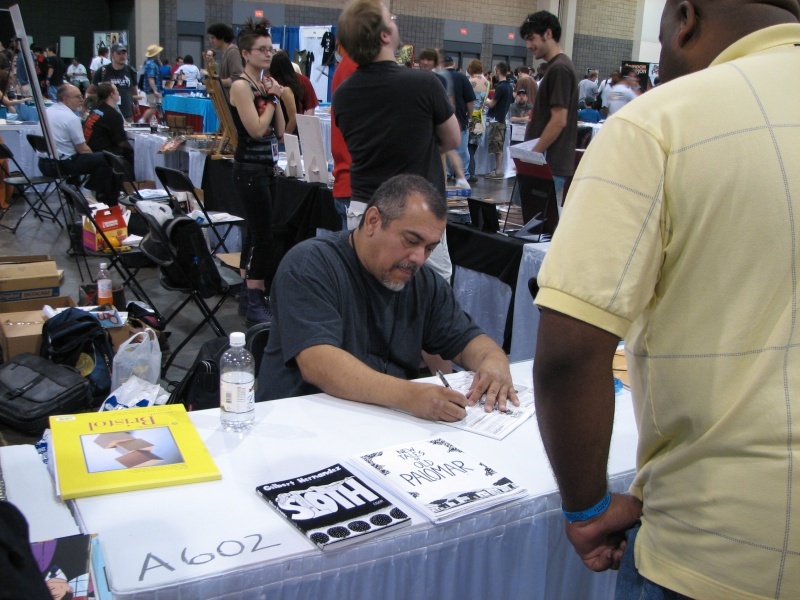 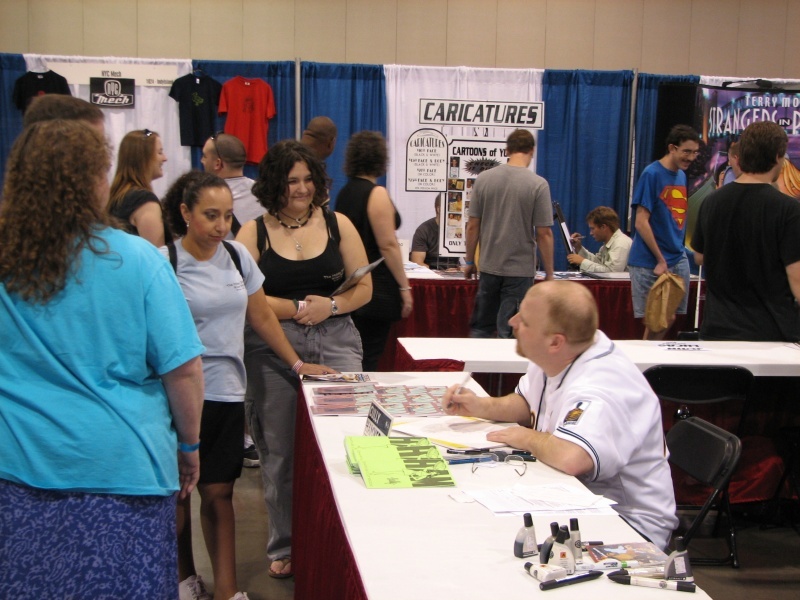 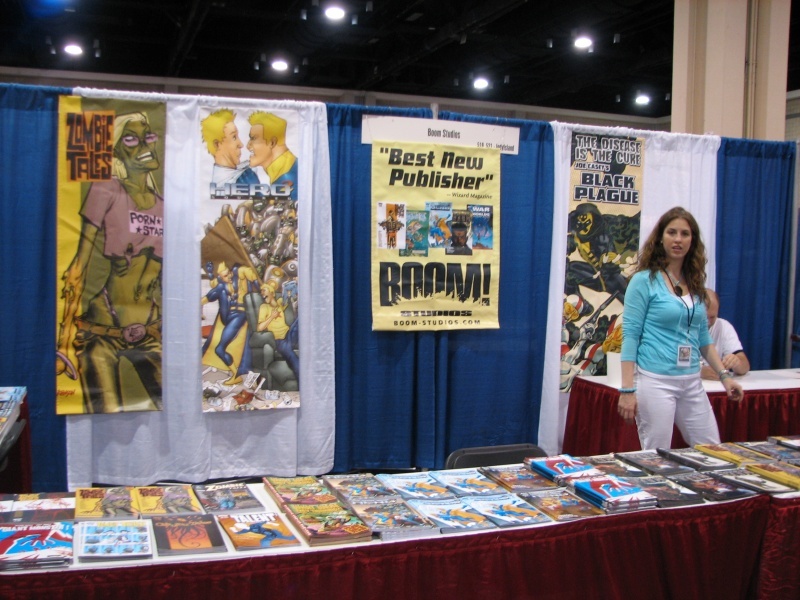 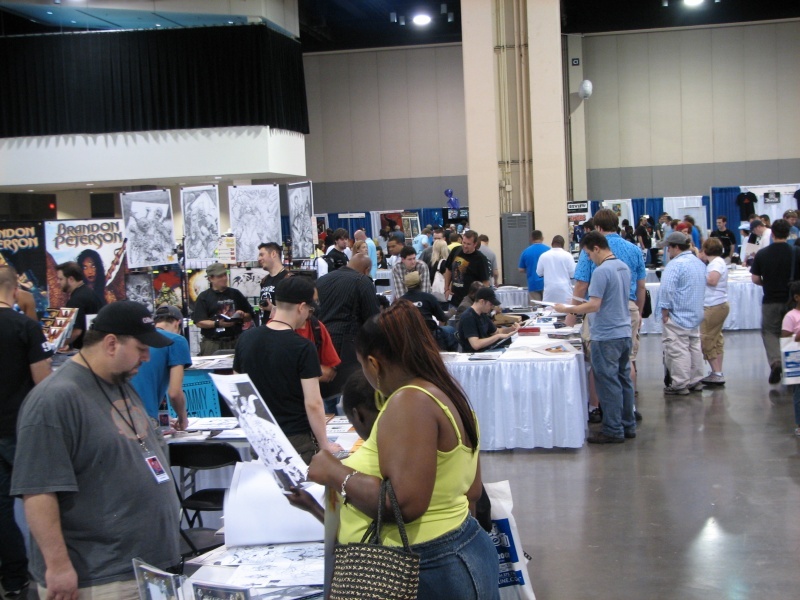 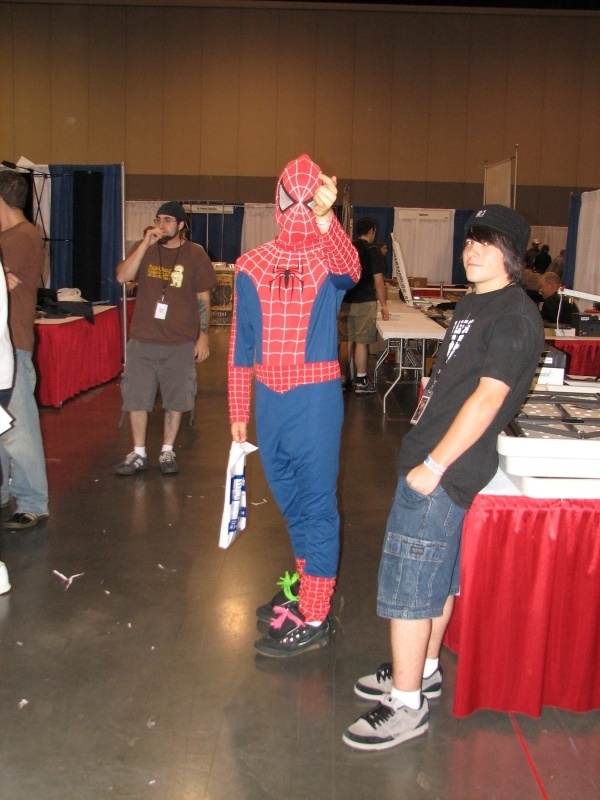 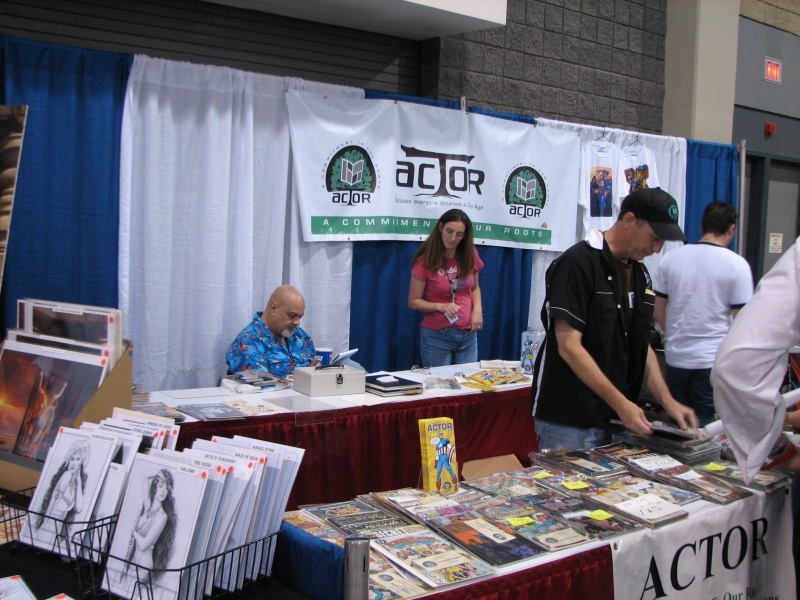 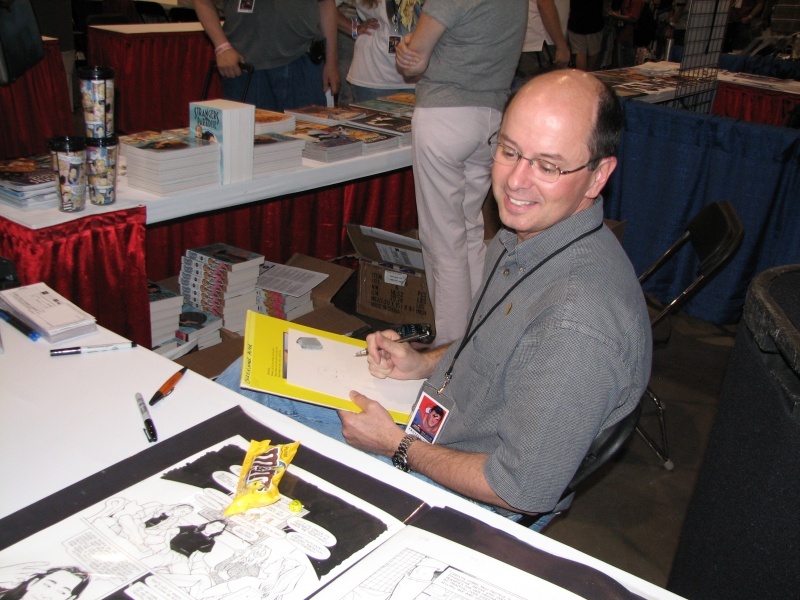 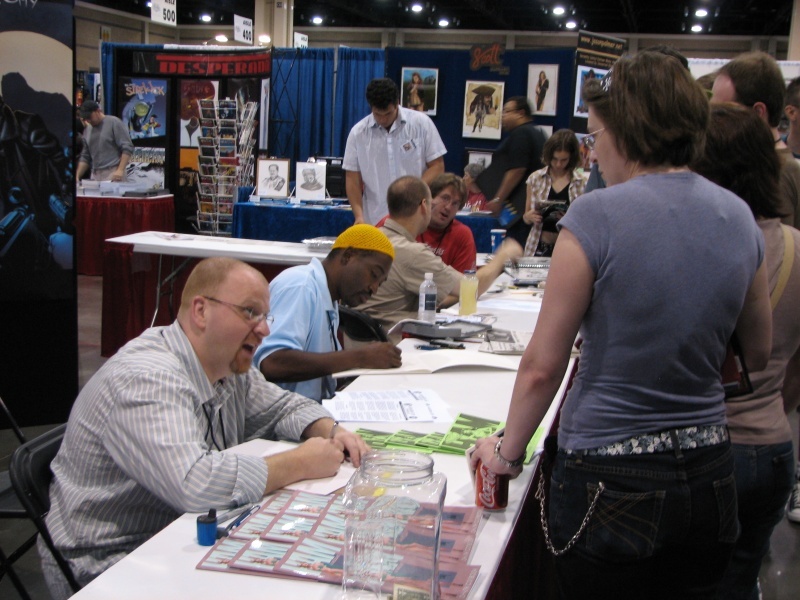 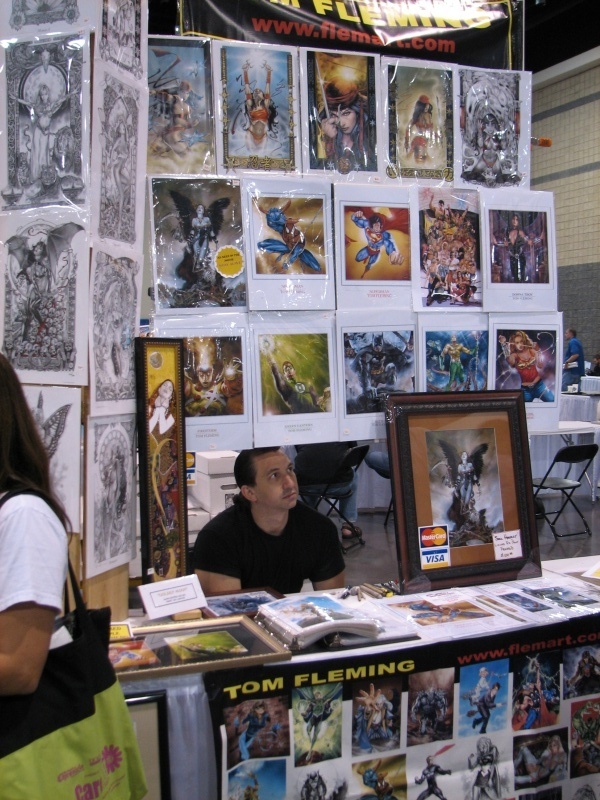 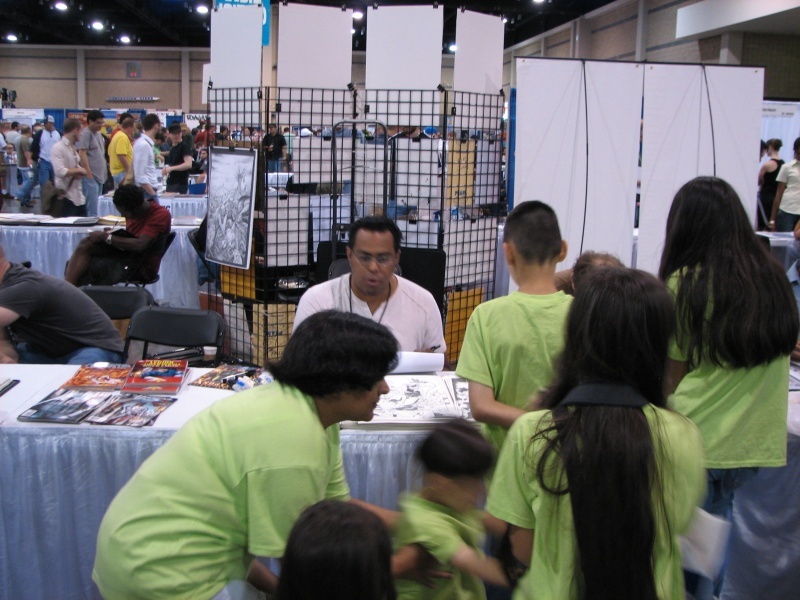 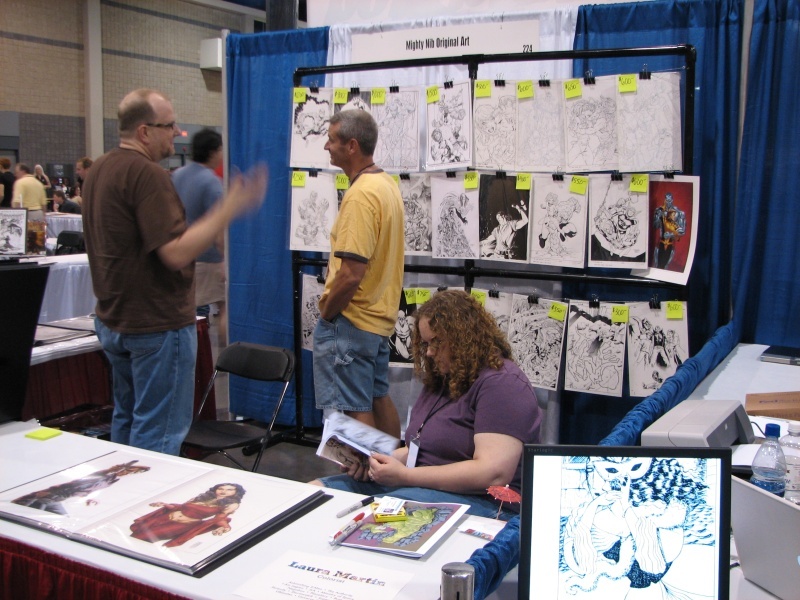 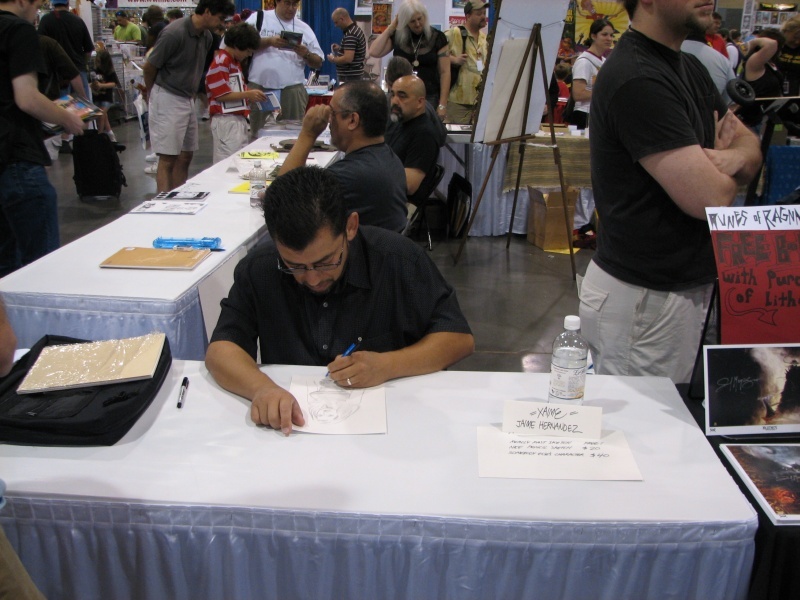 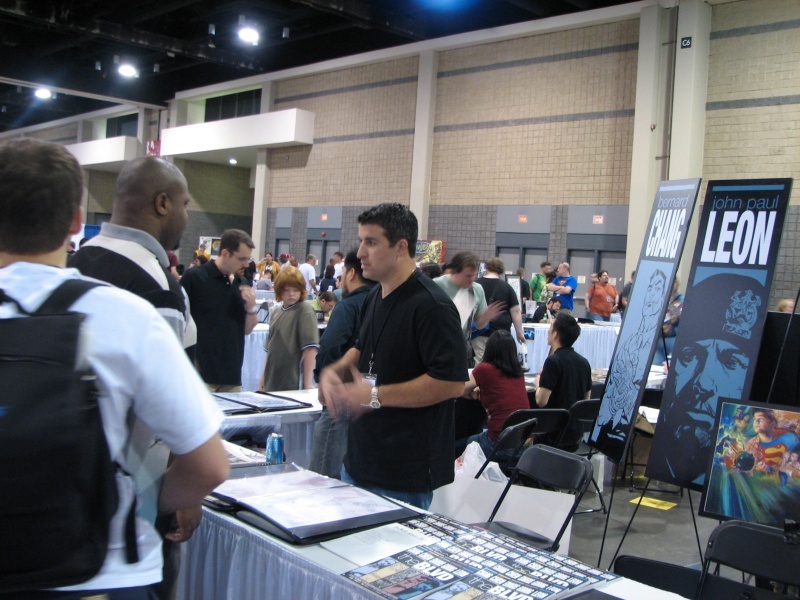 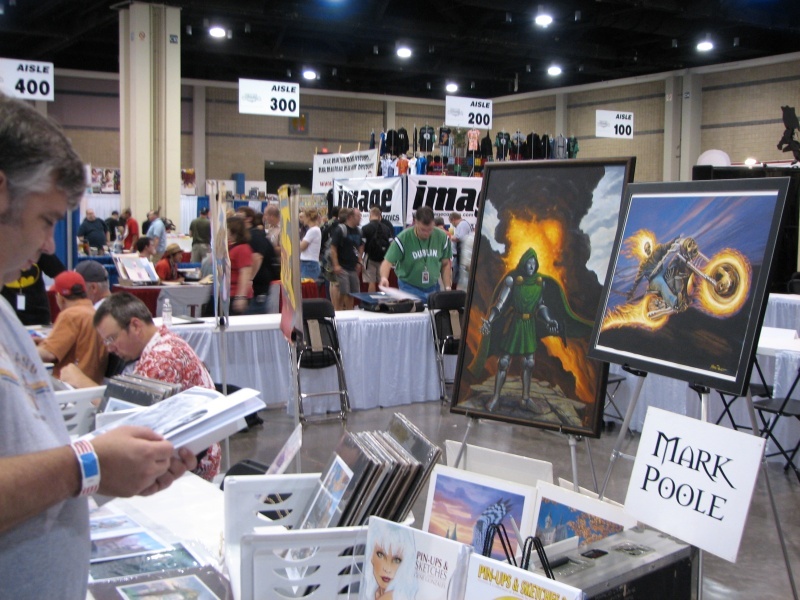 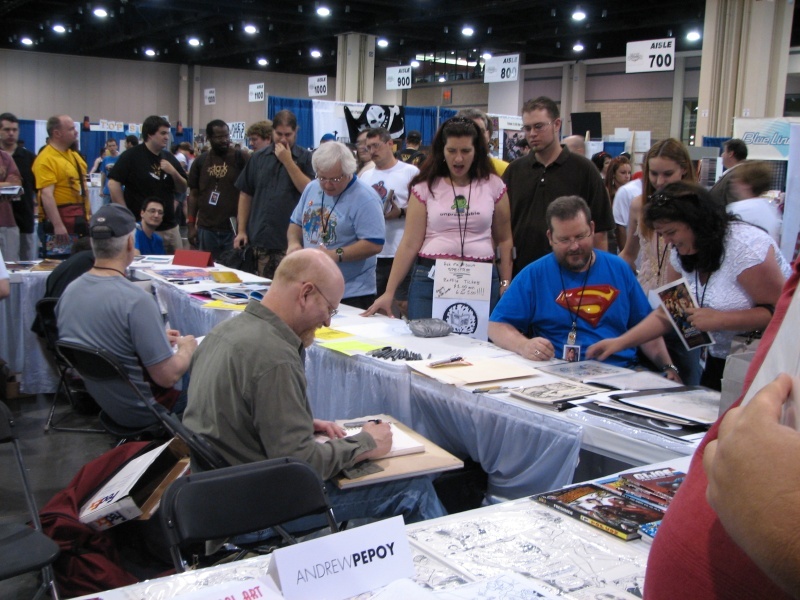 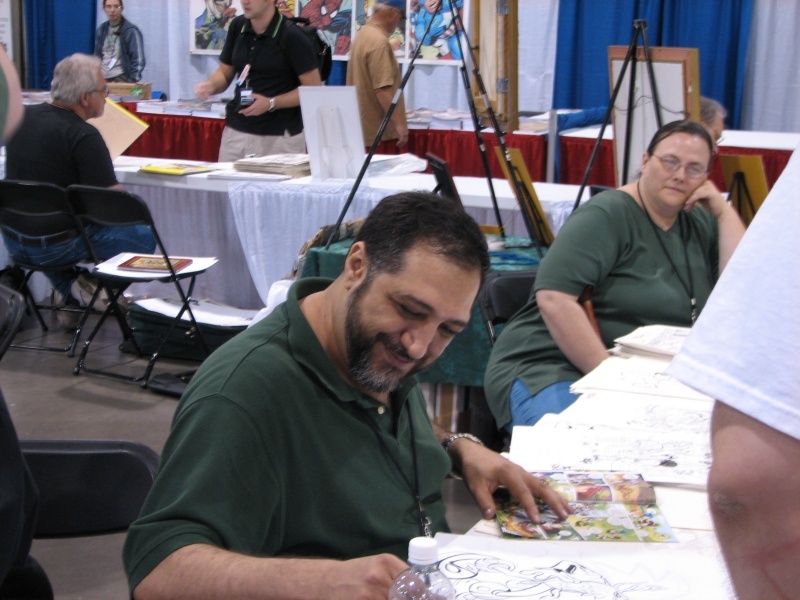 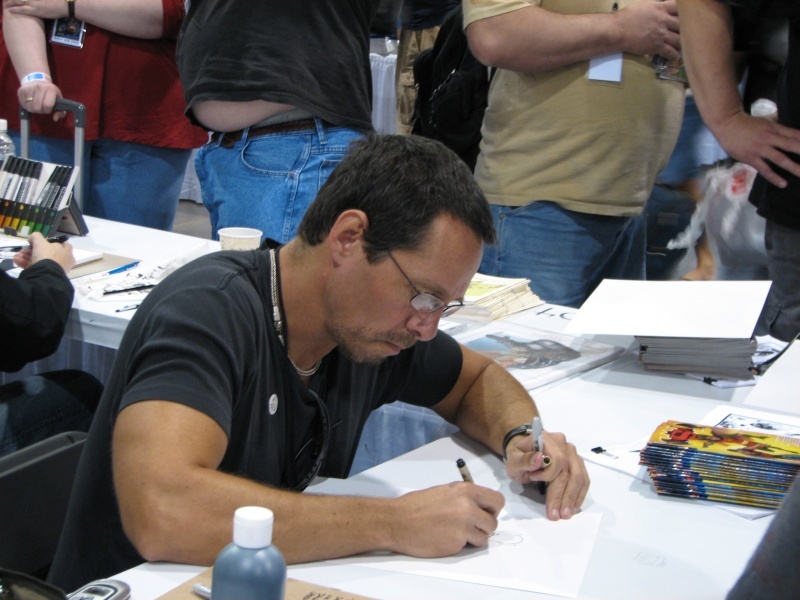 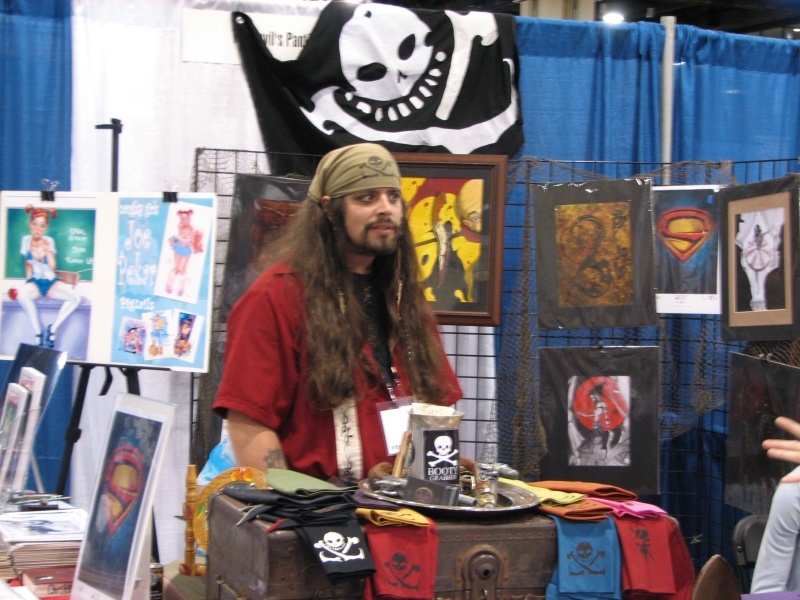 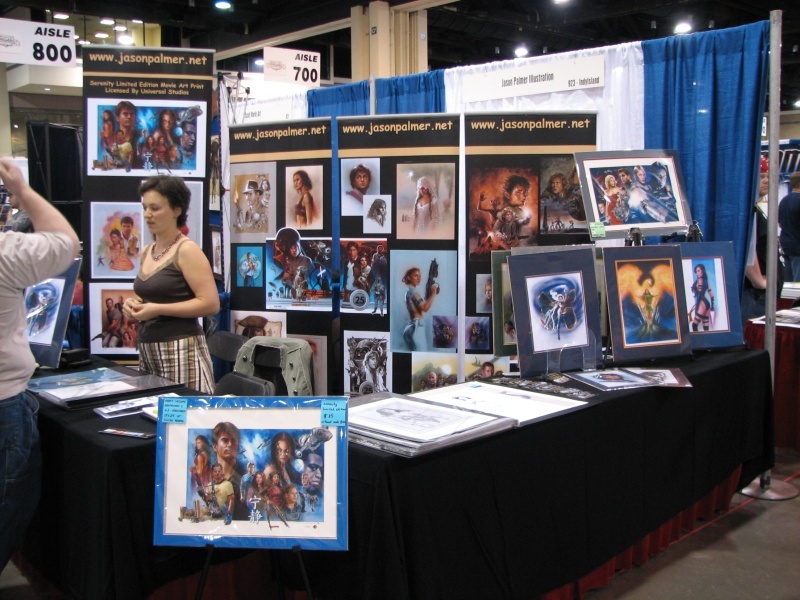 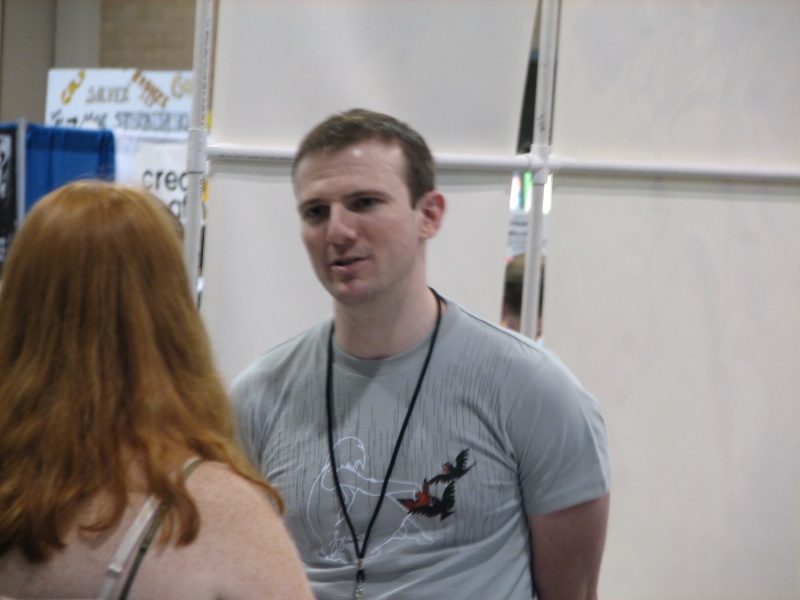 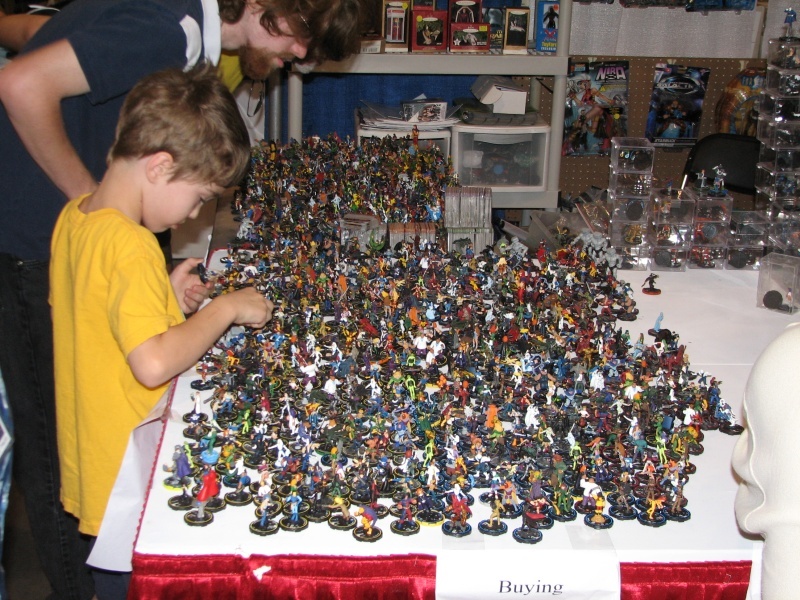 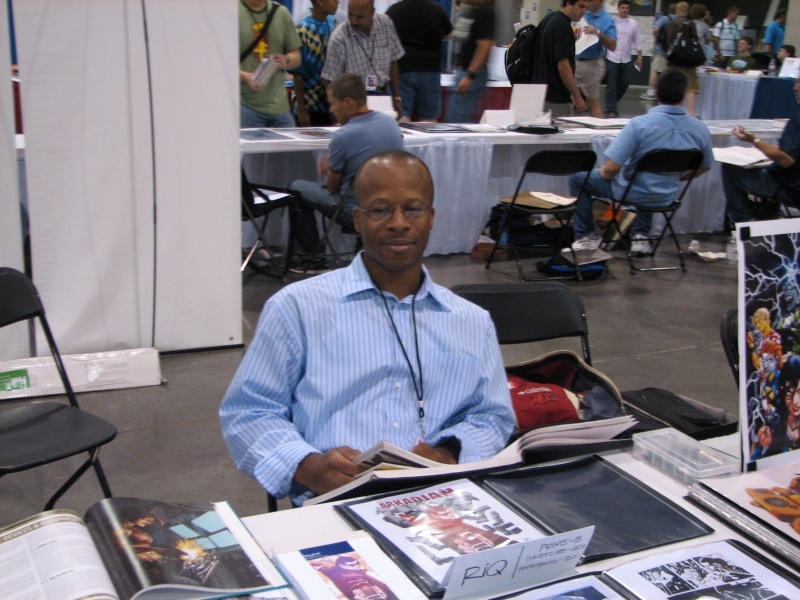 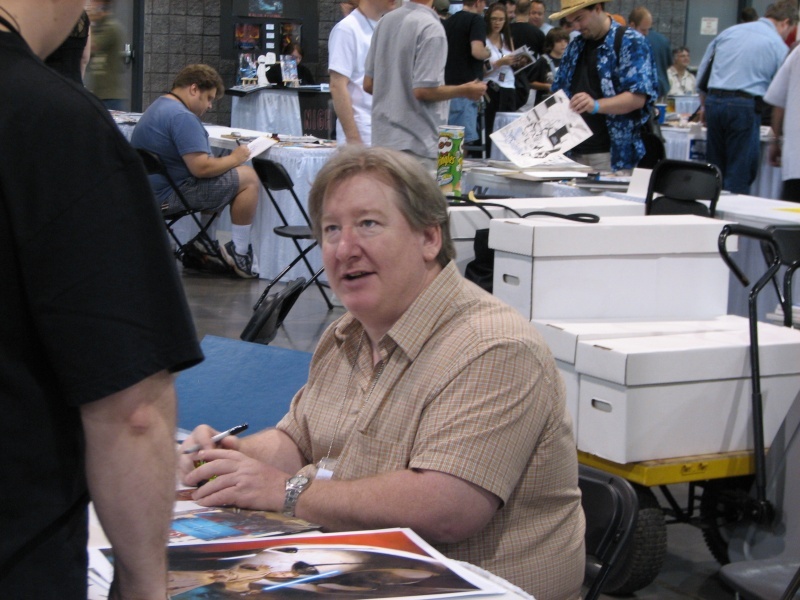 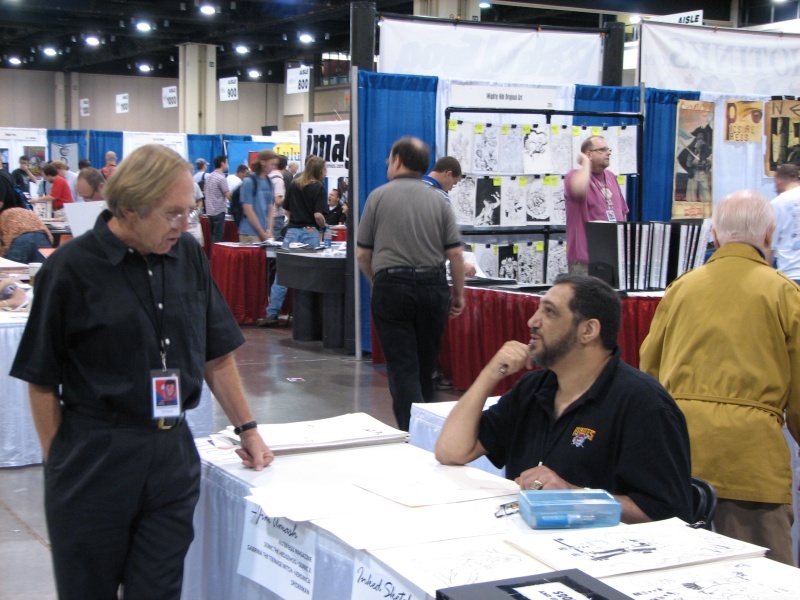 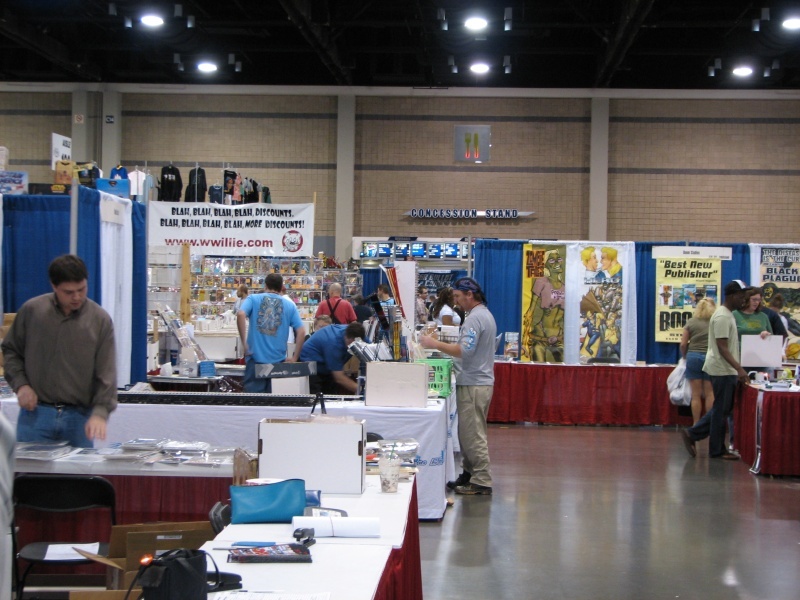 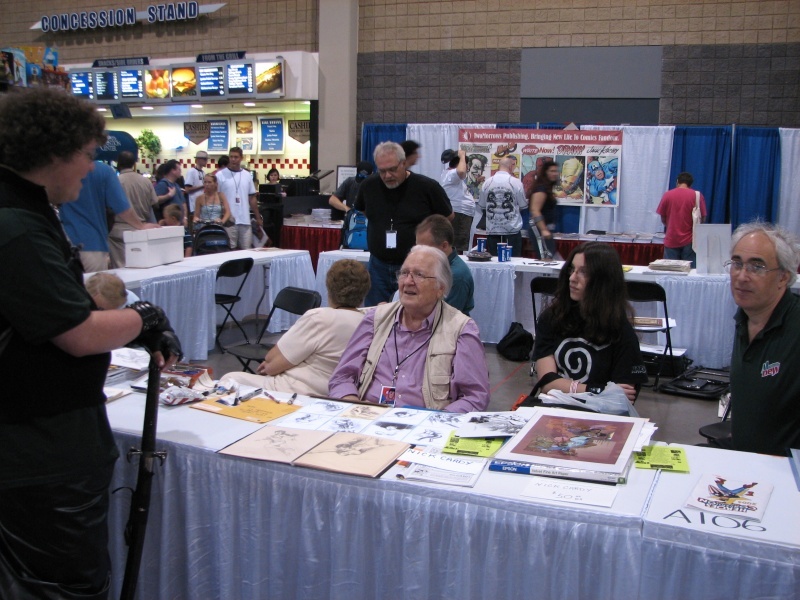 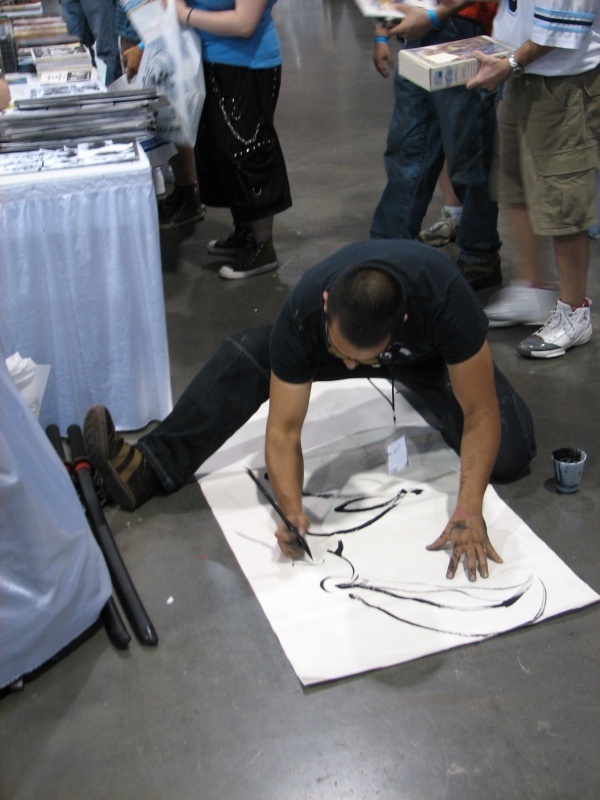 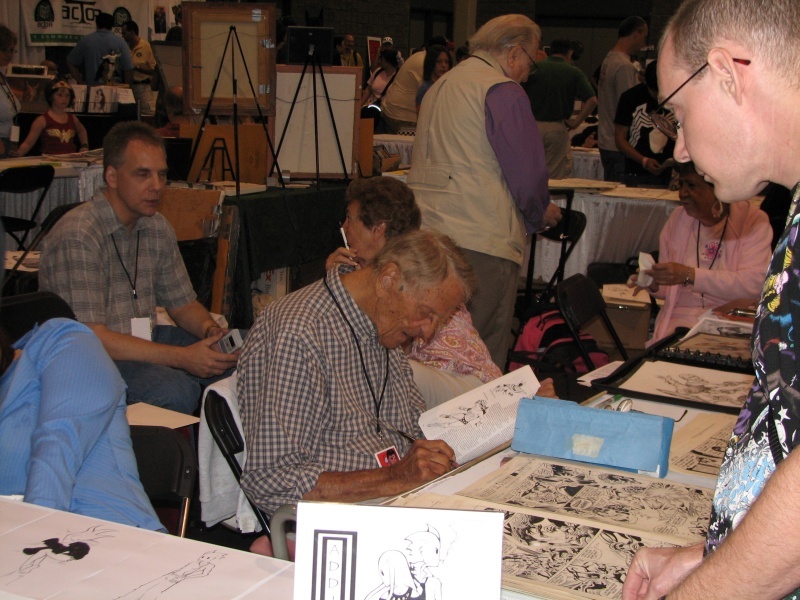 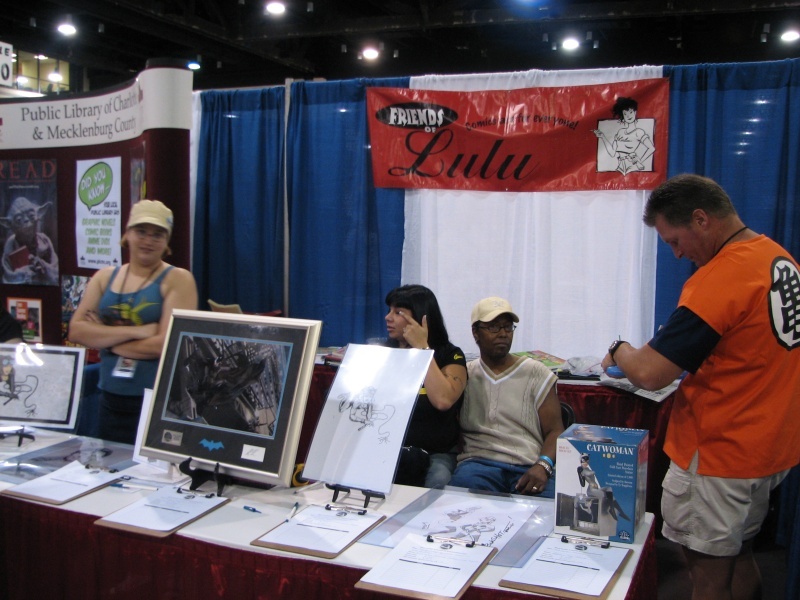 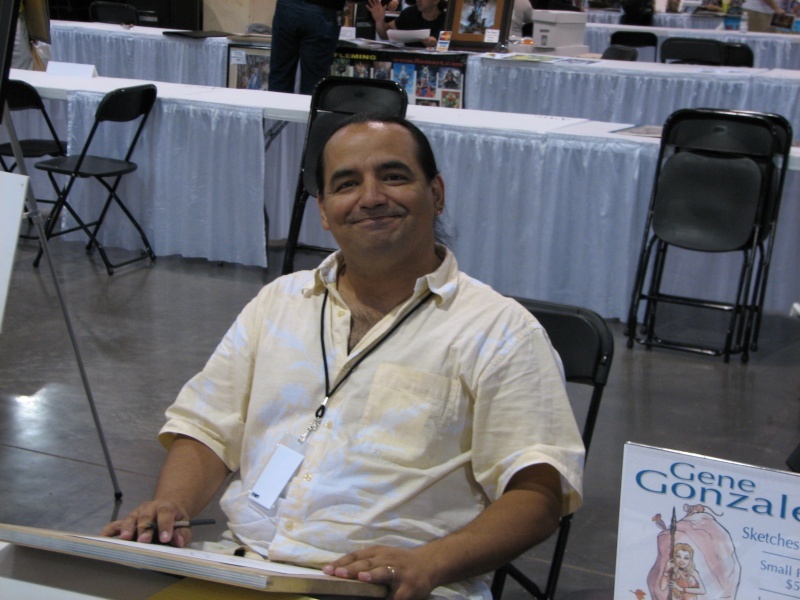 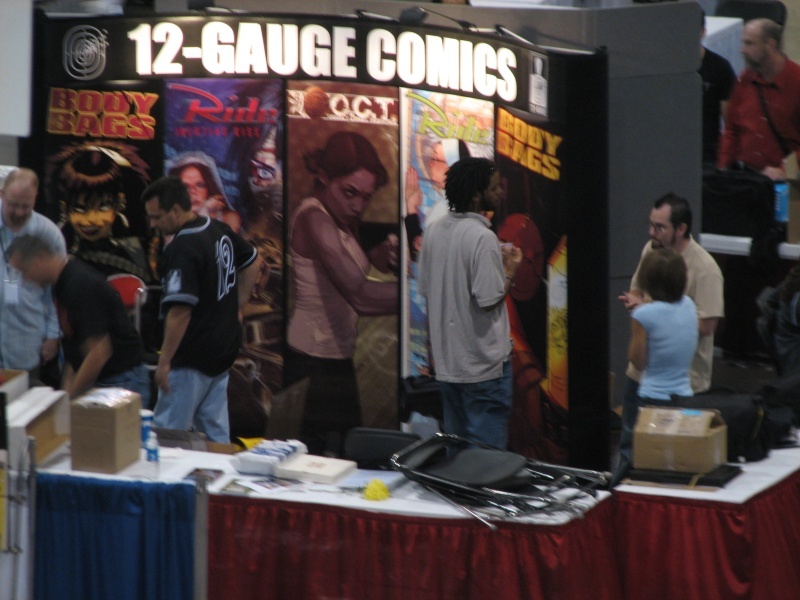 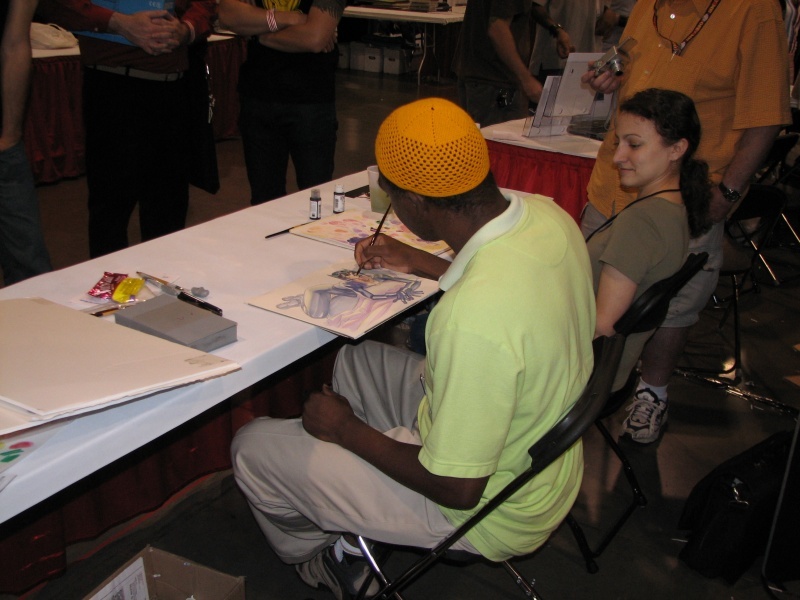 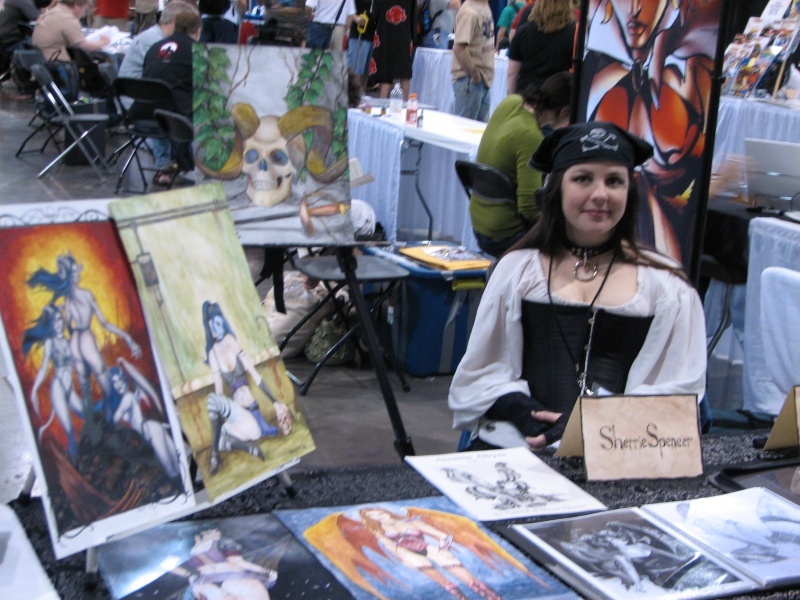 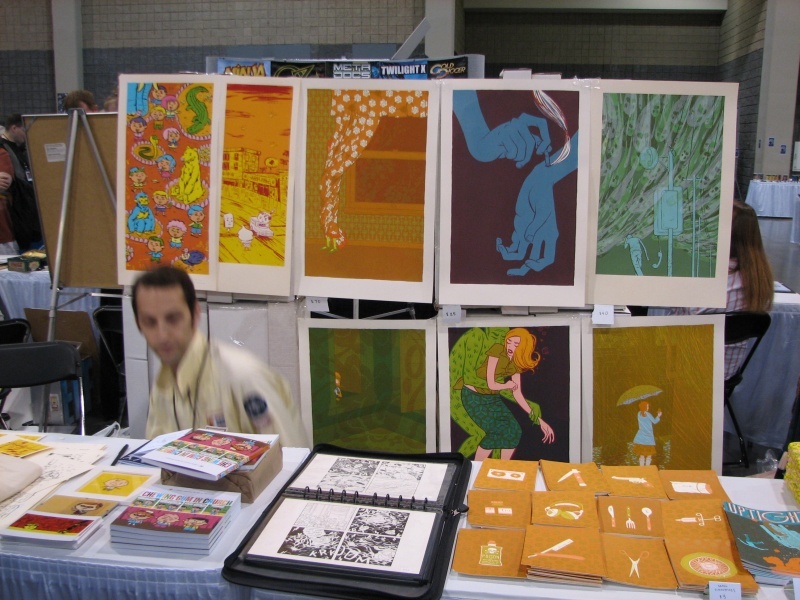 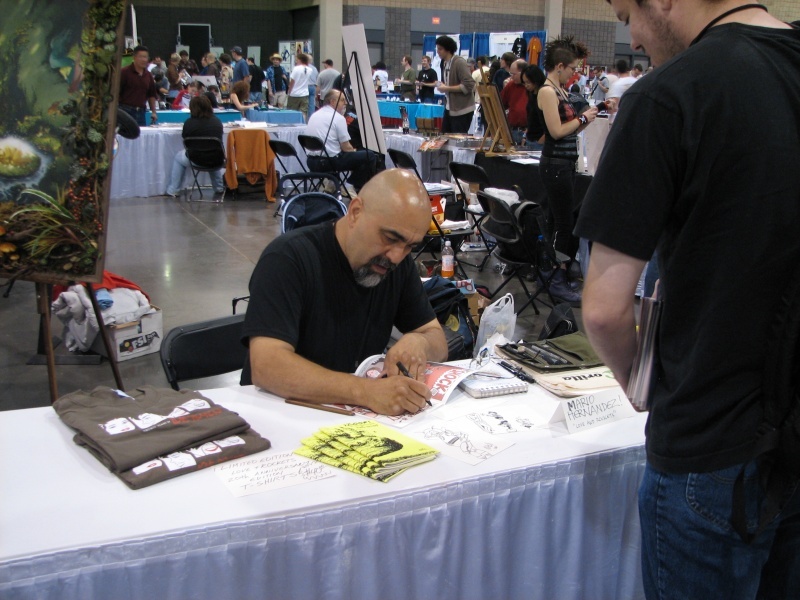 My Heroes Con 2004 Photo album. 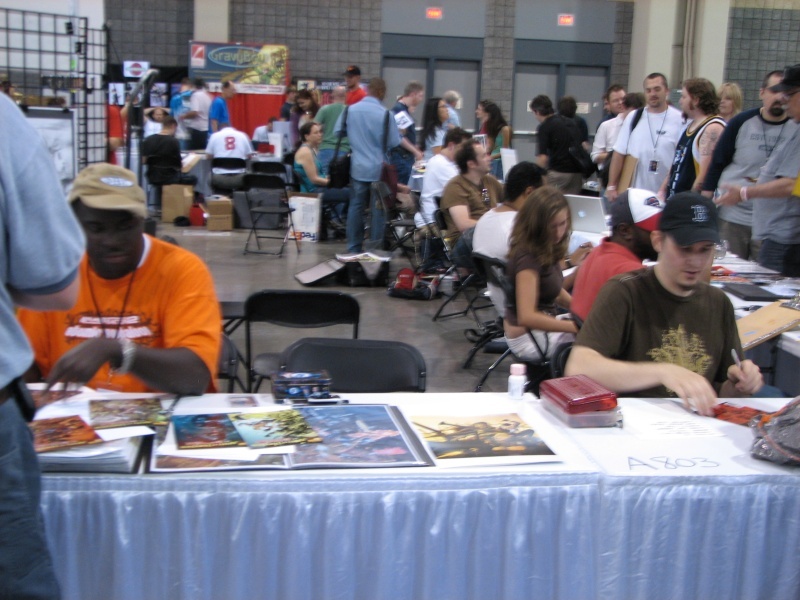 My Heroes Con 2005 Photo album. 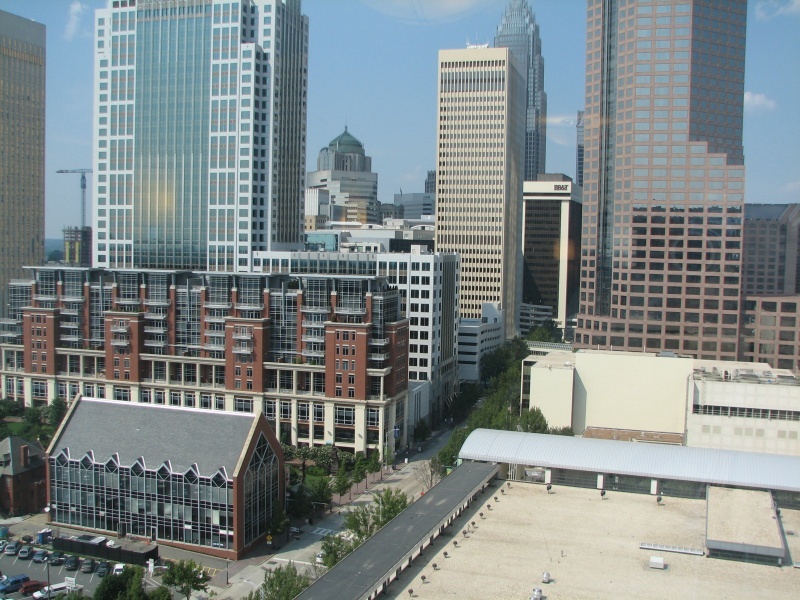 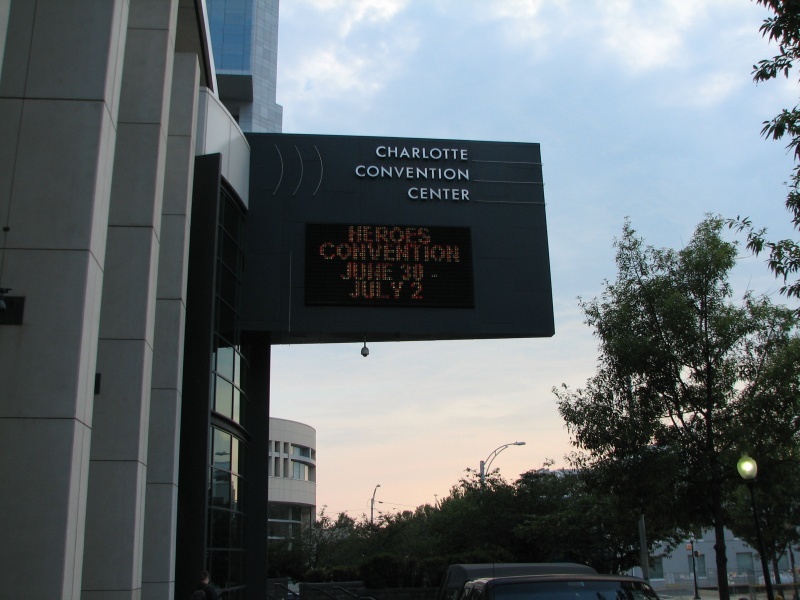 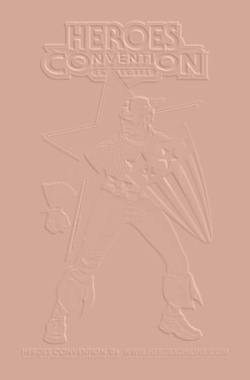 The Official Dragon Con home page. 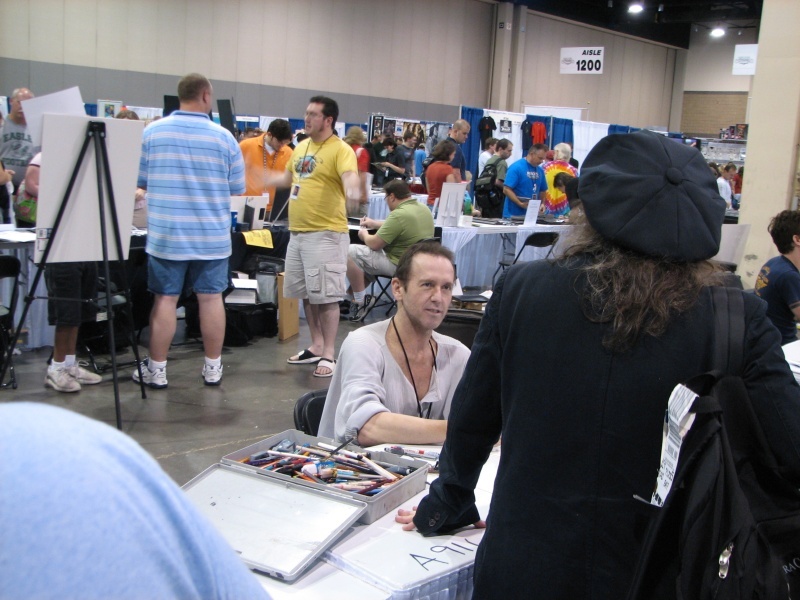 My Dragon Con 1998 Photo Album. 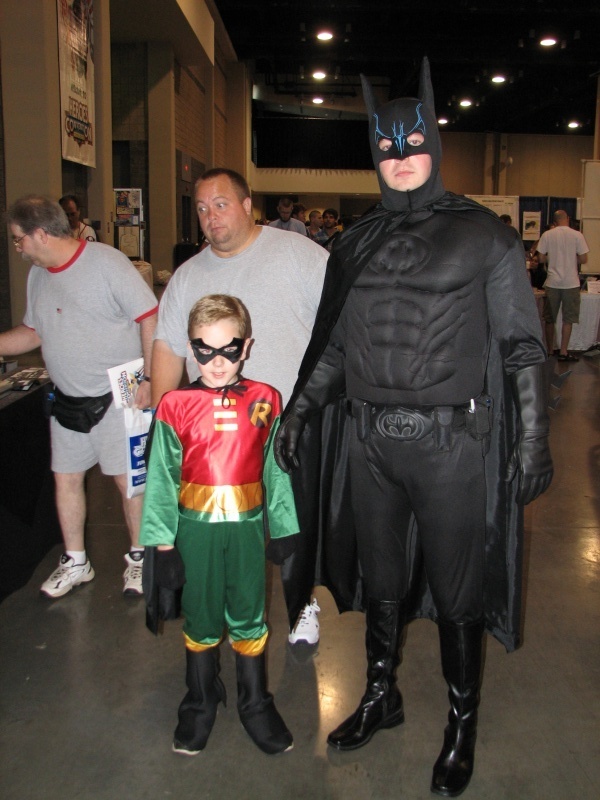 My Dragon Con 1999 Photo Album. 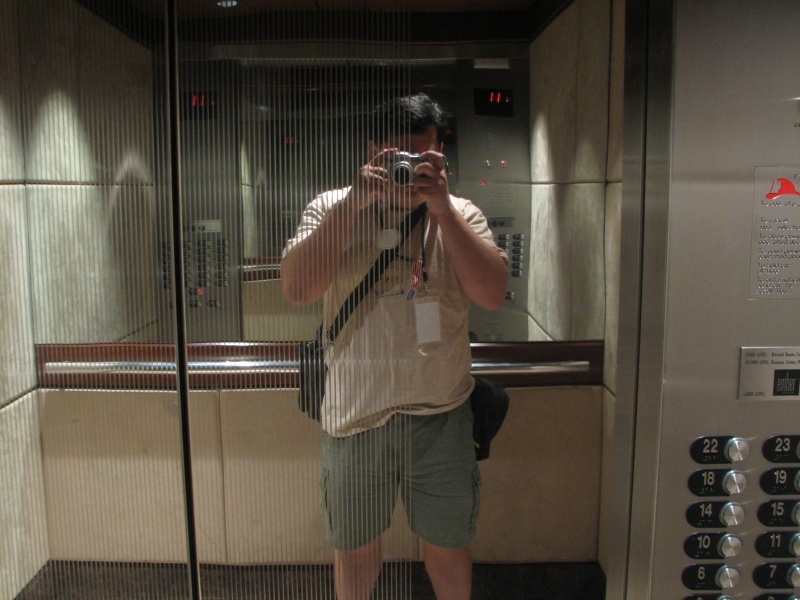 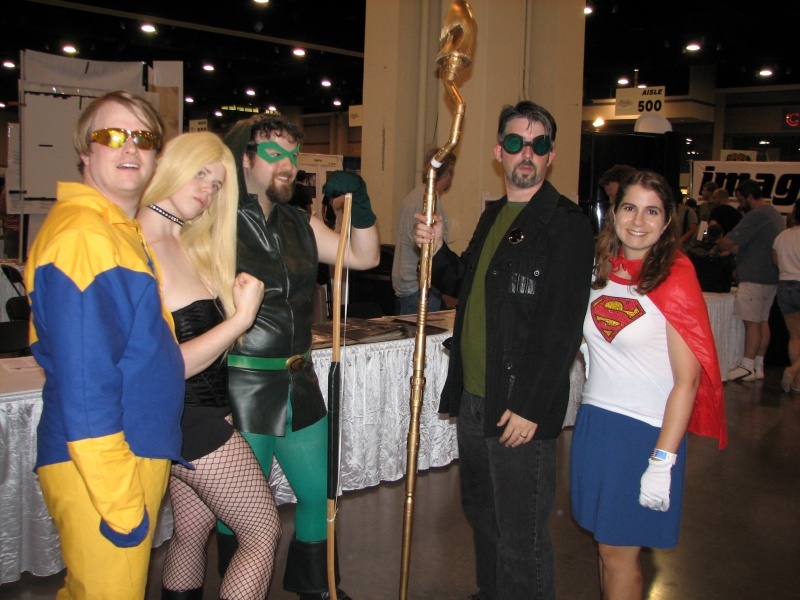 My Dragon Con 2000 Photo Album. 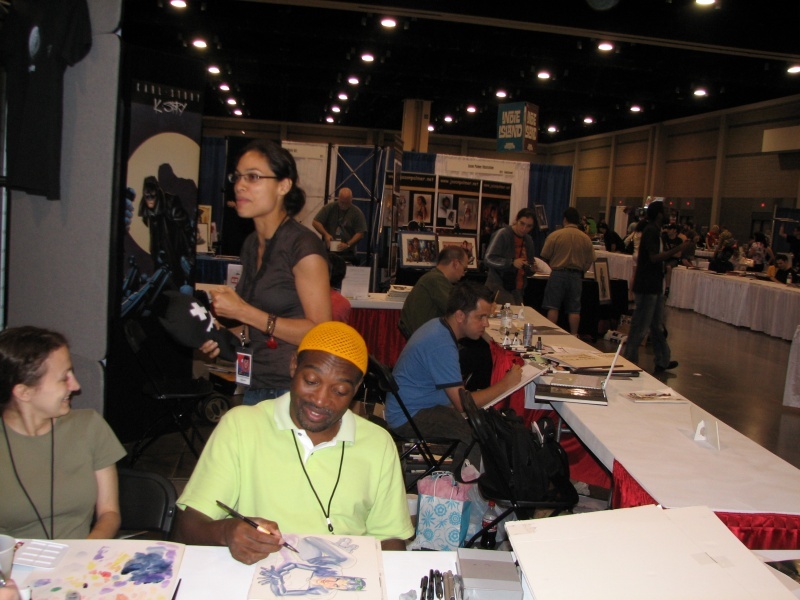 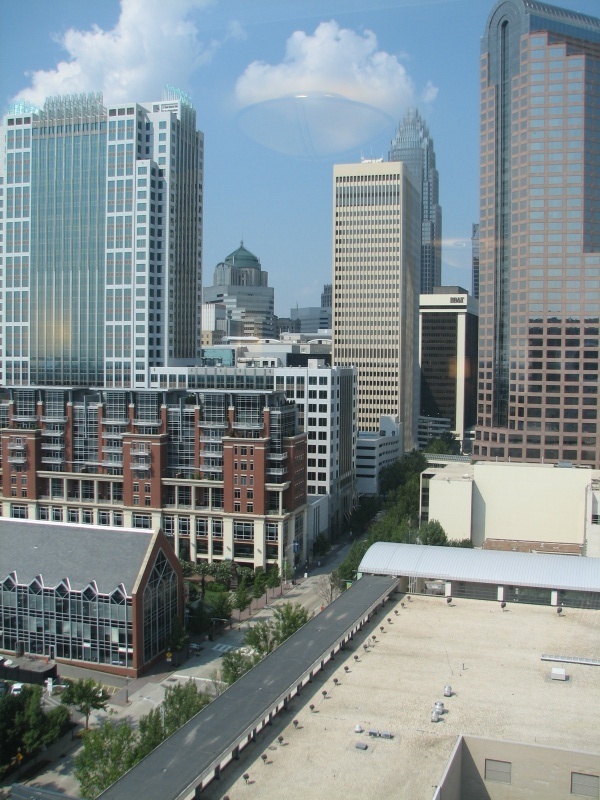 My Dragon Con 2001 Photo Album. 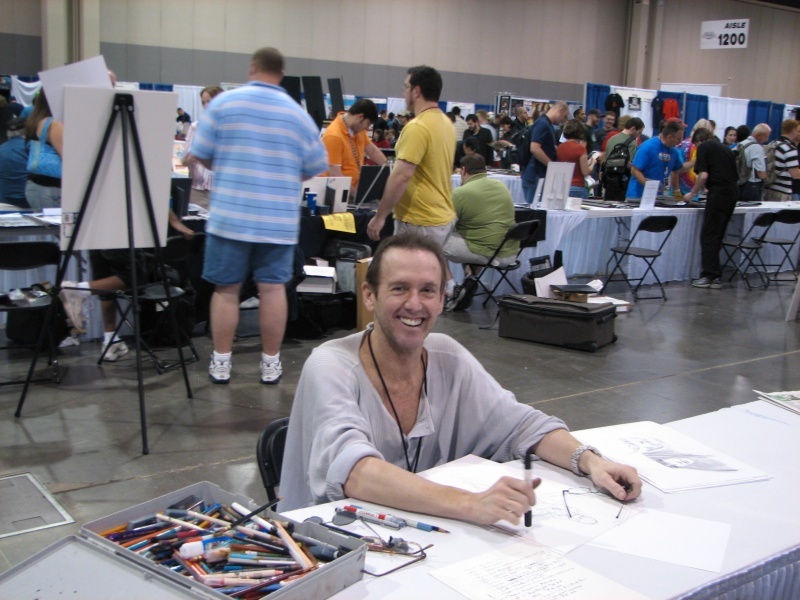 My Dragon Con 2002 Photo Album. 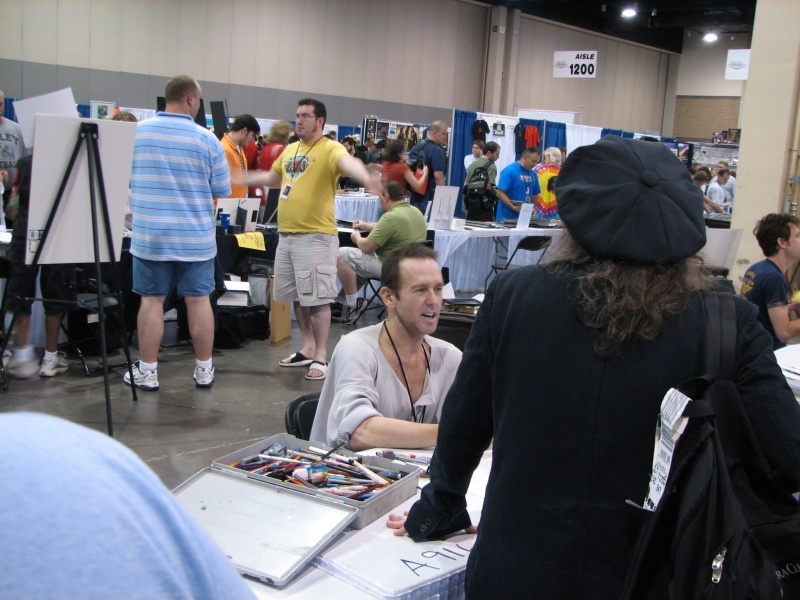 My Dragon Con 2003 Photo Album. 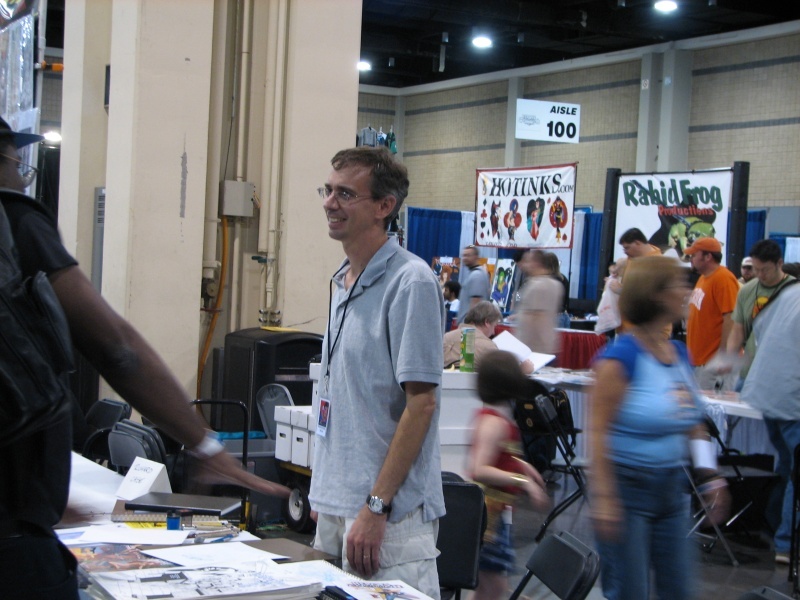 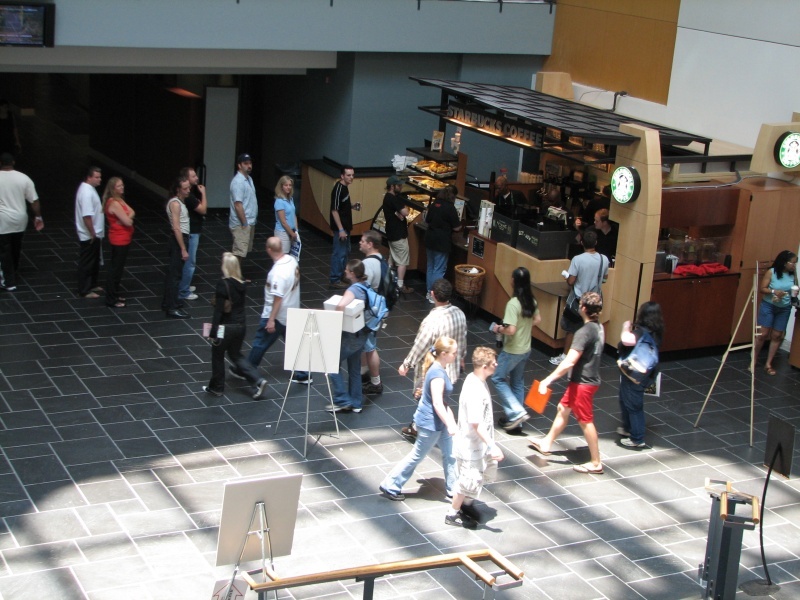 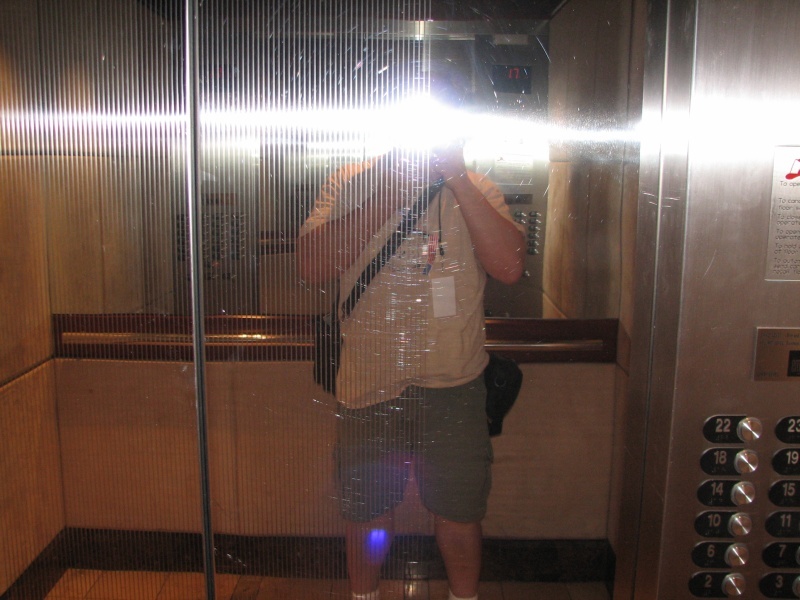 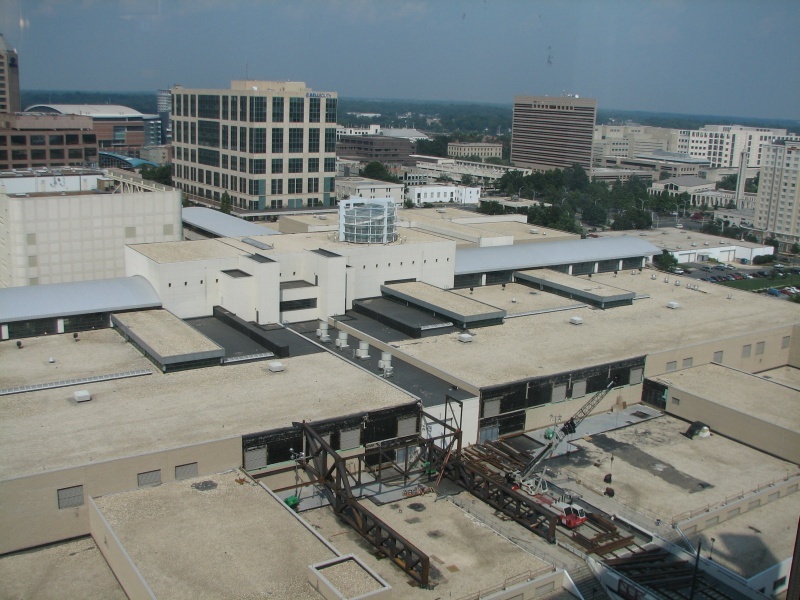 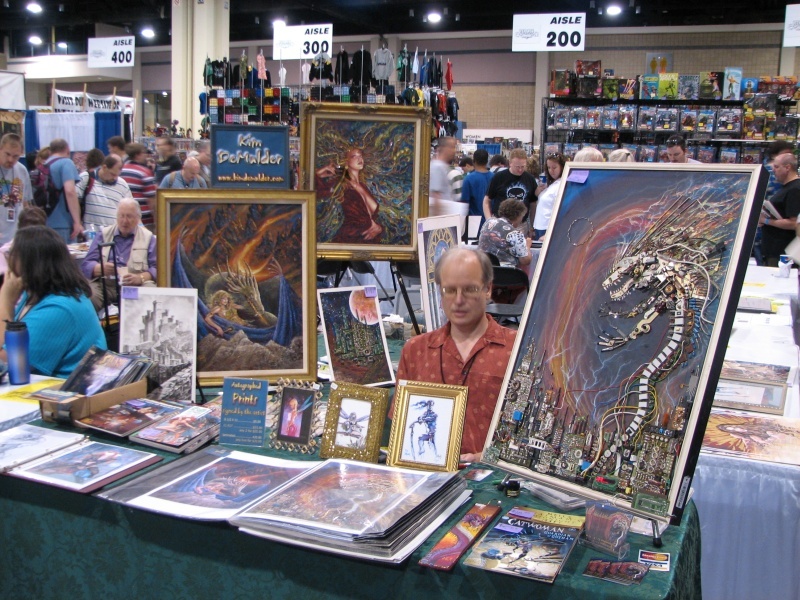 My Dragon Con 2004 Photo Album. 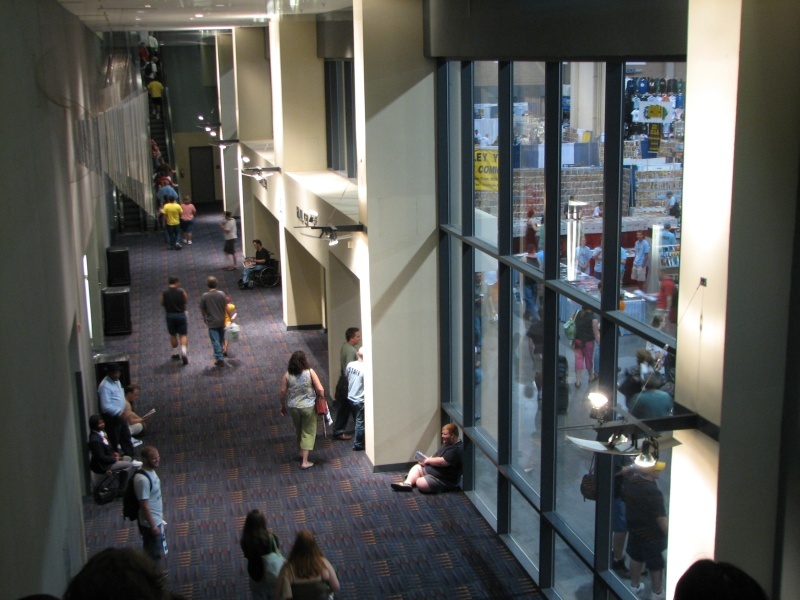 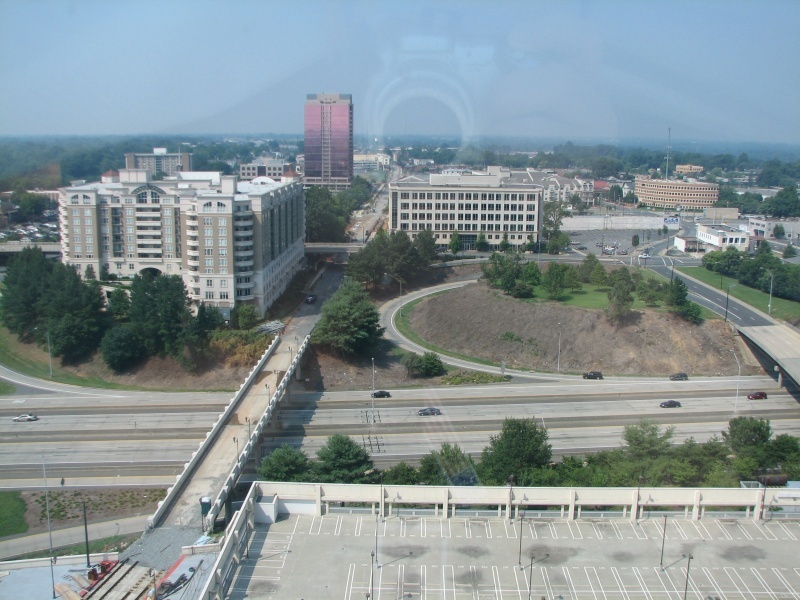 My Dragon Con 2005 Photo Album. 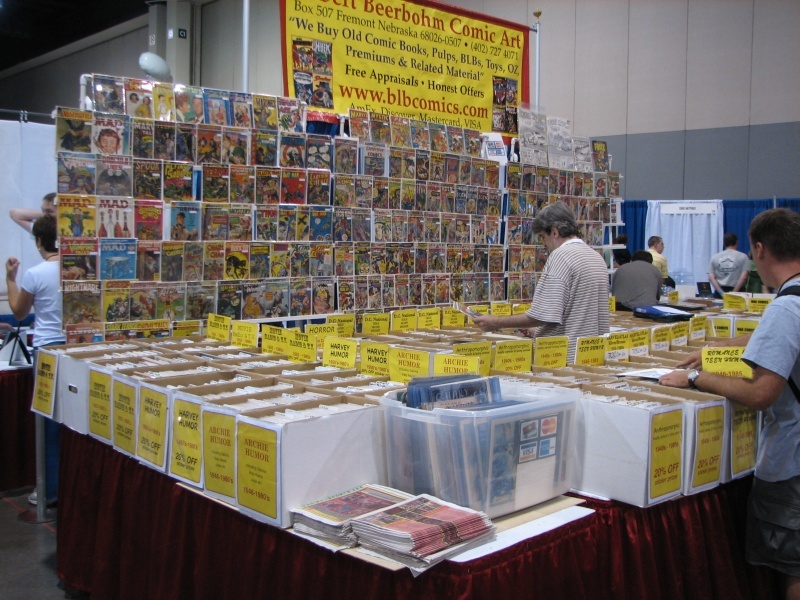 So how many have visited since 07-05-2006?